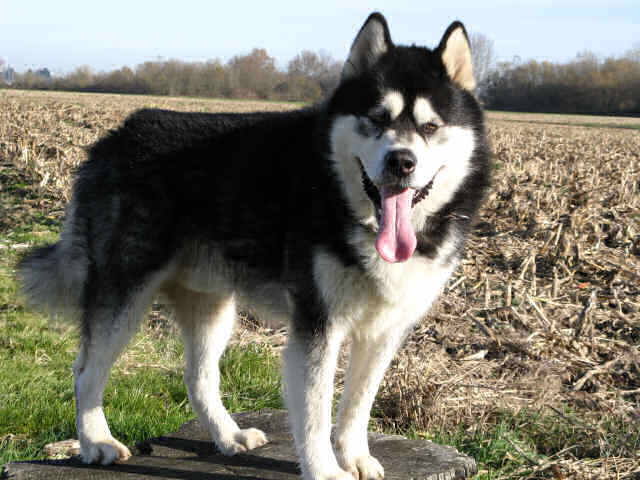 Urok, the almost perfect Malamute. 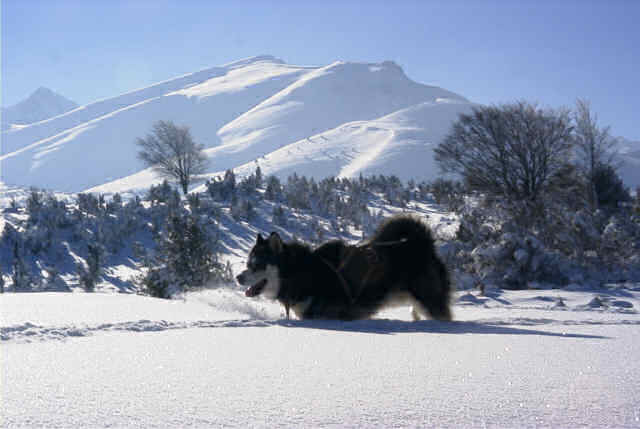 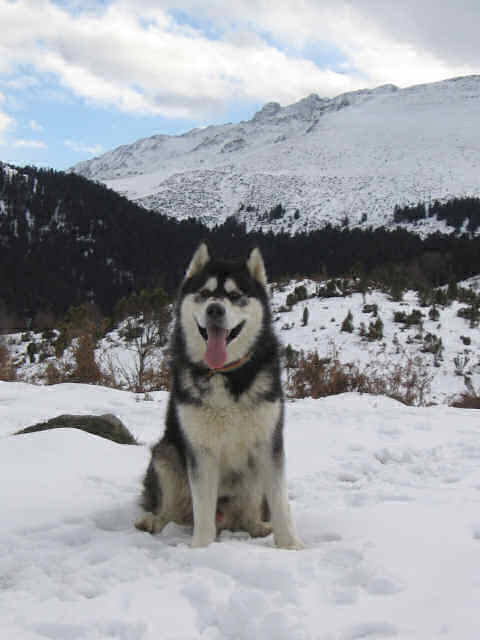 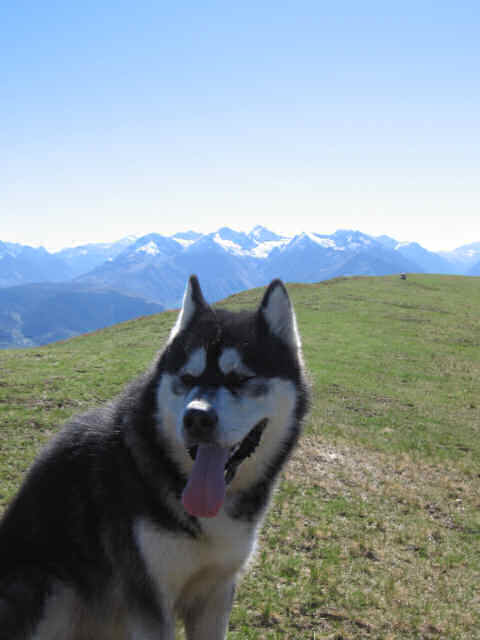 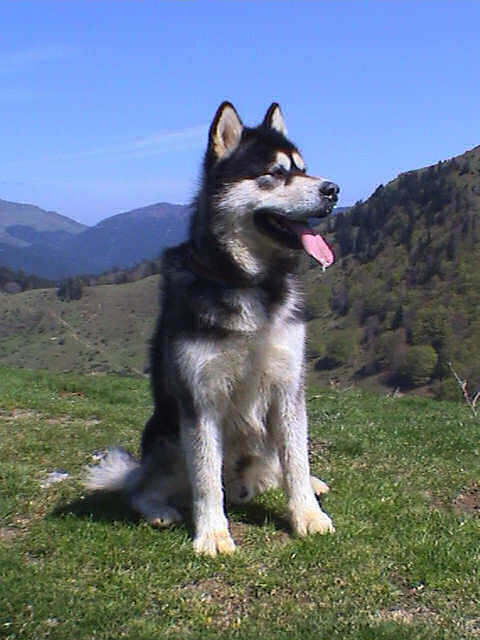 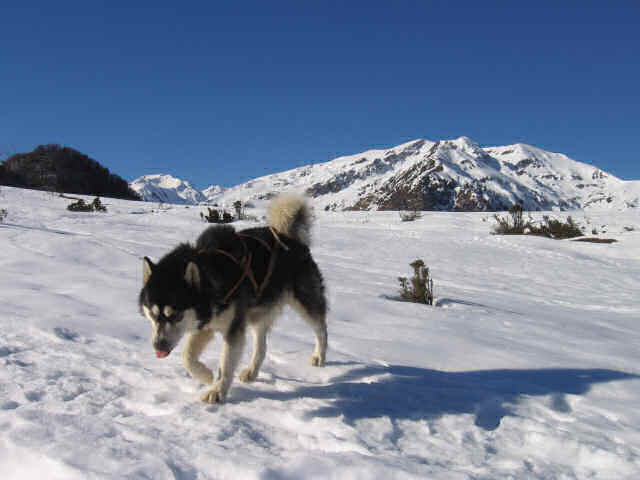 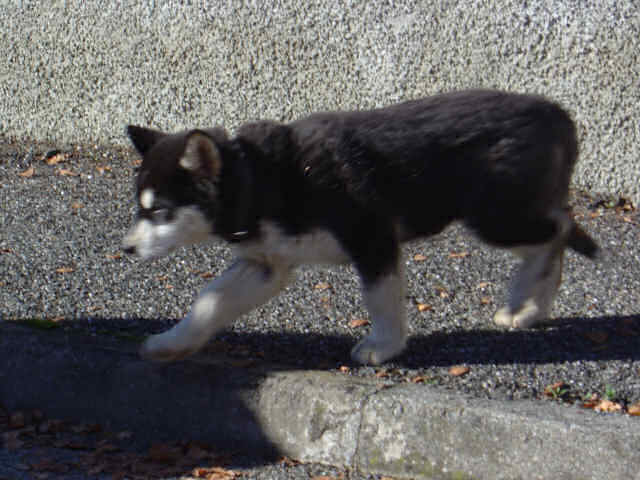 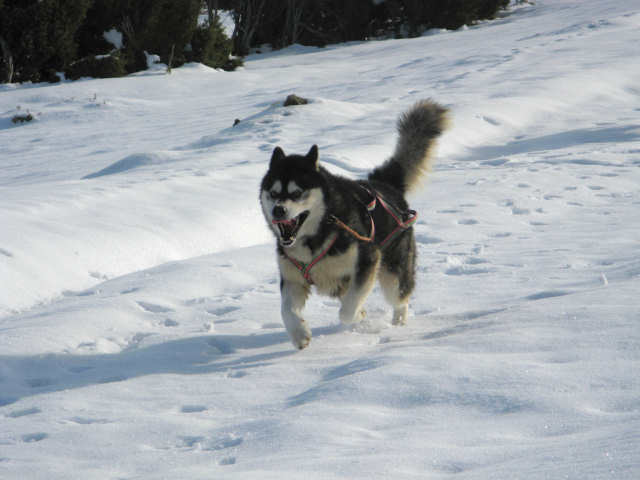 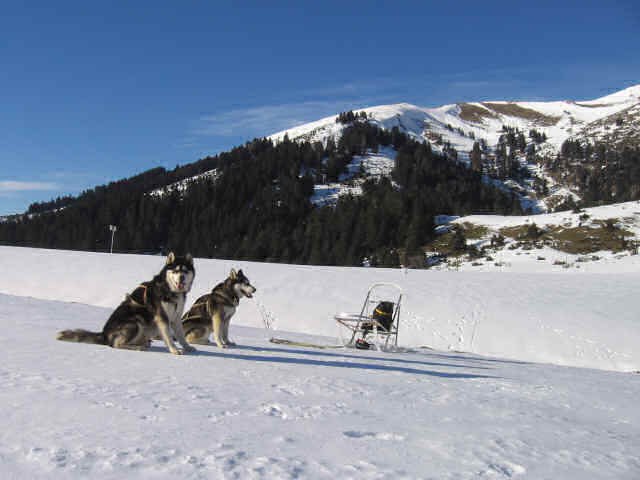 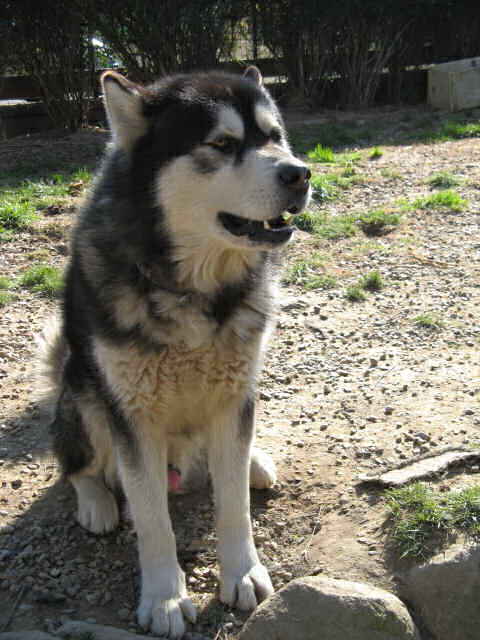 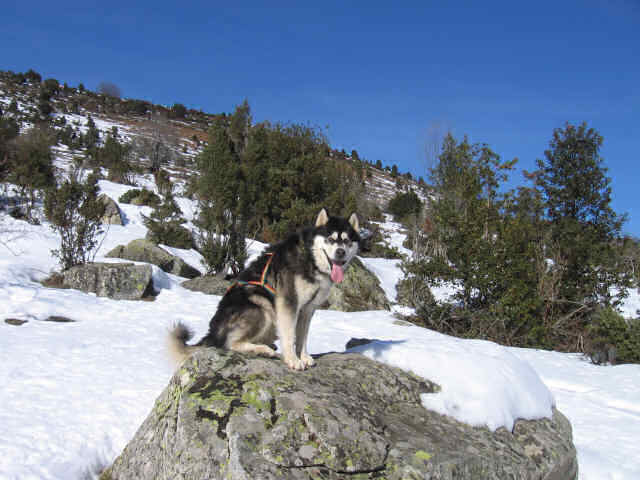 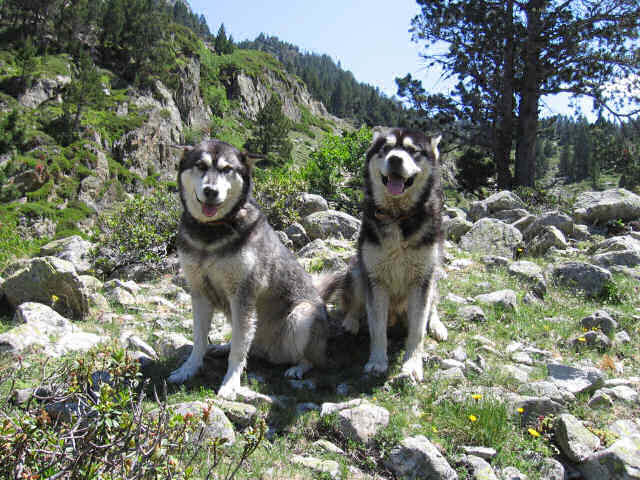 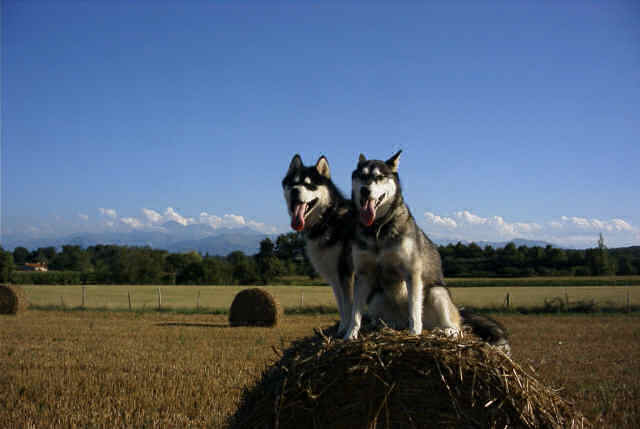 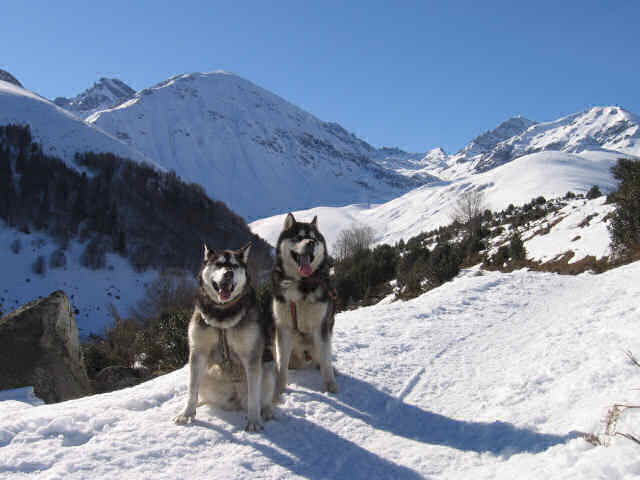 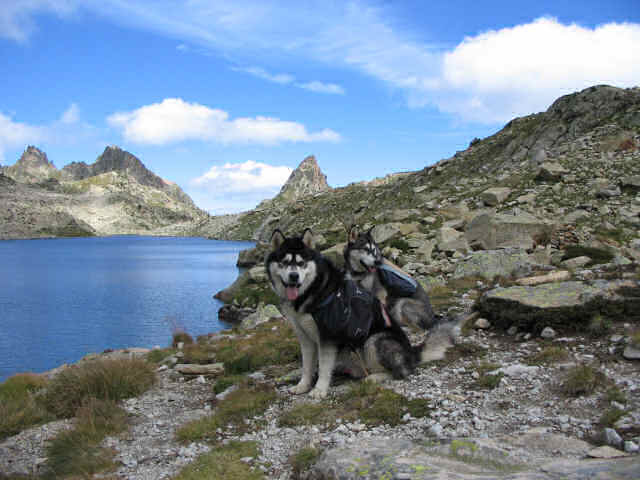 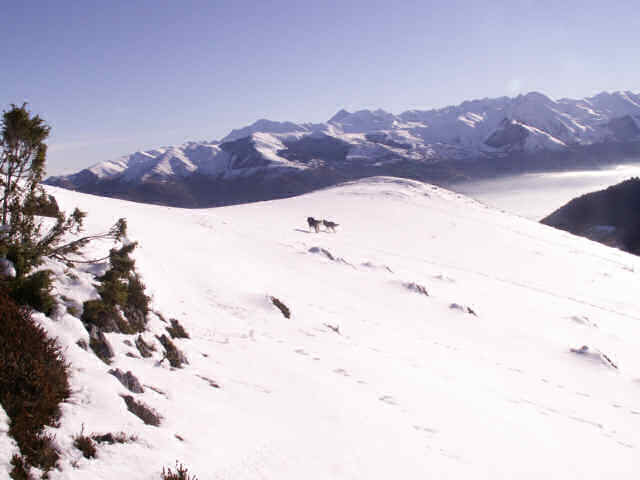 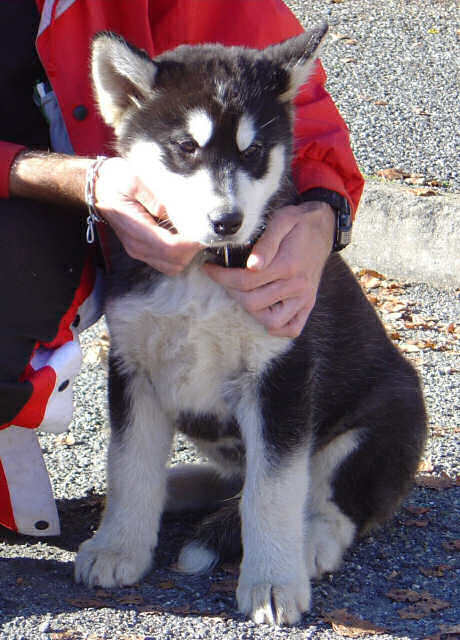 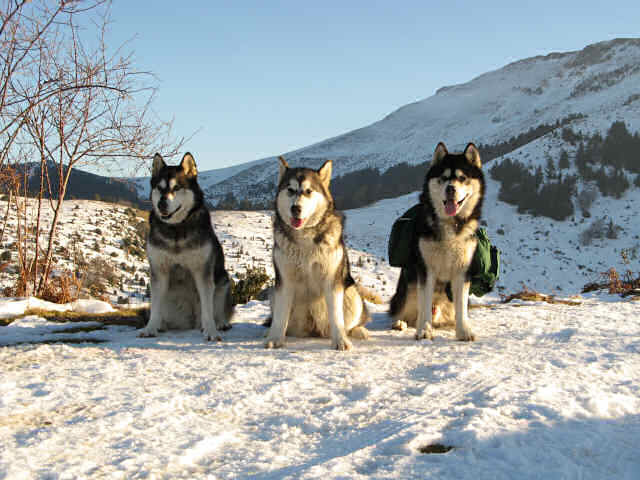 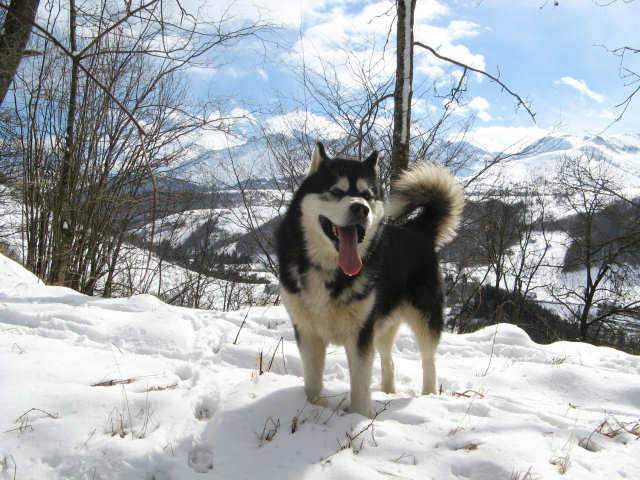 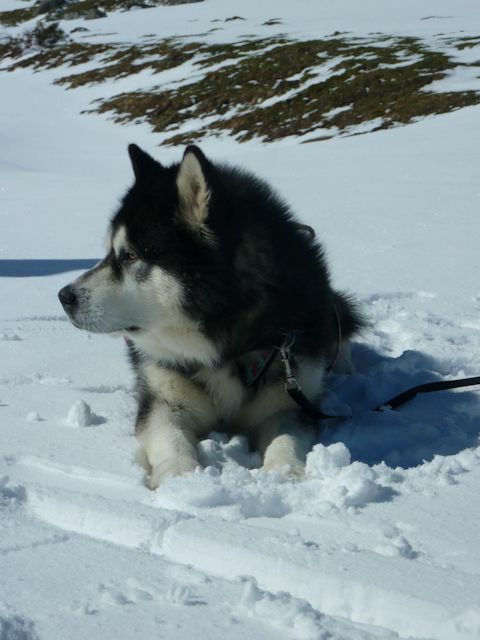 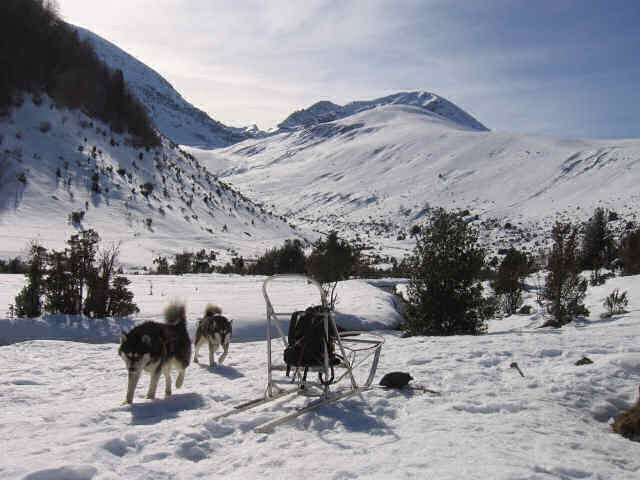 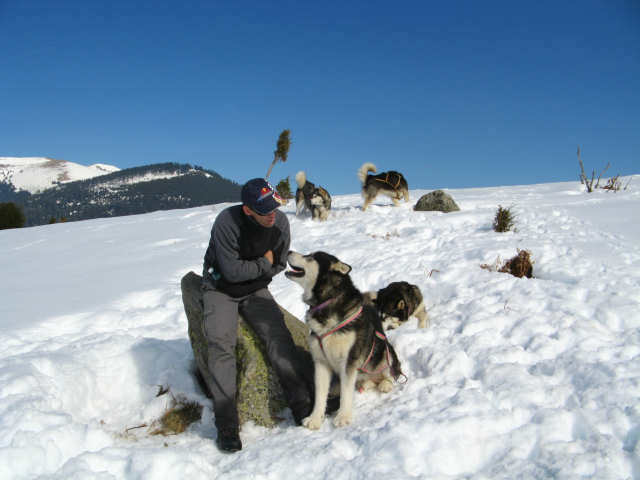 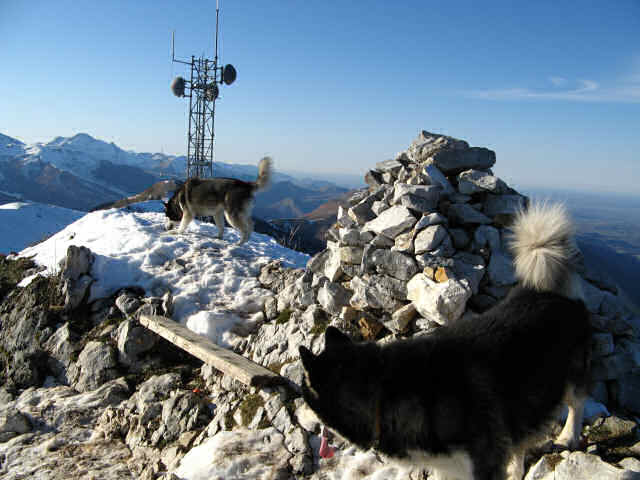 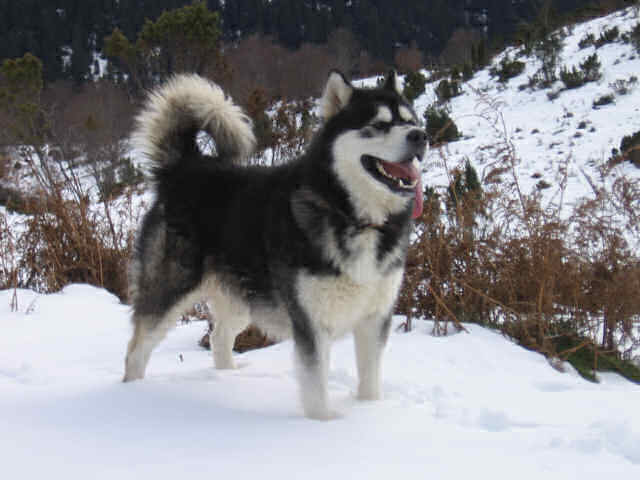 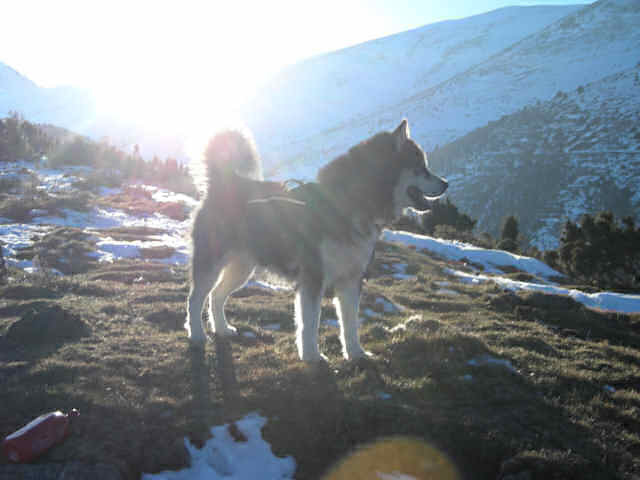 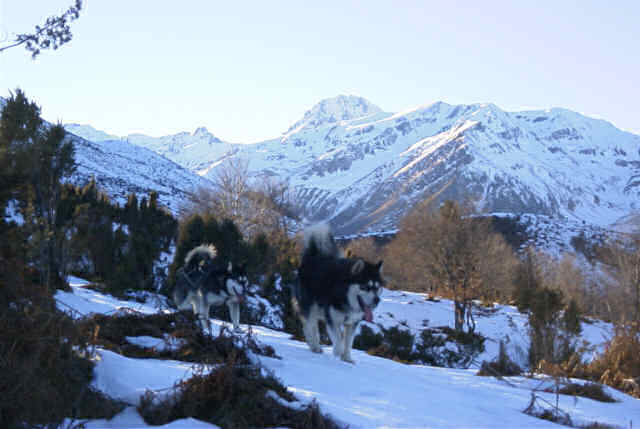 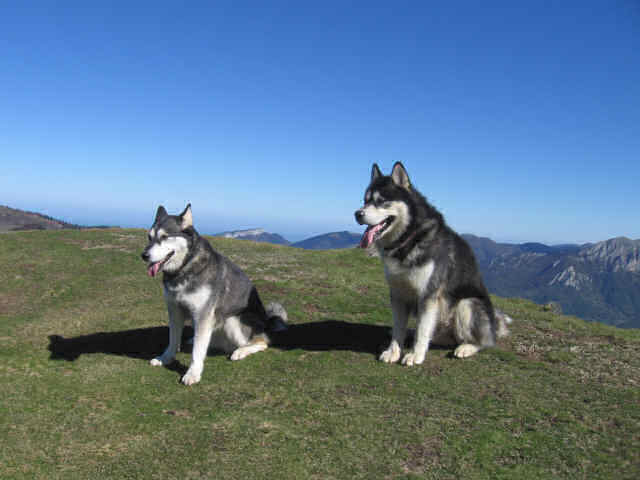 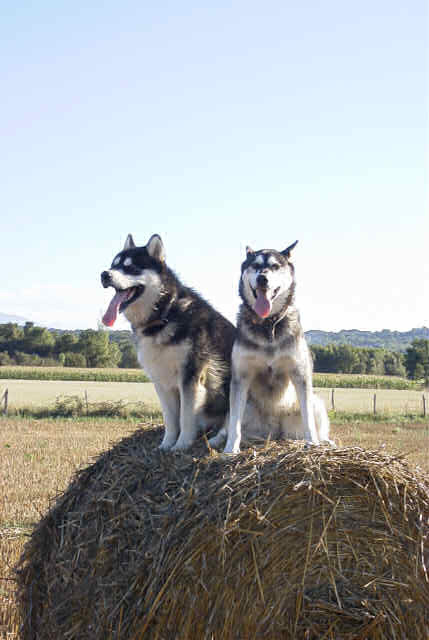 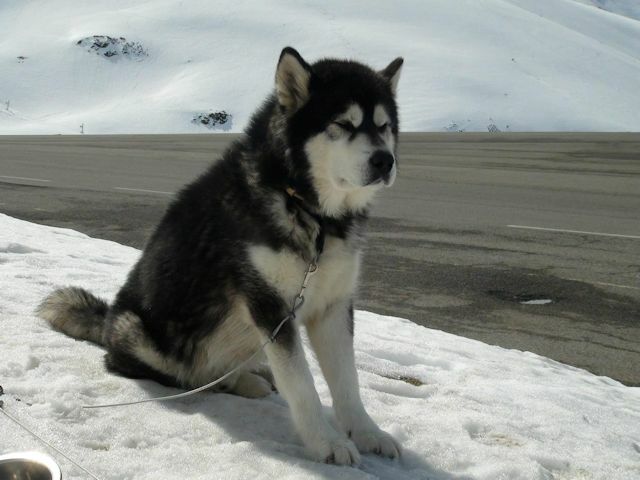 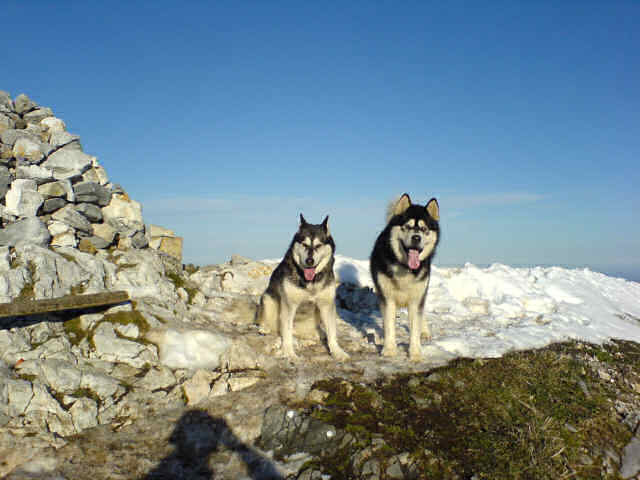 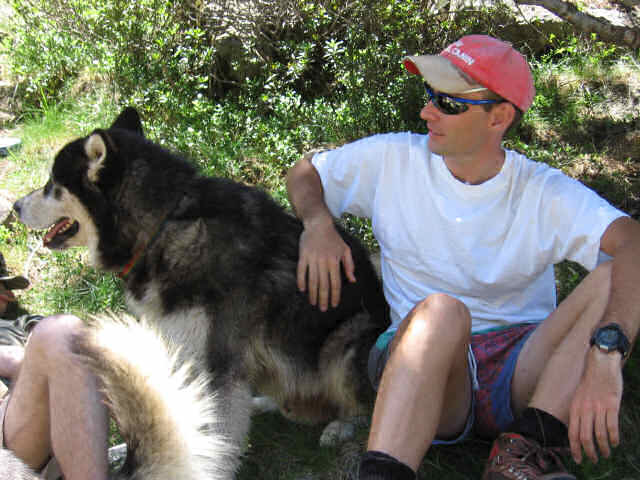 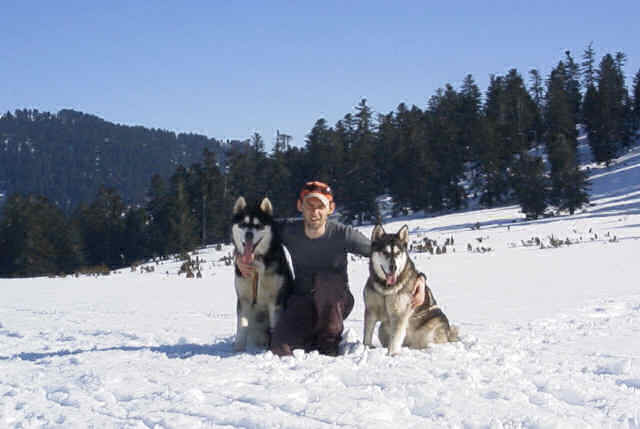 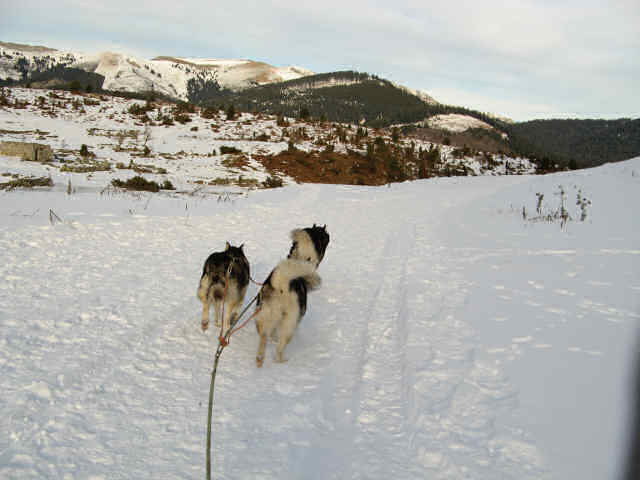 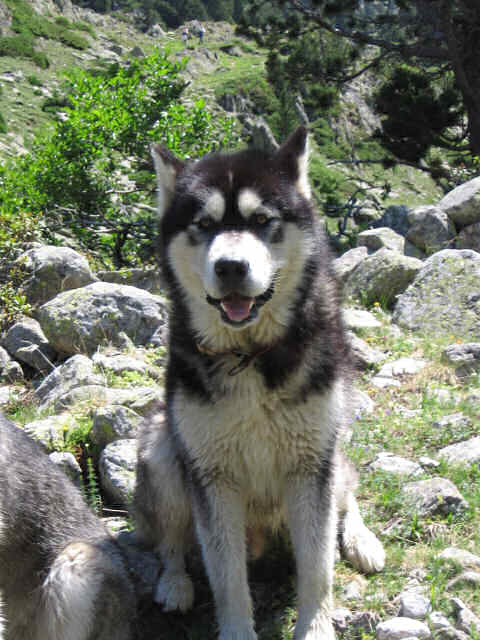 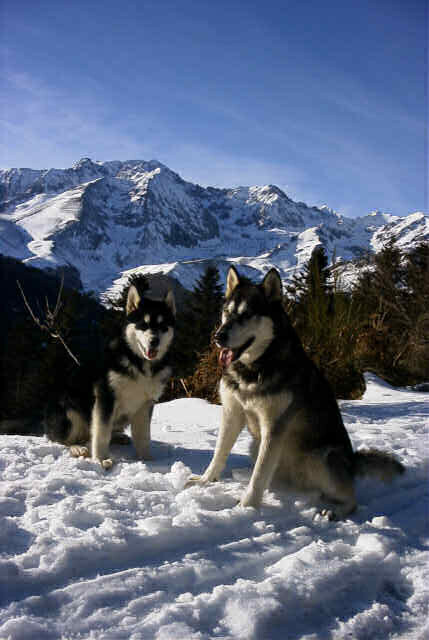 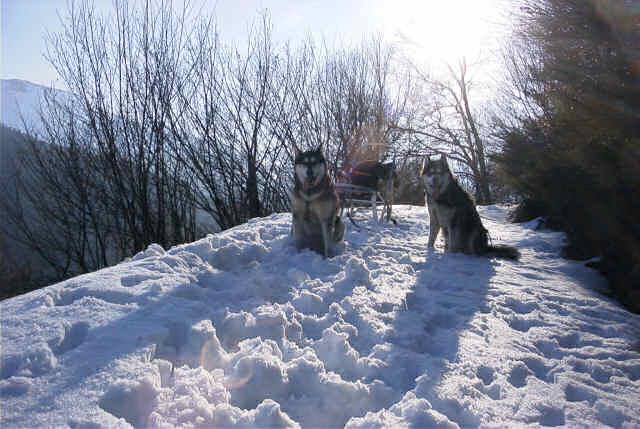 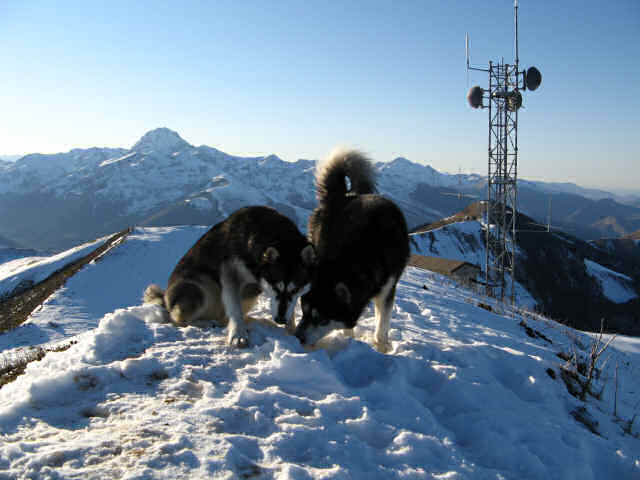 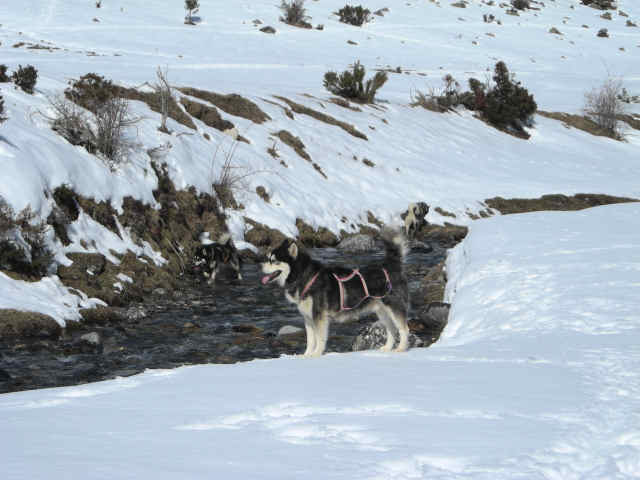 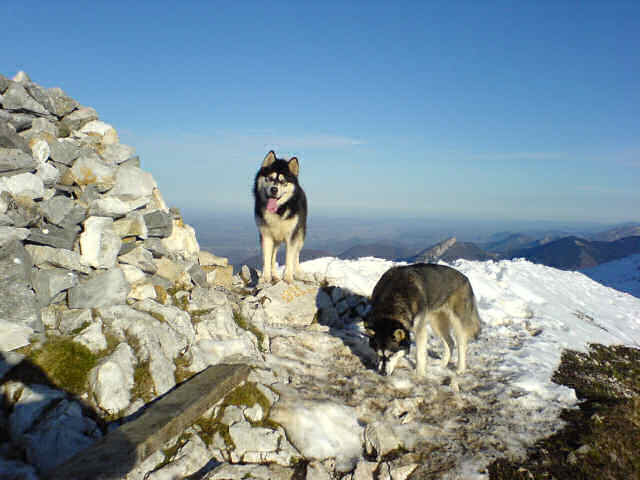 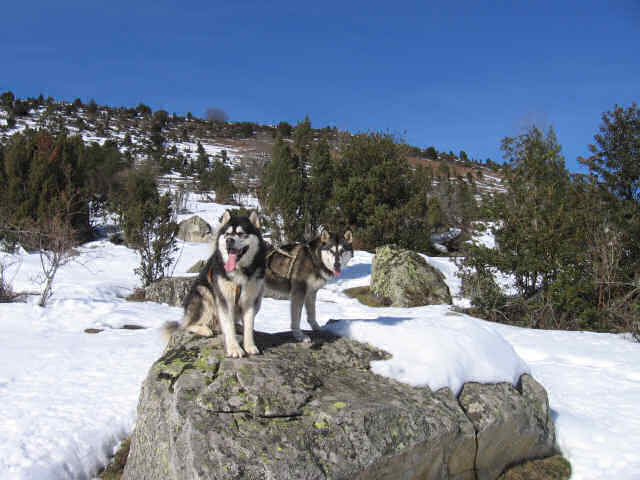 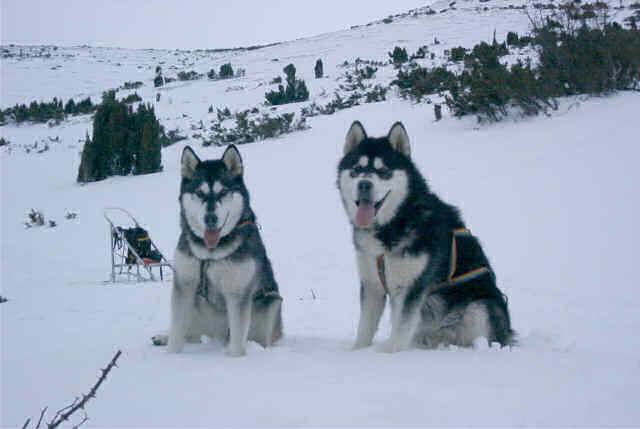 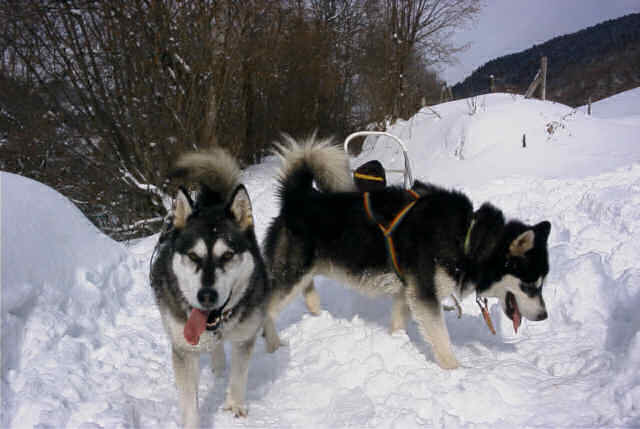 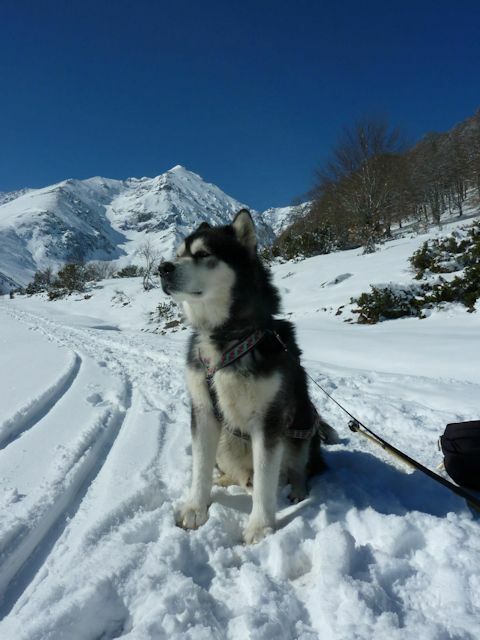 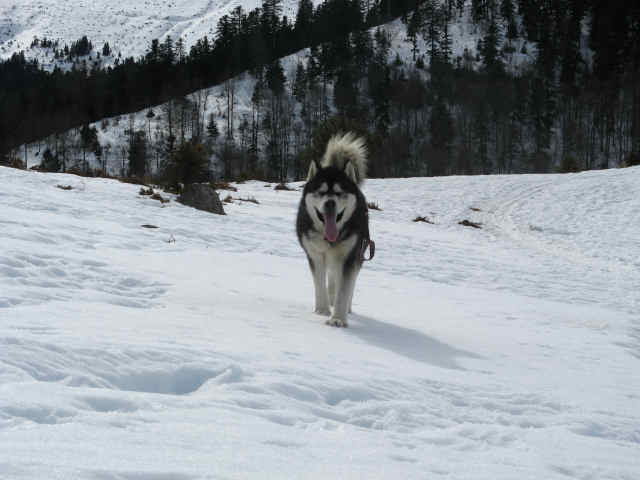 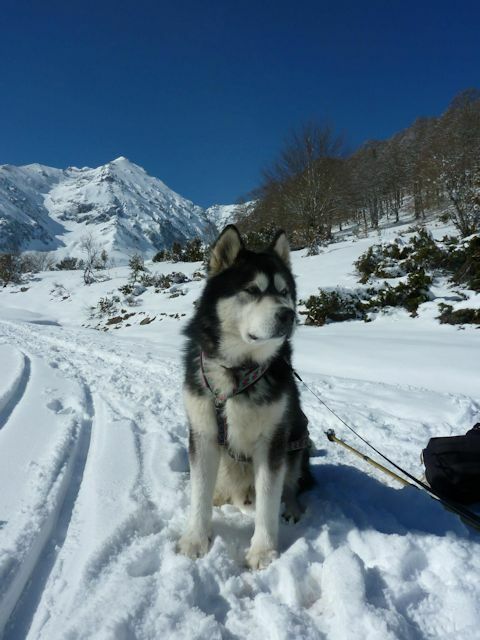 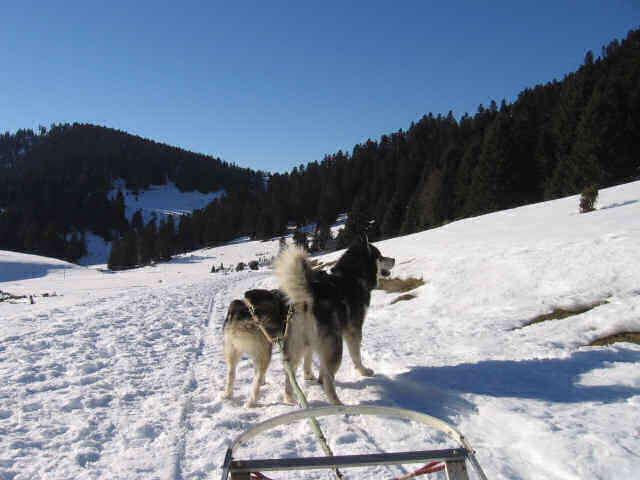 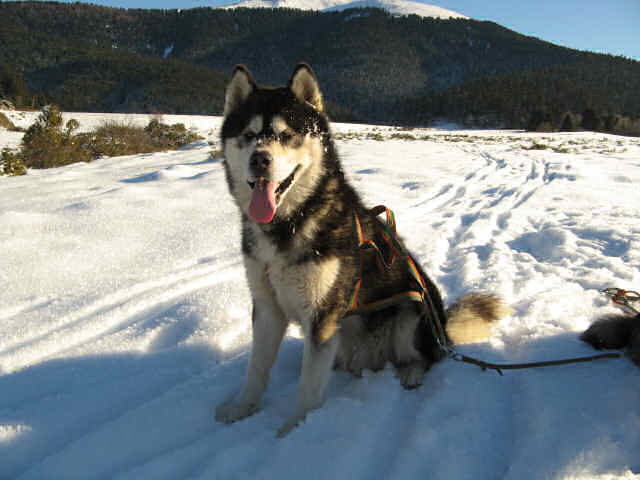 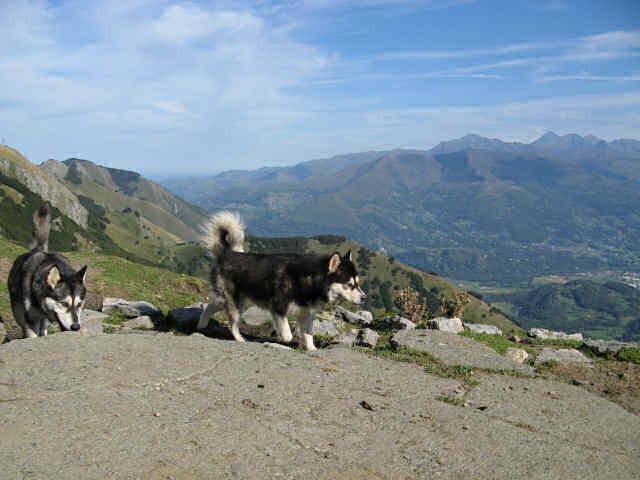 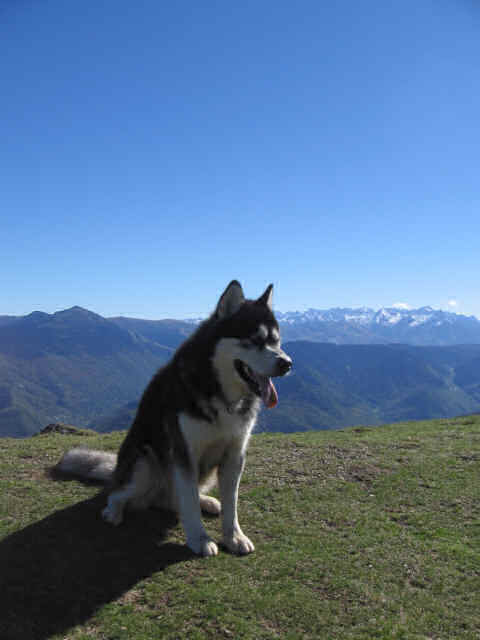 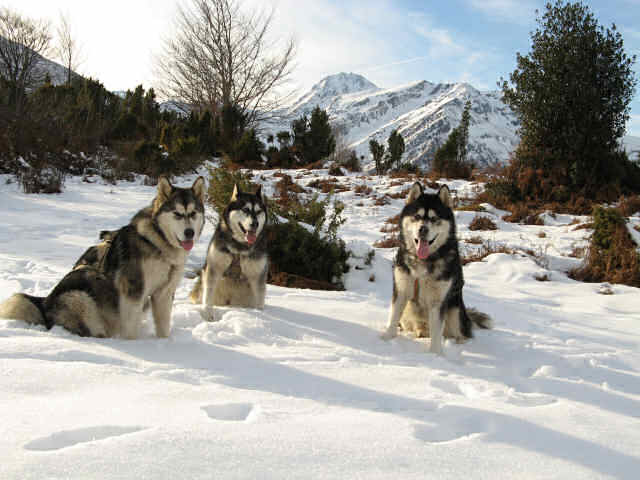 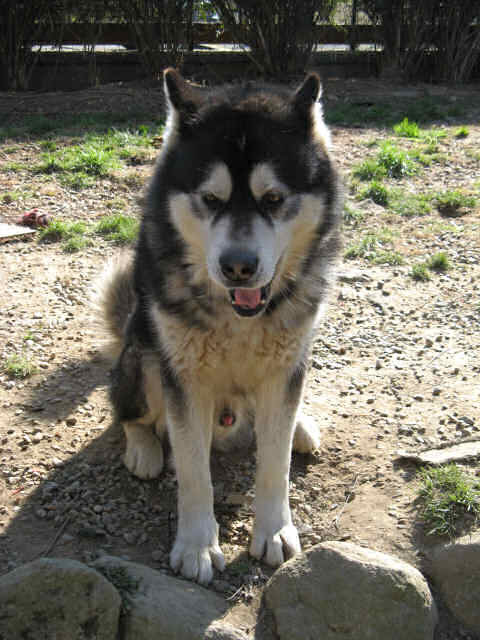 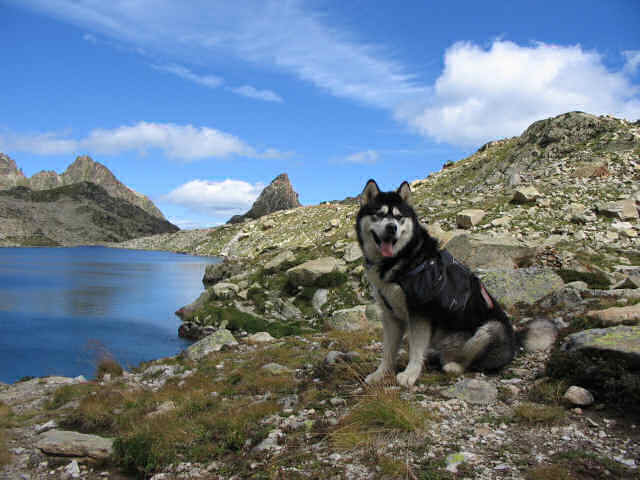 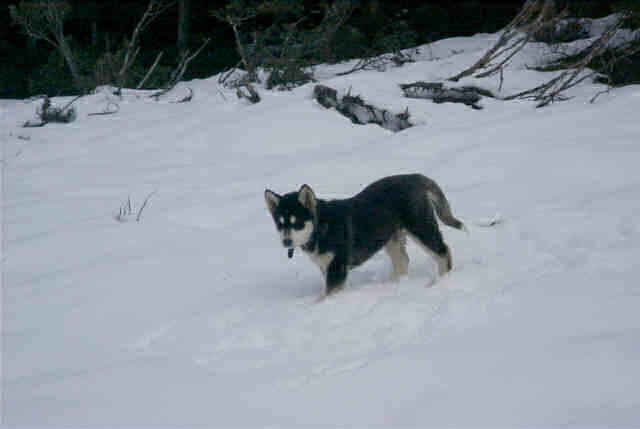 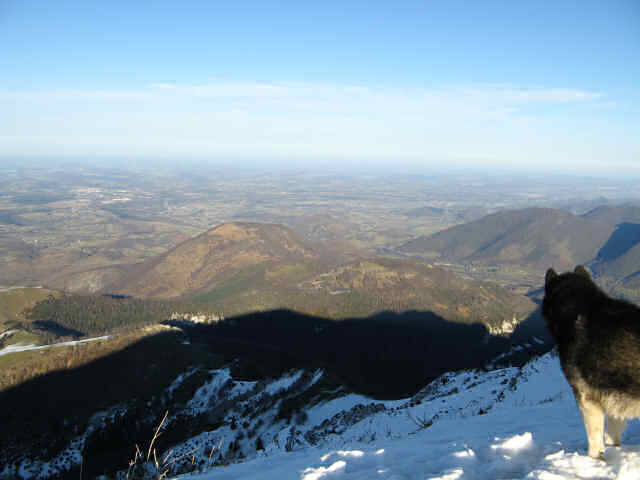 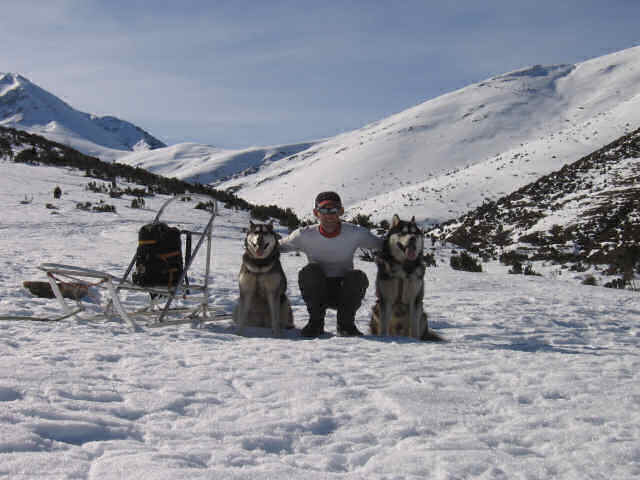 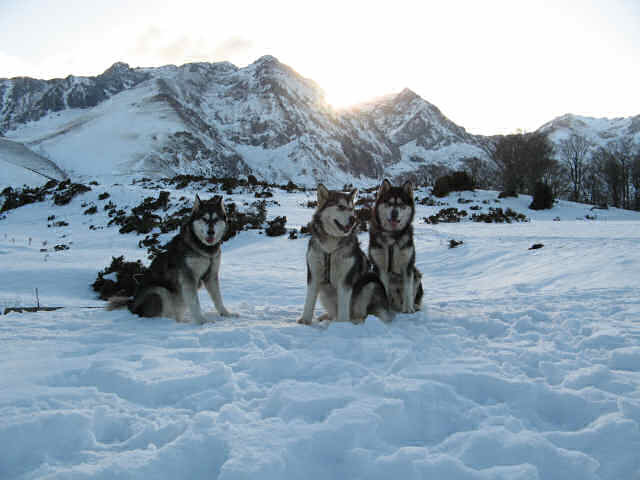 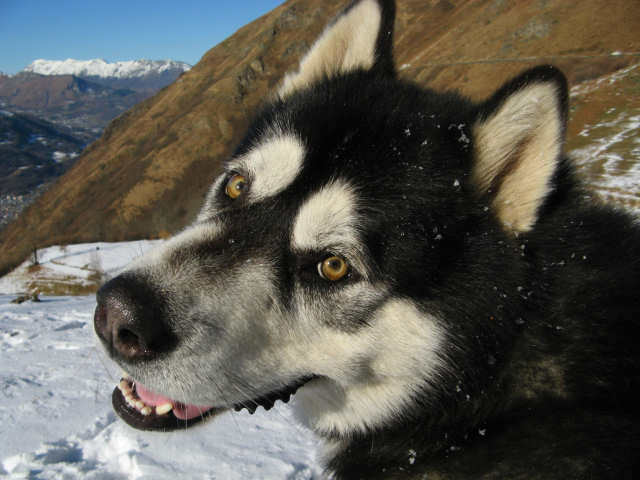 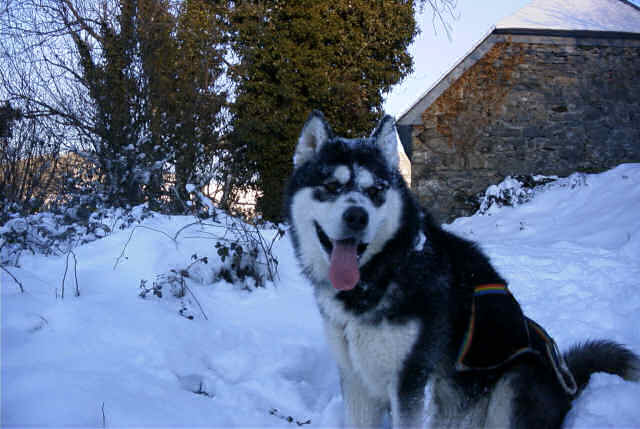 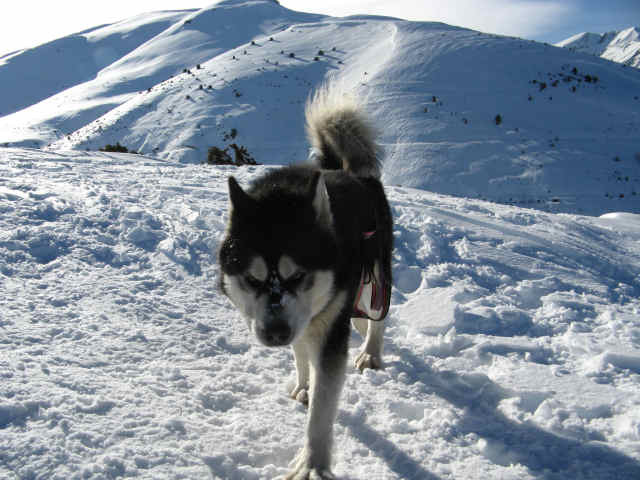 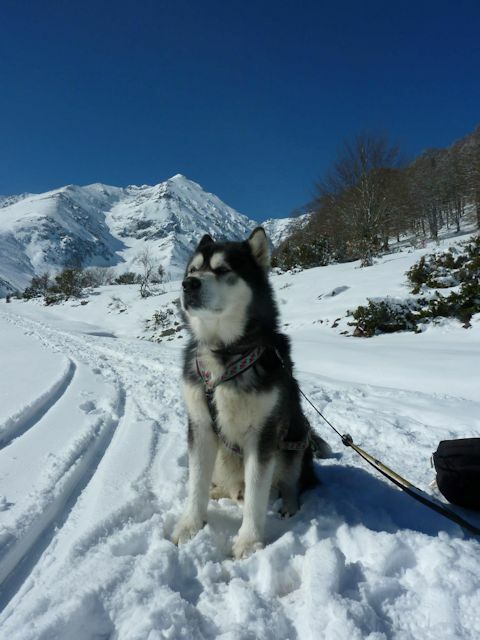 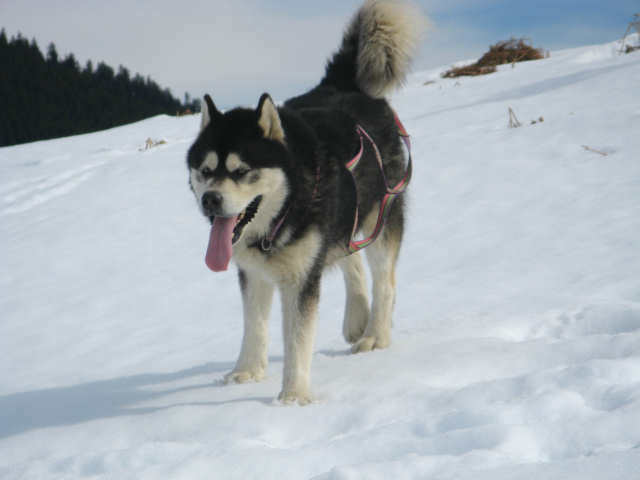 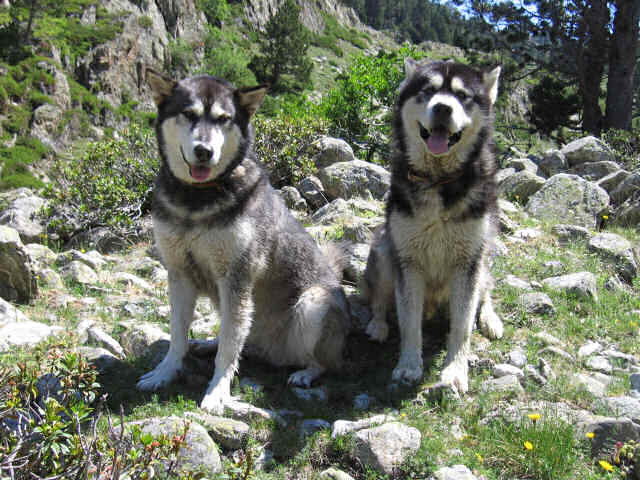 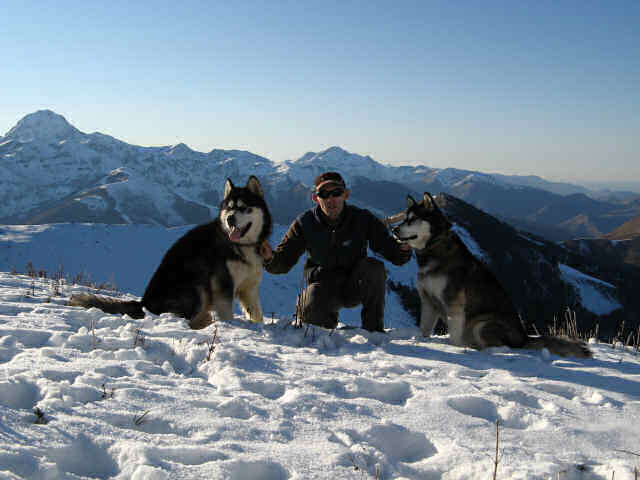 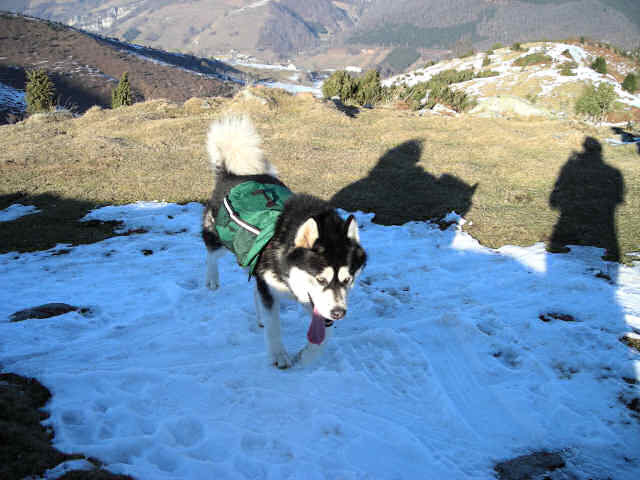 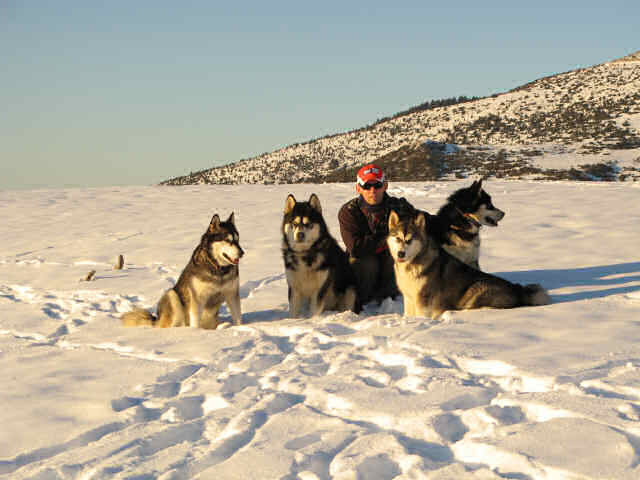 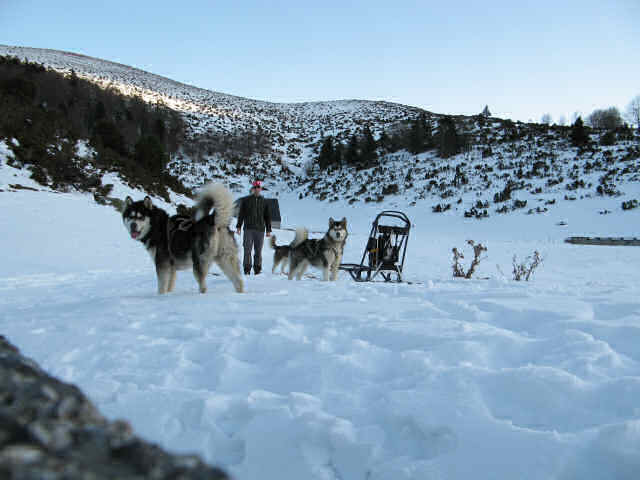 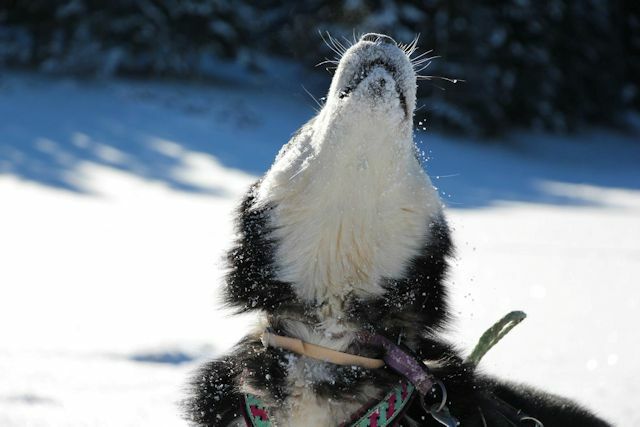 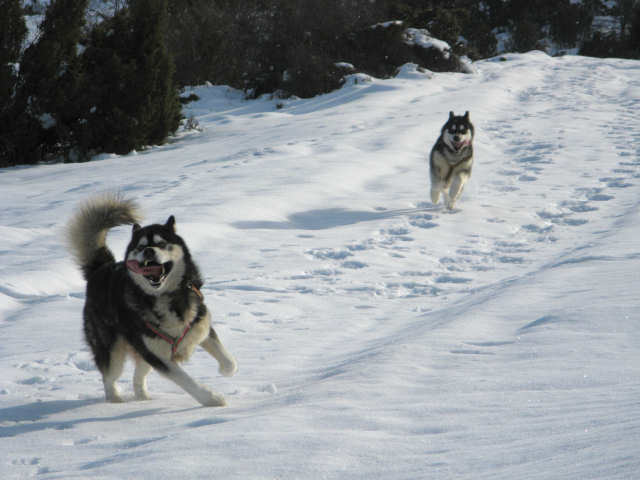 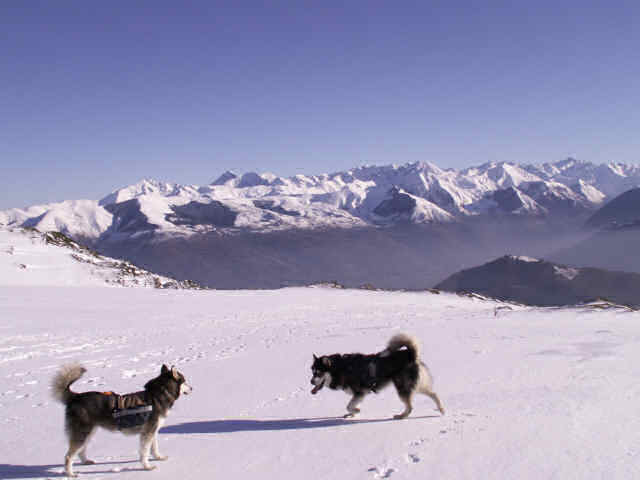 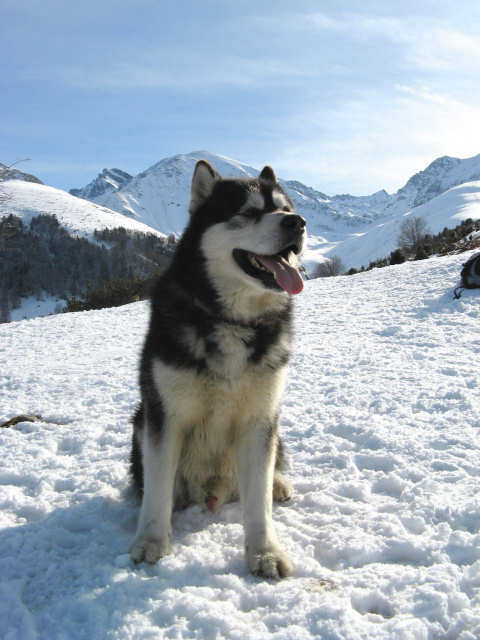 I went to pick up my big "RoRok", at the beginning of December 2003, at a breeder with whom I am a friend since then and he was in "Momères" in the Pyrenees near my village, "Odos". 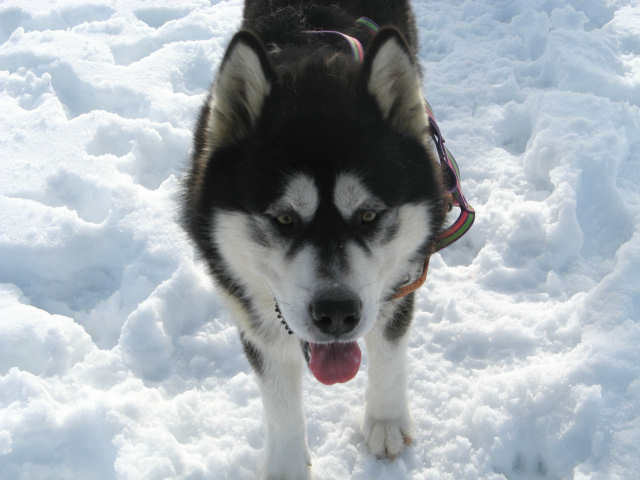 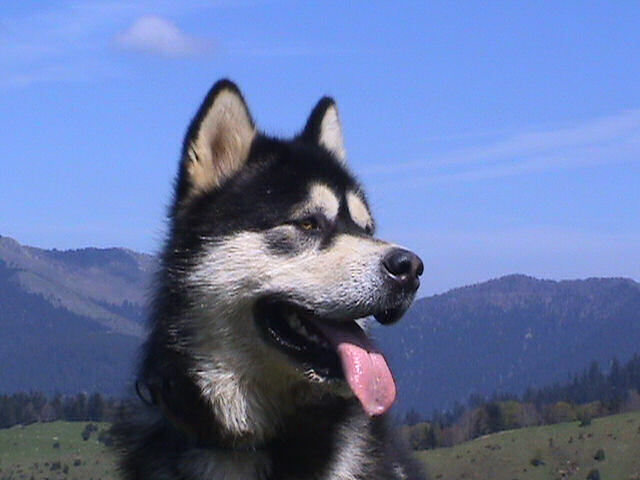 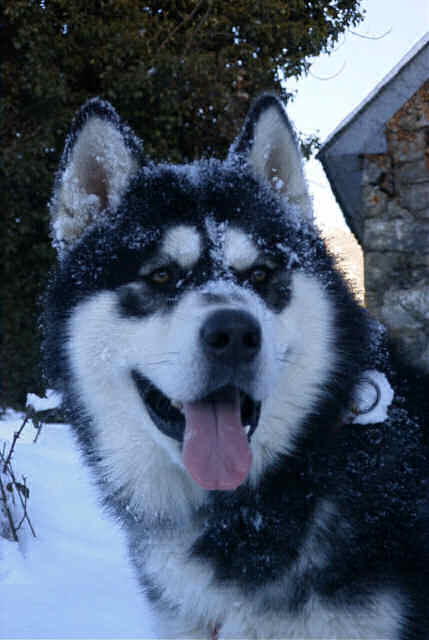 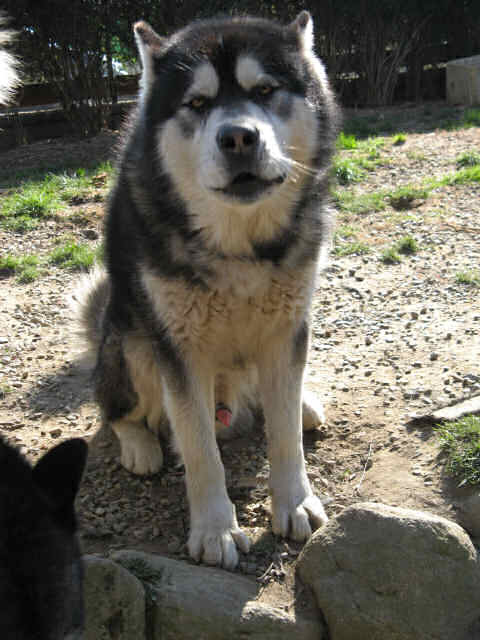 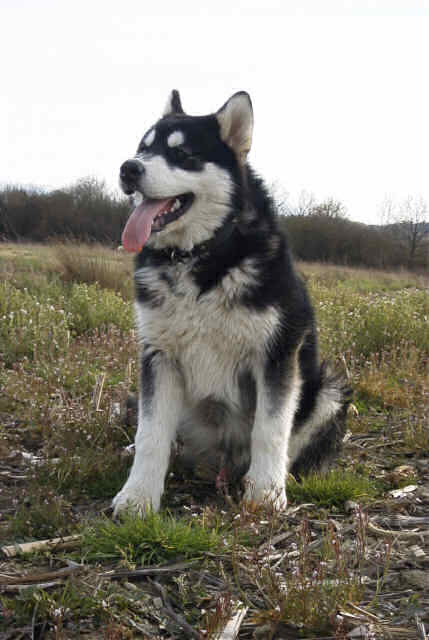 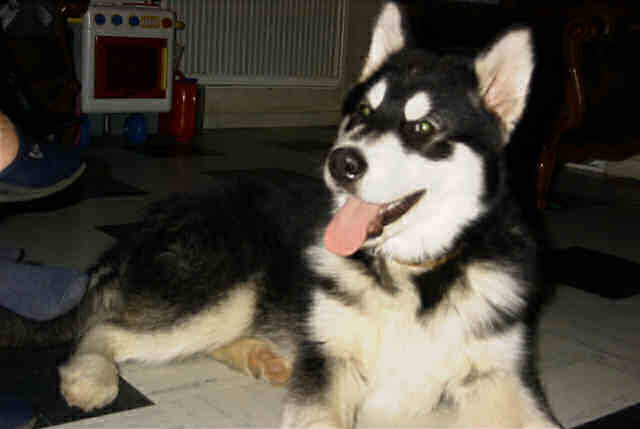 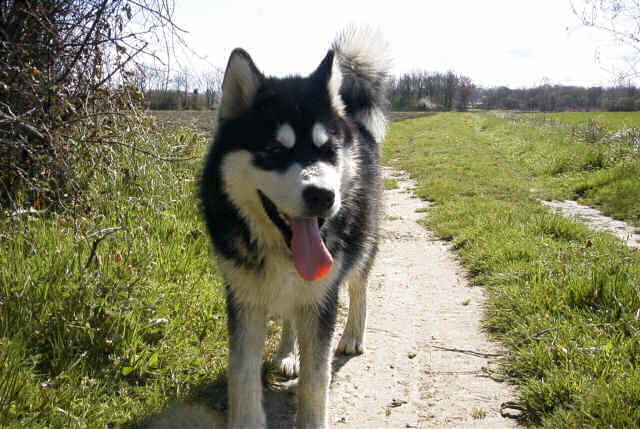 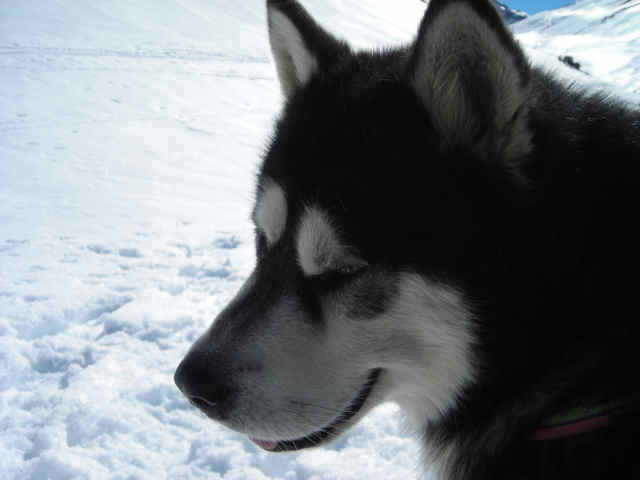 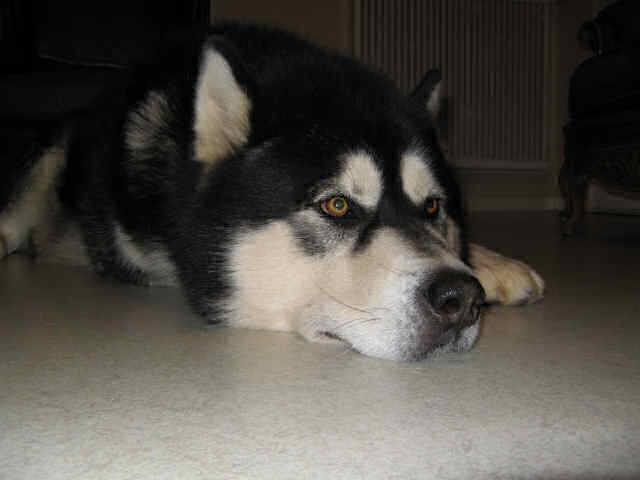 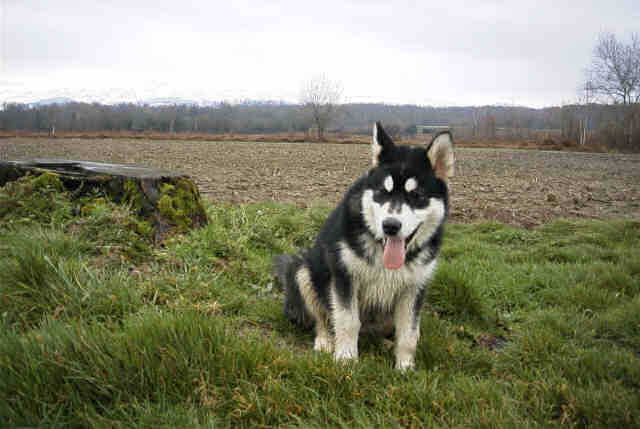 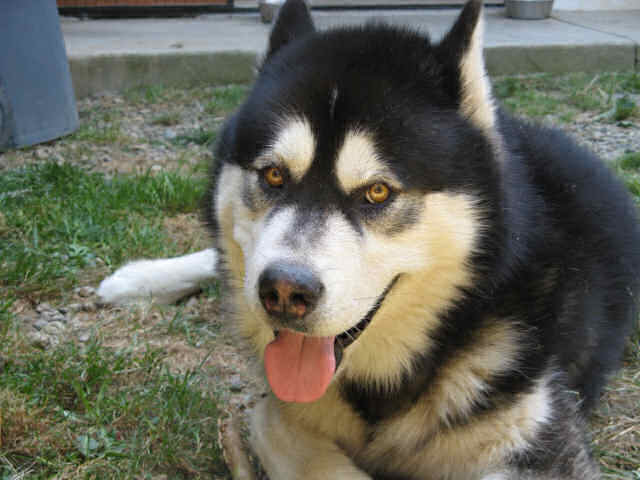 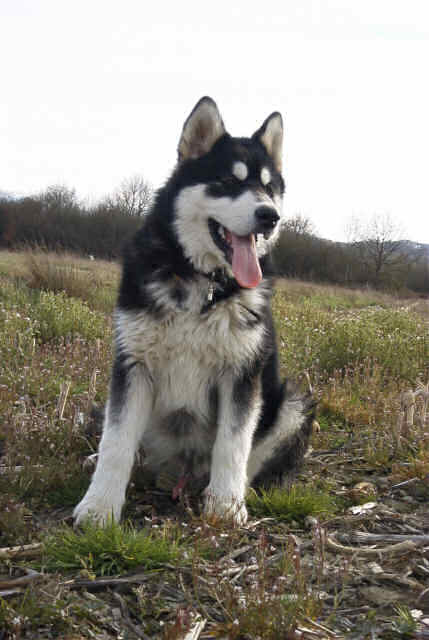 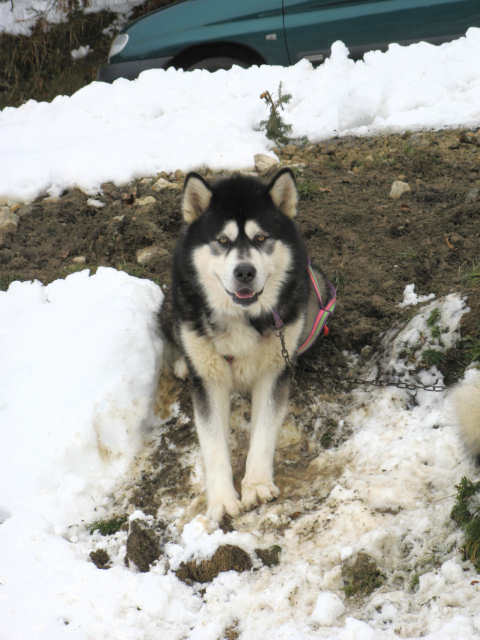 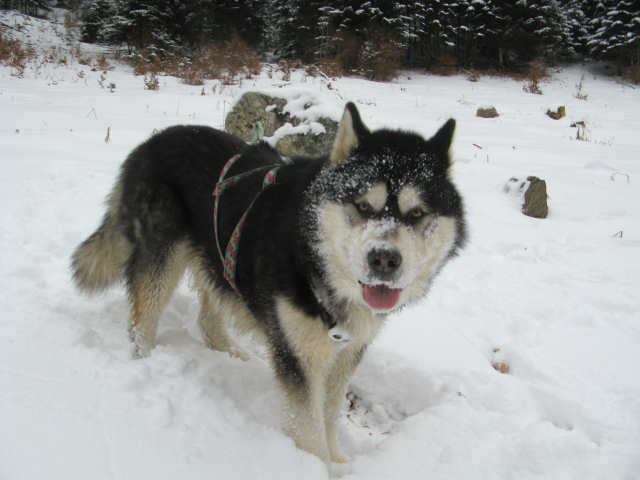 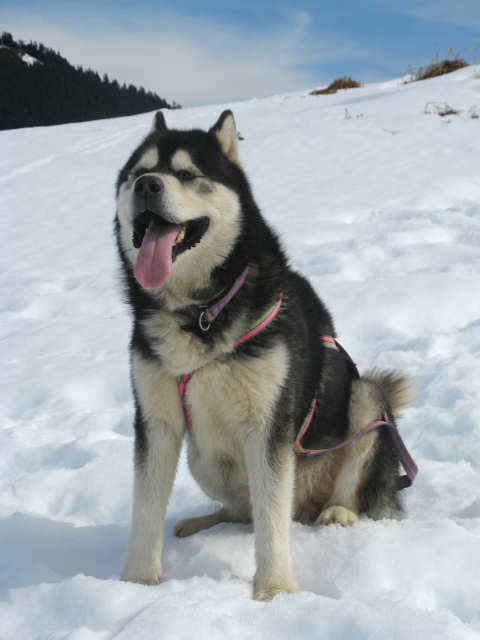 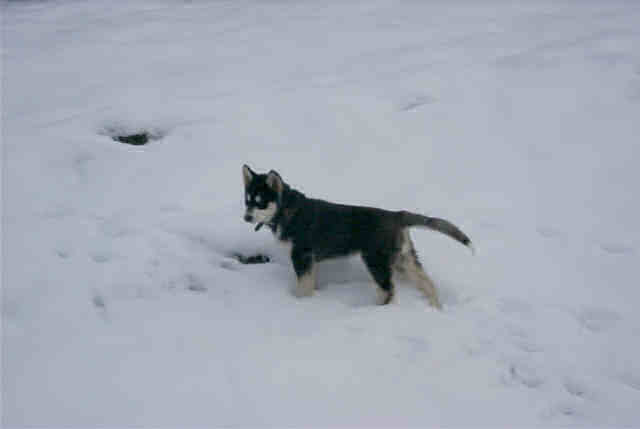 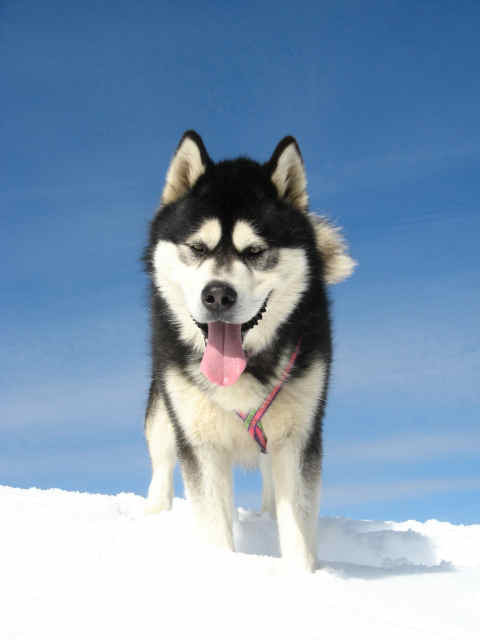 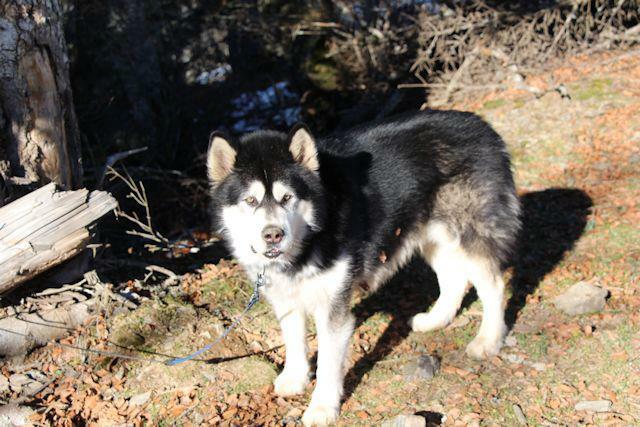 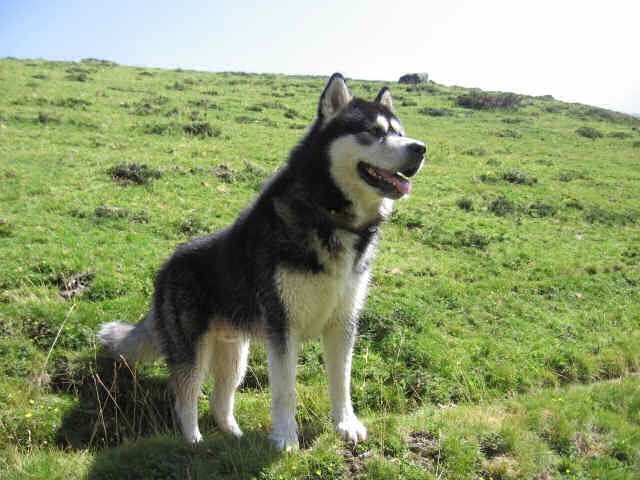 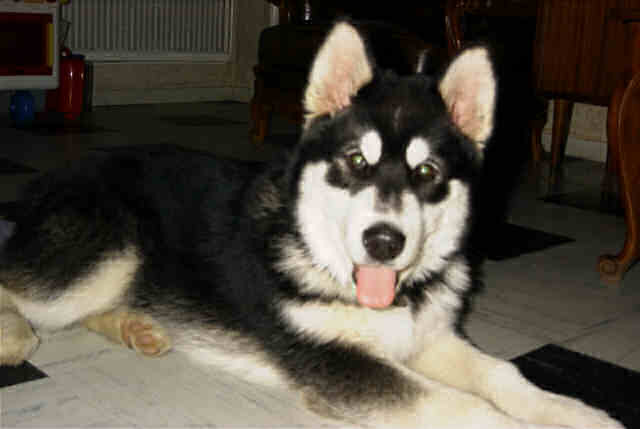 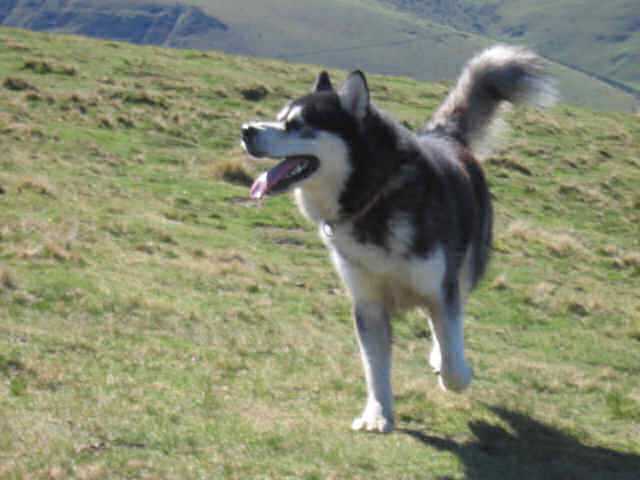 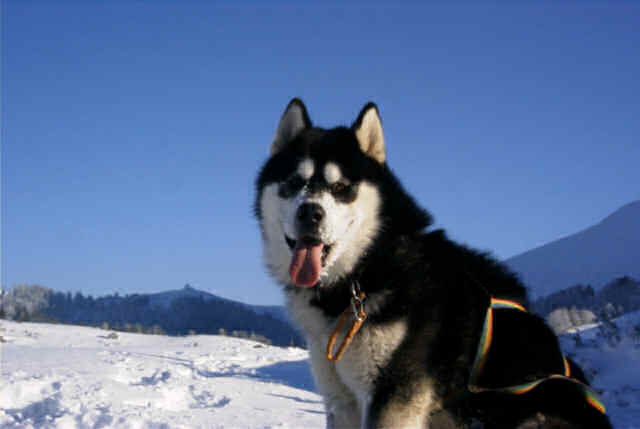 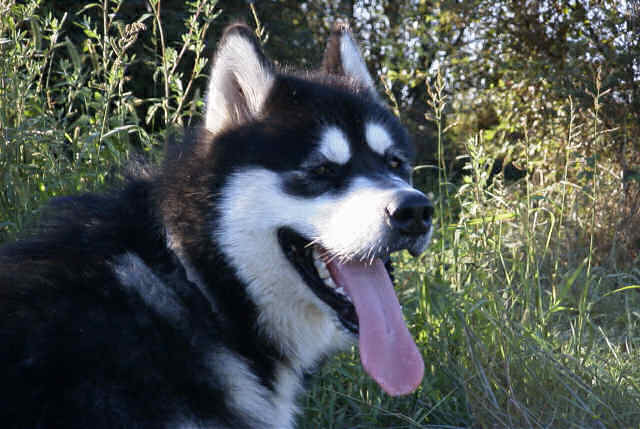 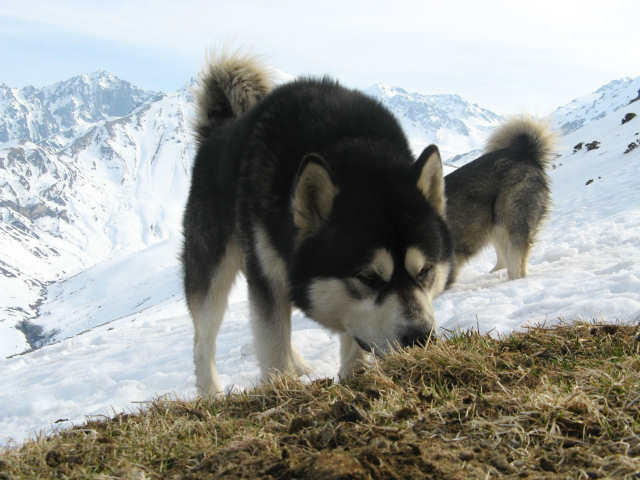 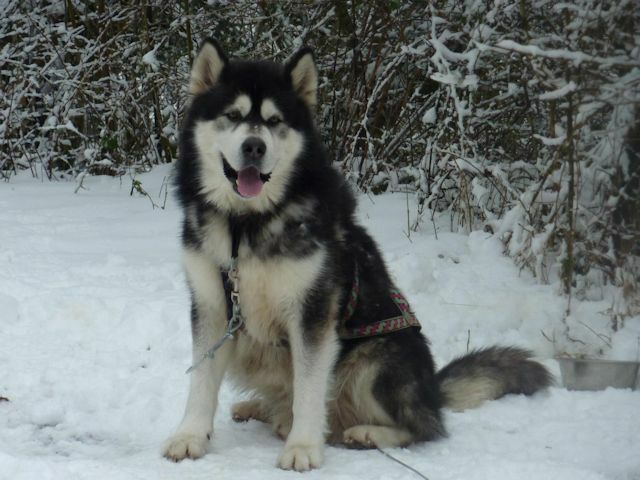 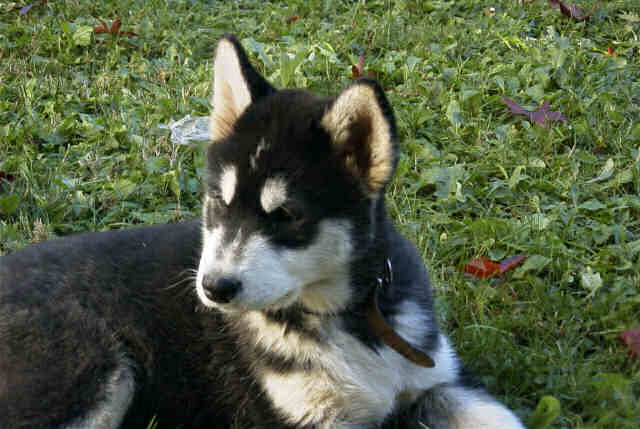 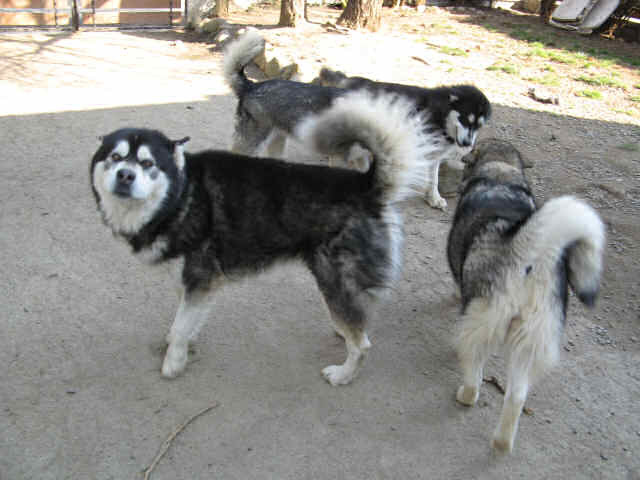 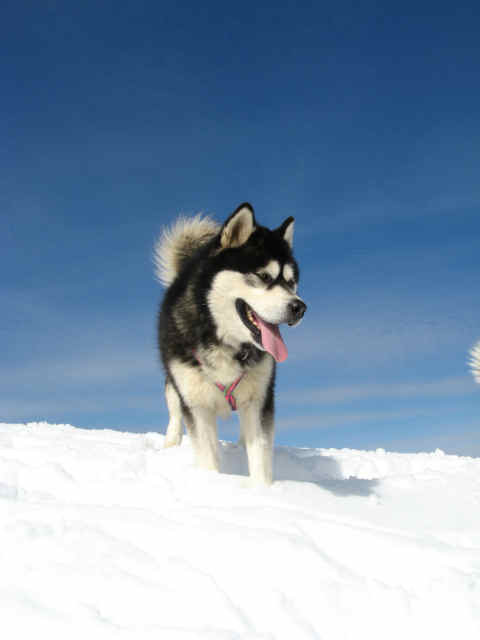 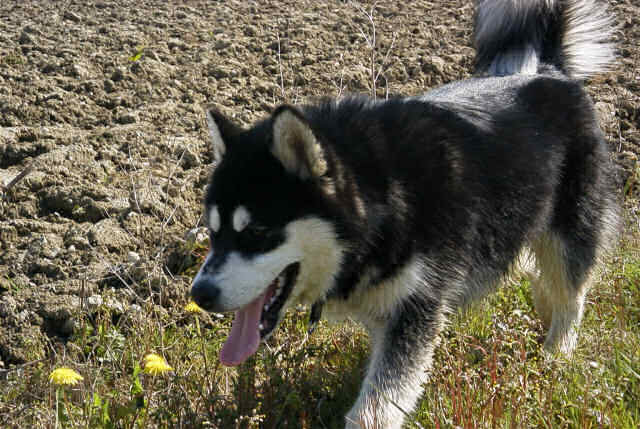 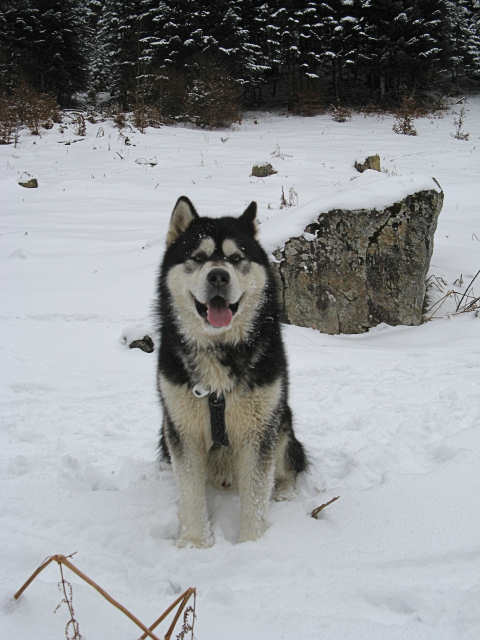 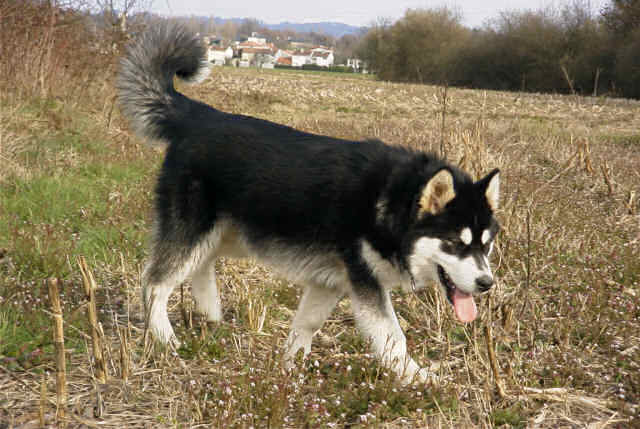 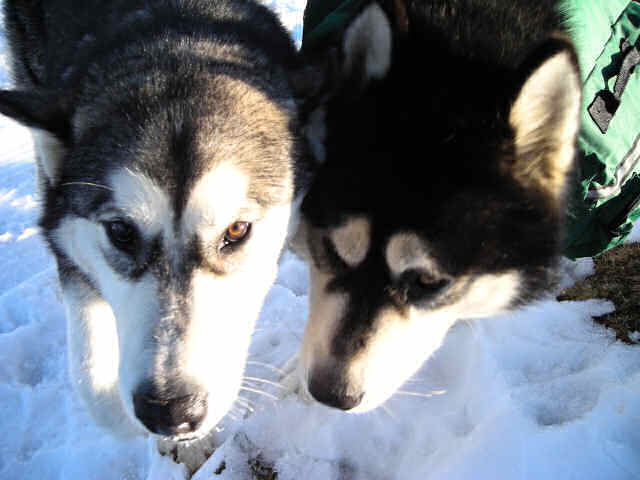 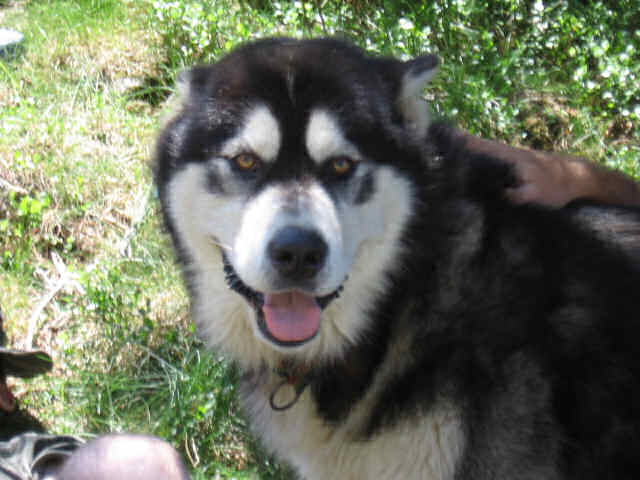 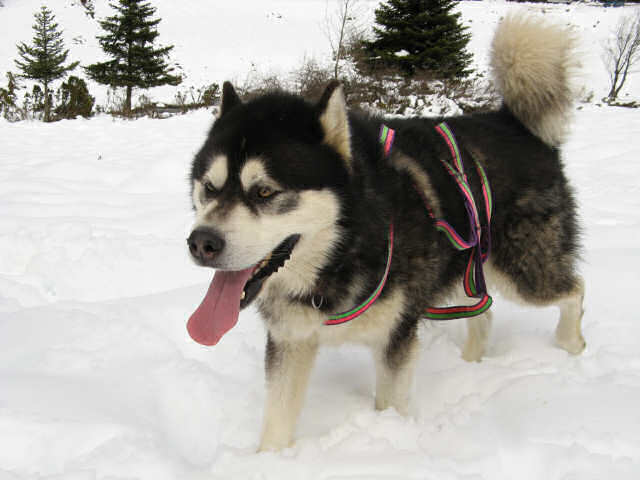 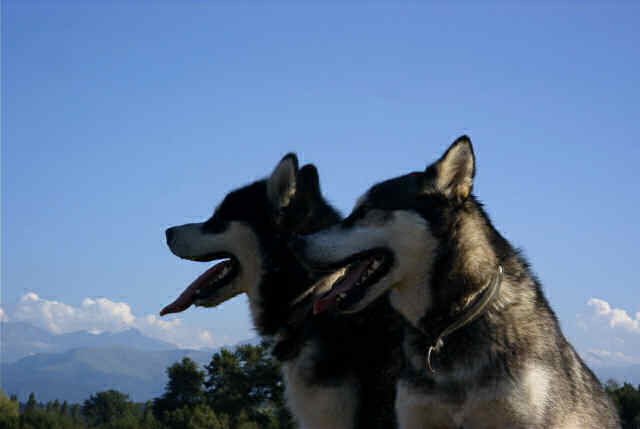 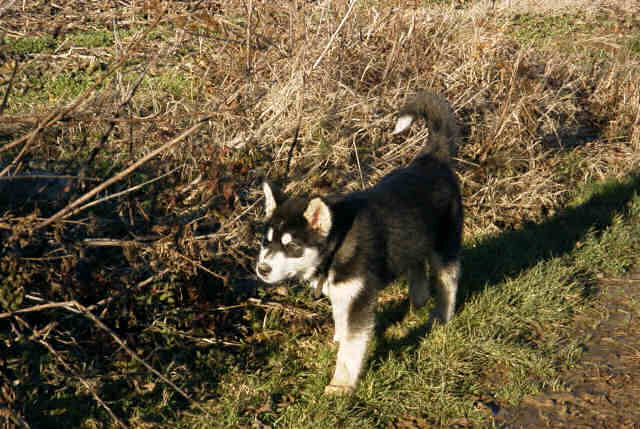 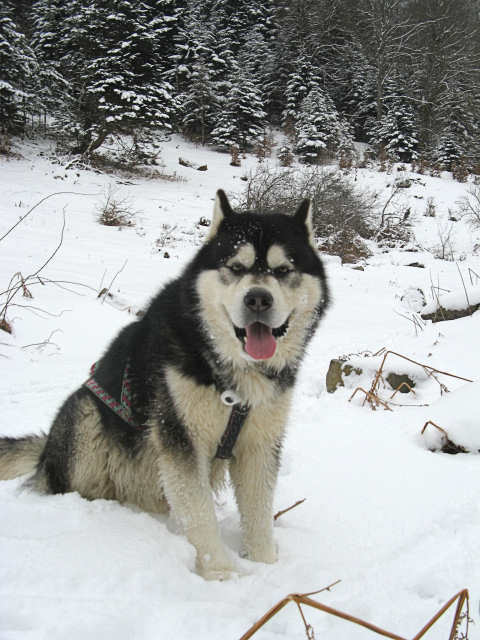 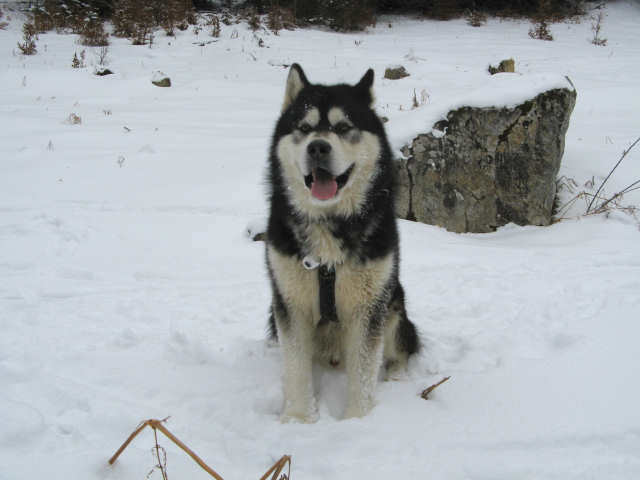 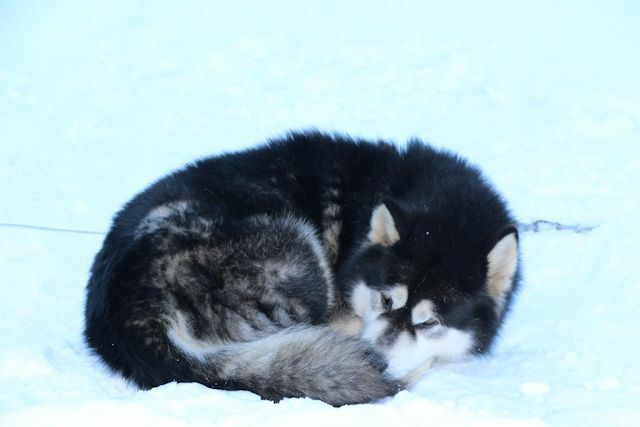 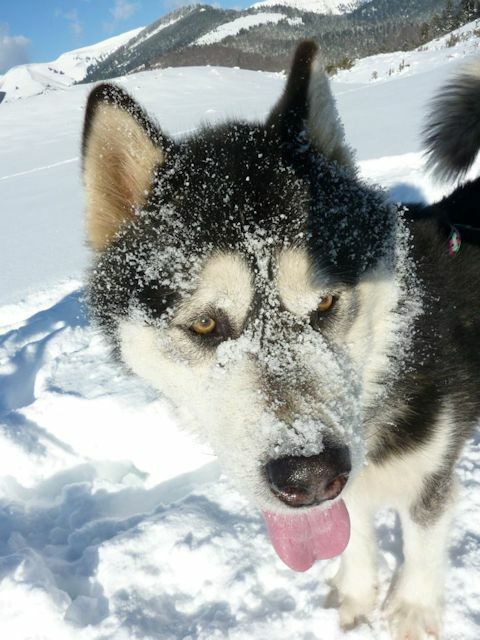 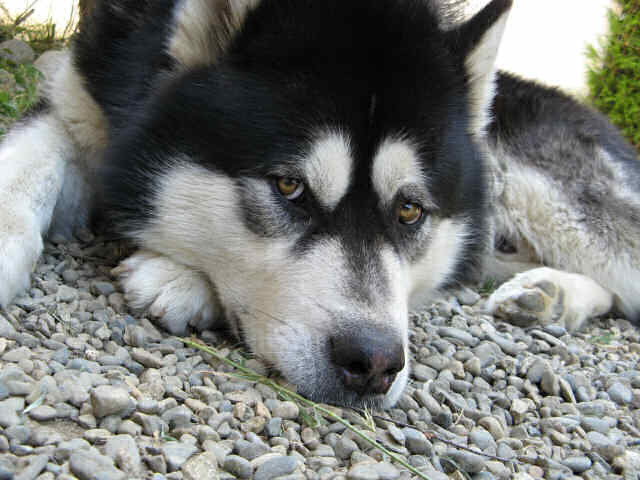 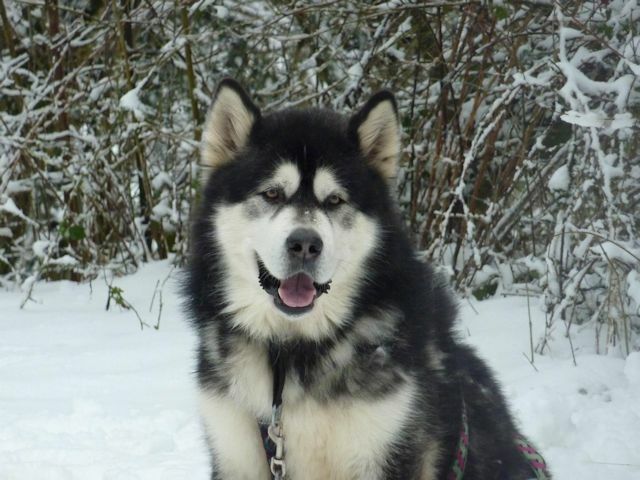 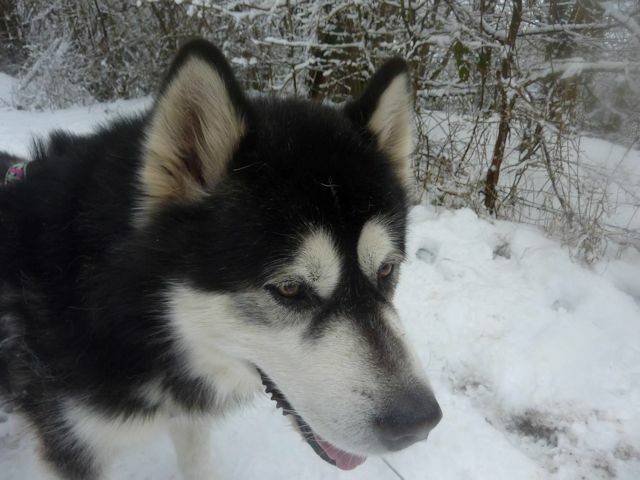 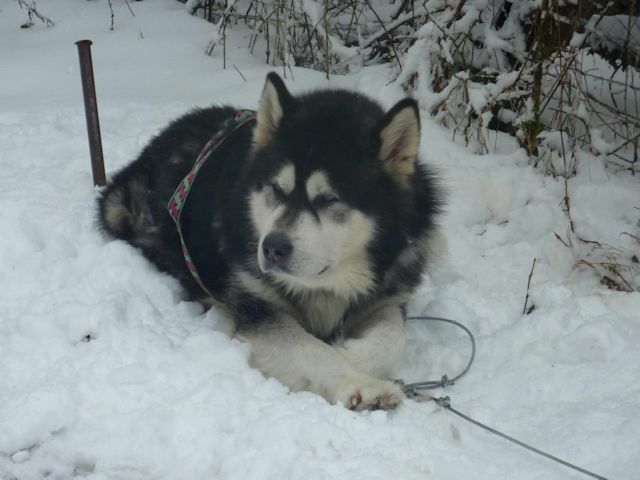 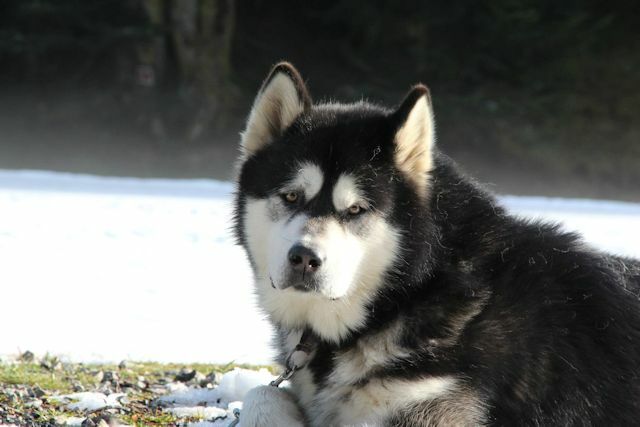 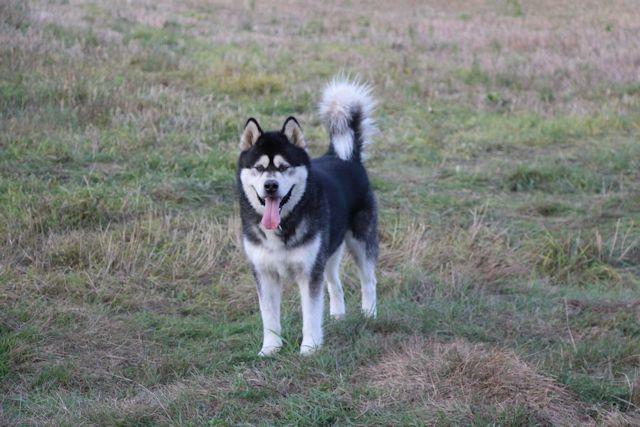 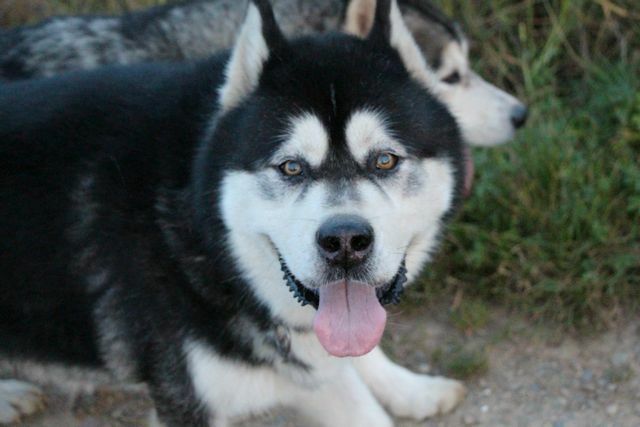 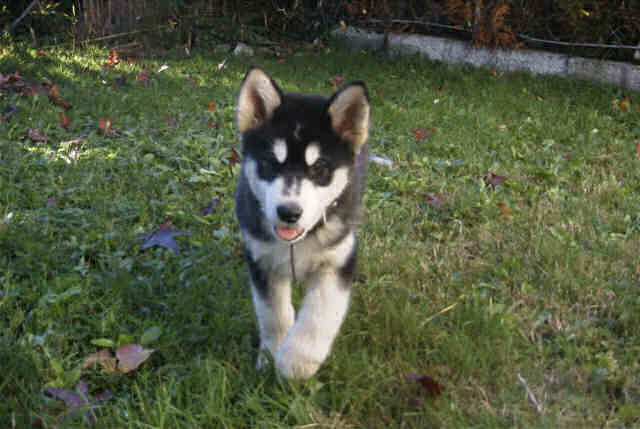 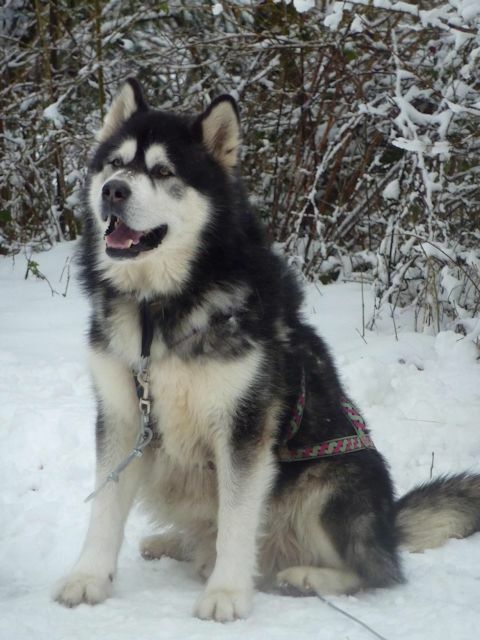 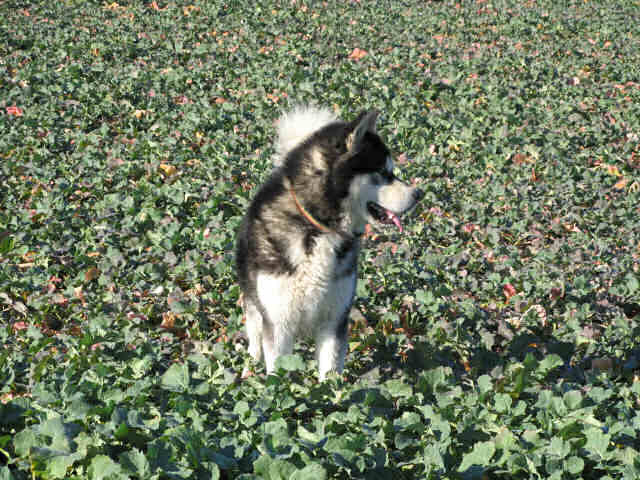 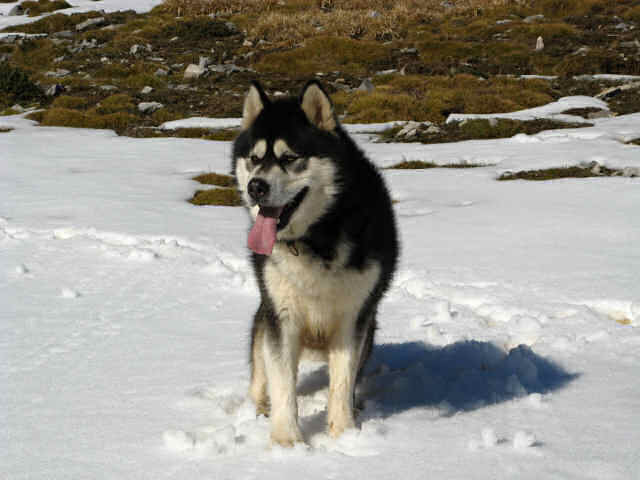 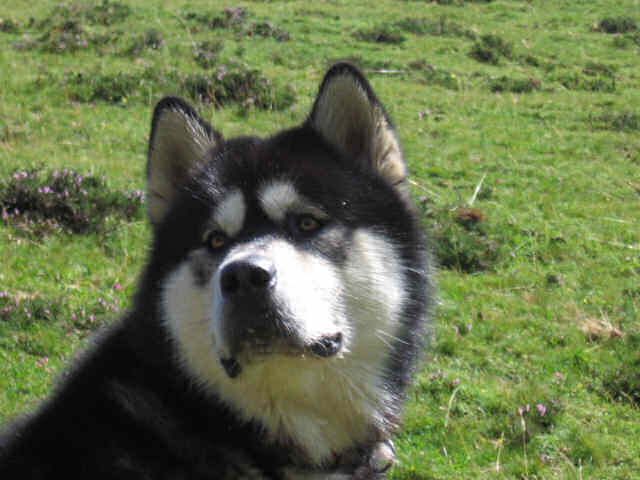 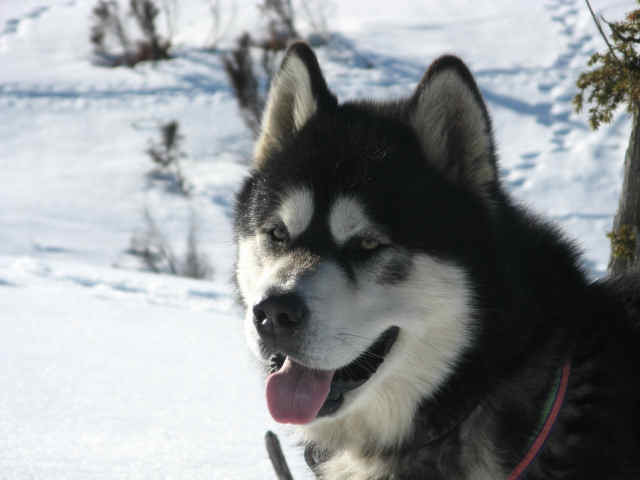 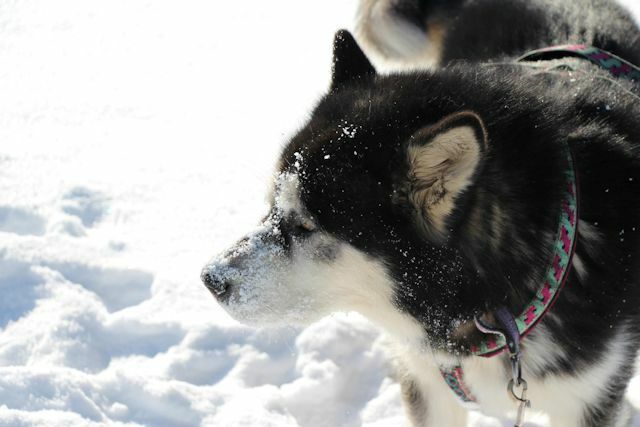 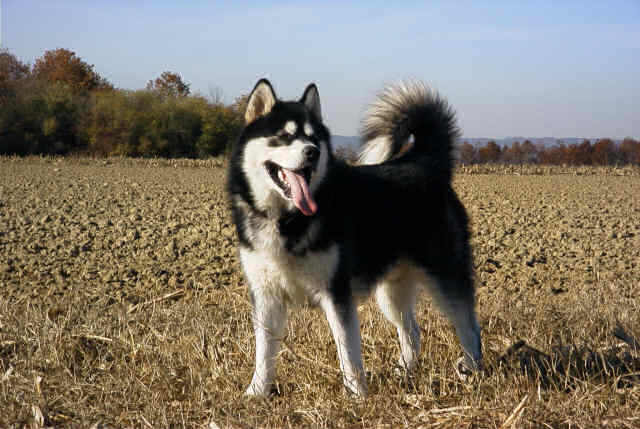 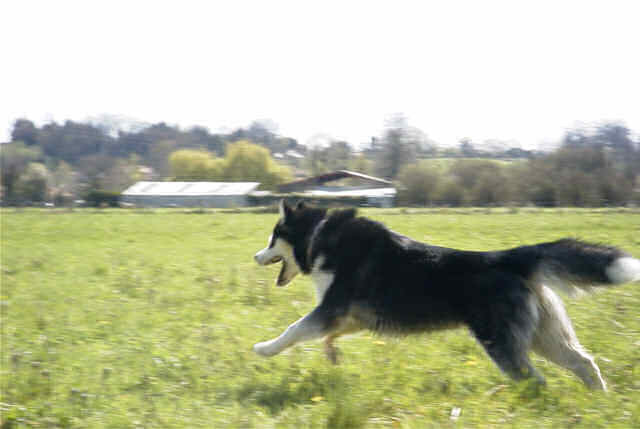 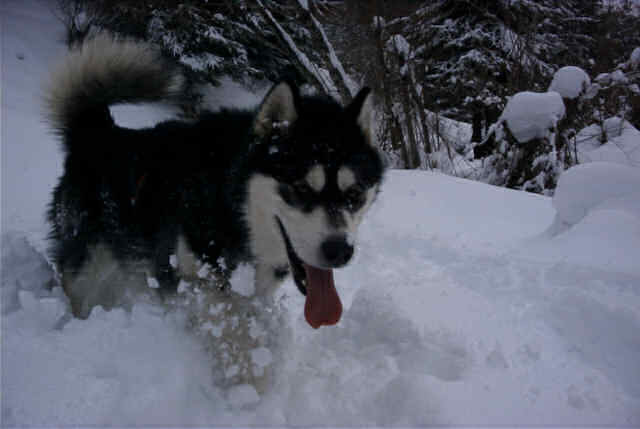 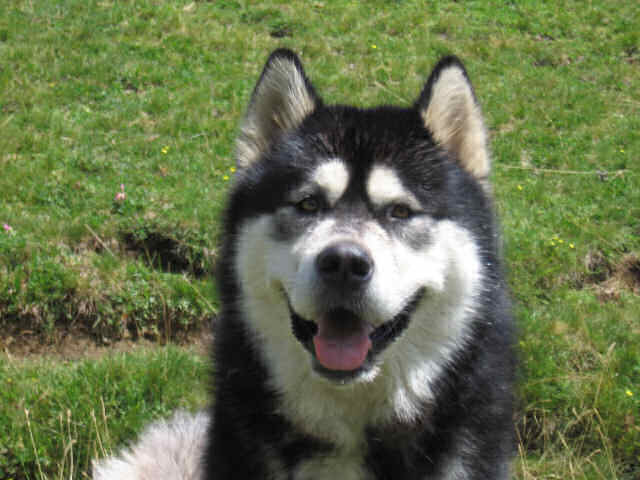 Urok corresponded very well at the Malamute that I was looking for, with his beautiful black and his black mask. 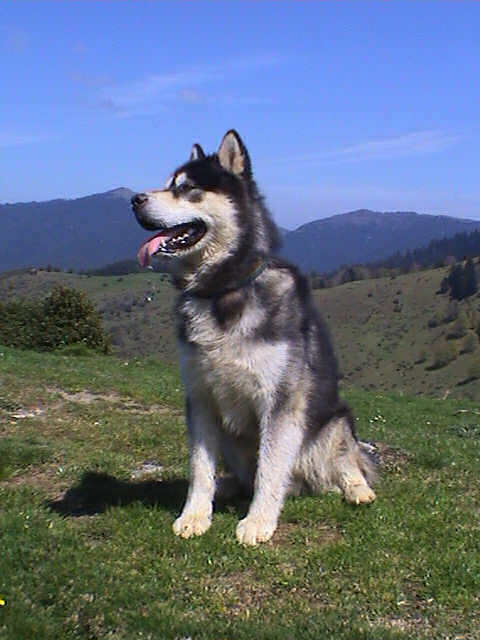 During his youth, Urok was very calm, fairly obedient and well guided by his second mother, Oxane . 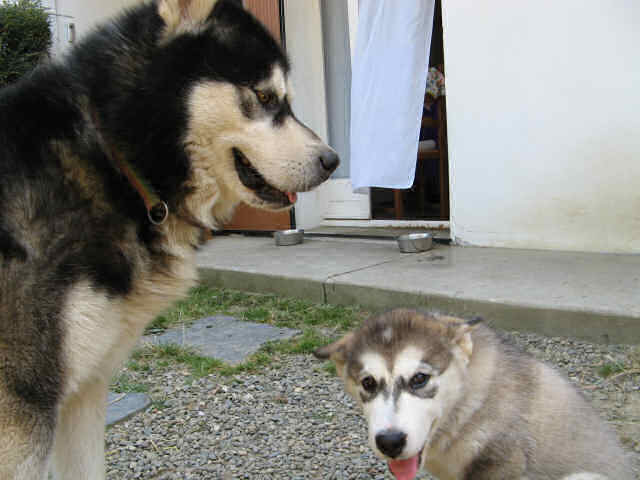 His only fault, he made few holes, and even now in adulthood, if he does not run for a few short days, this fault come back. 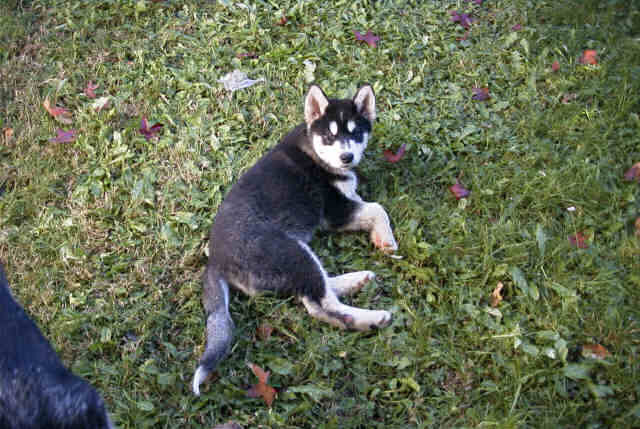 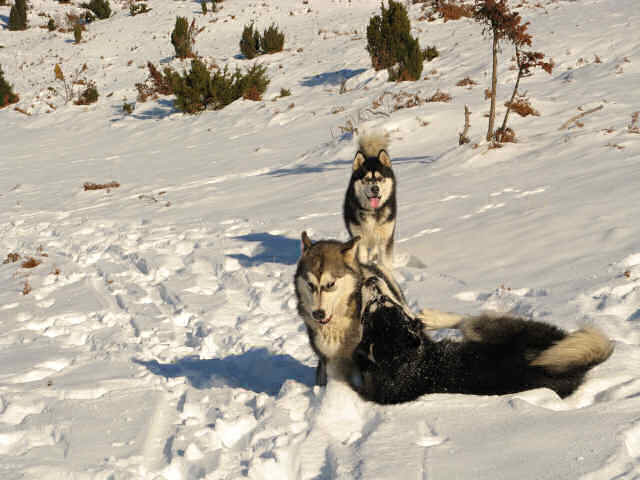 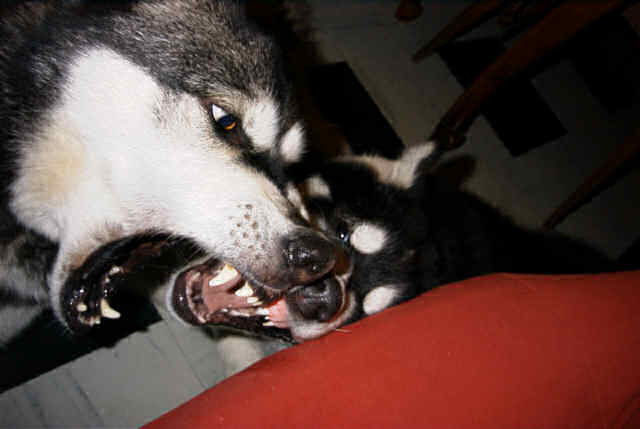 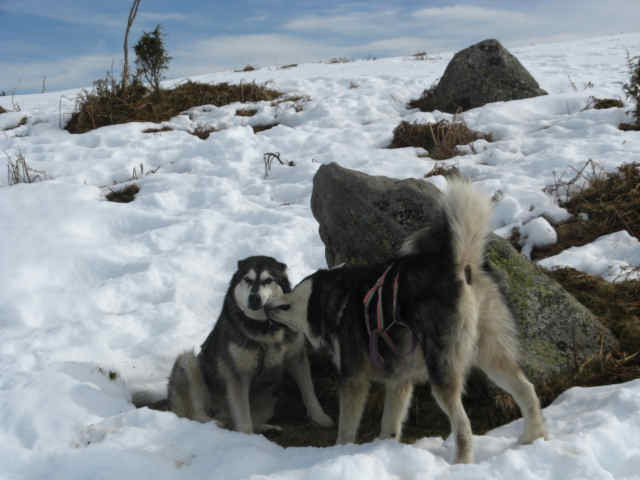 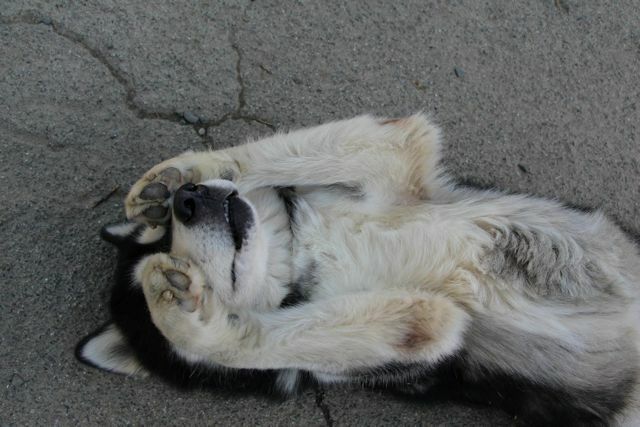 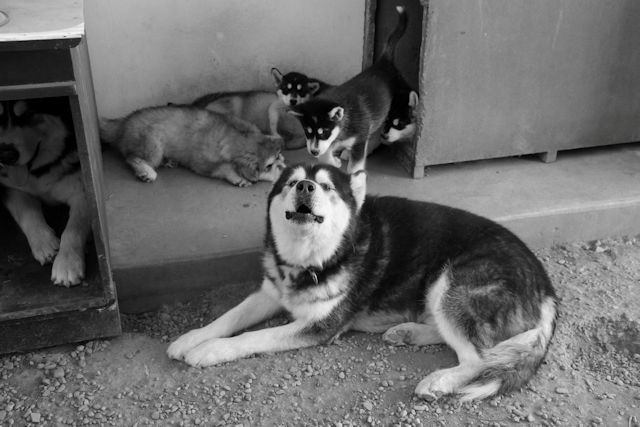 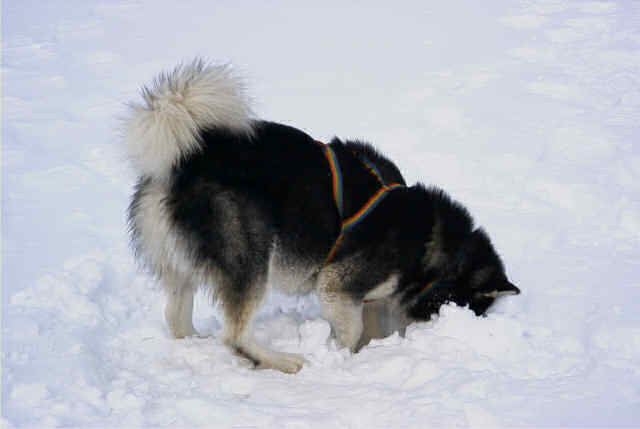 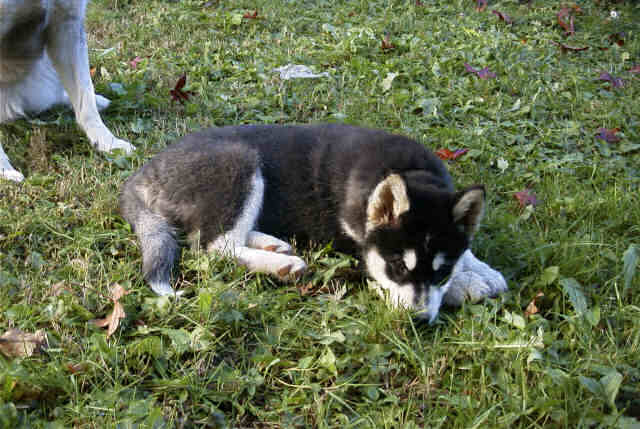 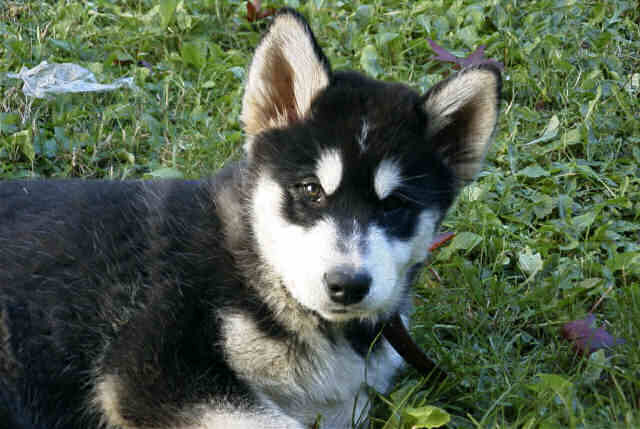 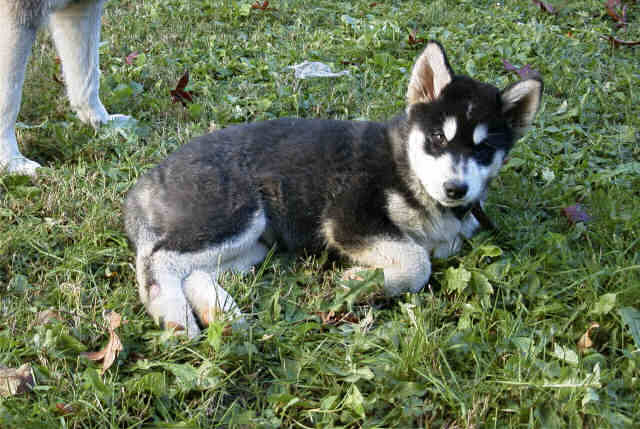 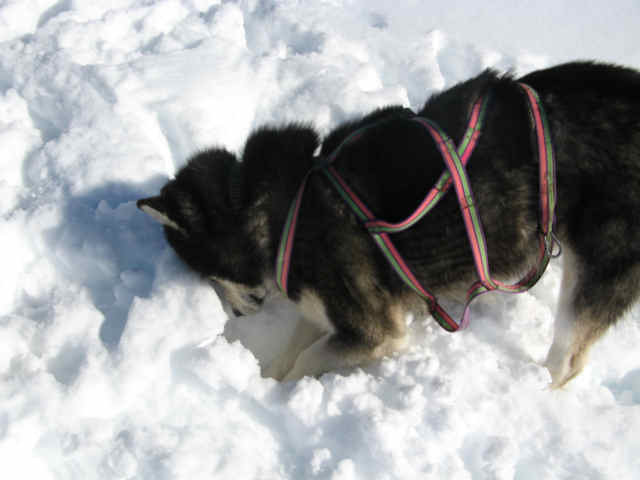 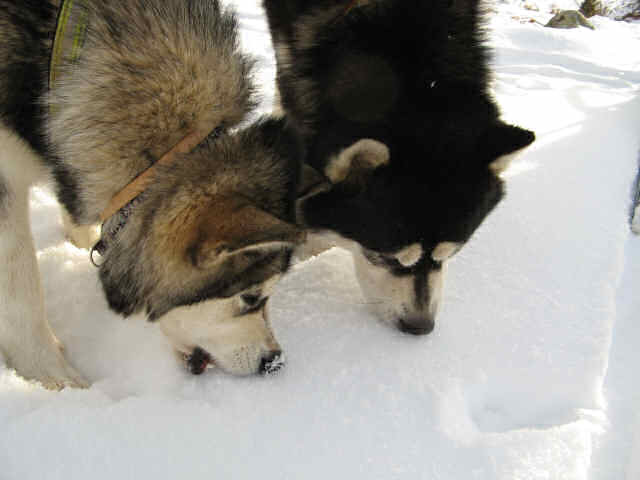 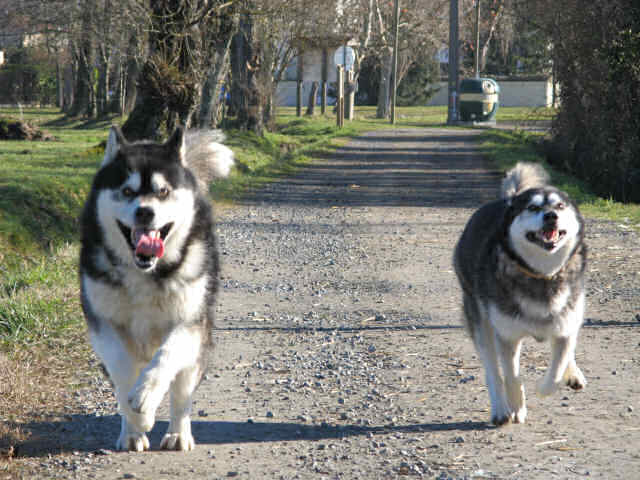 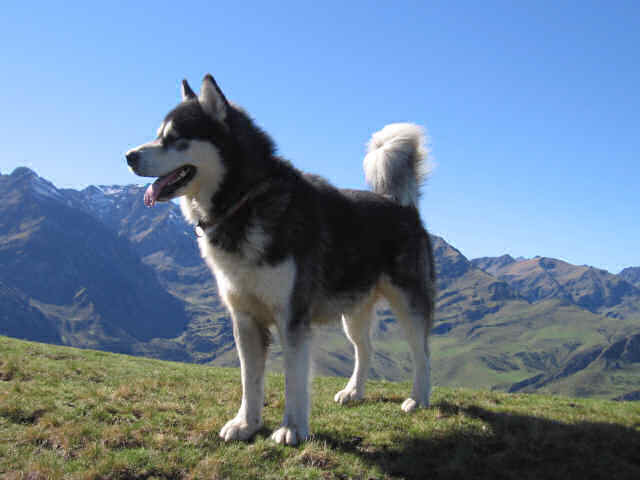 My "Rorok" left already presage a very good compliance with standard Malamute. 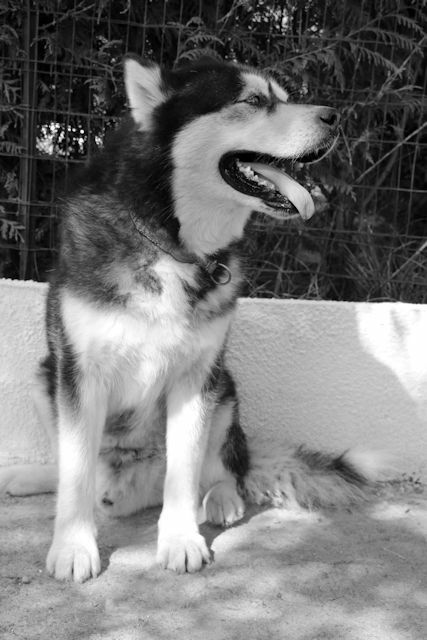 I do not suspect the fantastic qualities of my dog ... His only fault was that he was afraid of ... all or rather a lot of things, especially if it was noisy: a skate board, a plastic bag, a louder voice, syringe of veterinarian, but not at all afraid of a dog larger than him, a rigle shot, a bone ... With hard work, I managed to really make him much less fearful he was and now he is a tiny little lacking. 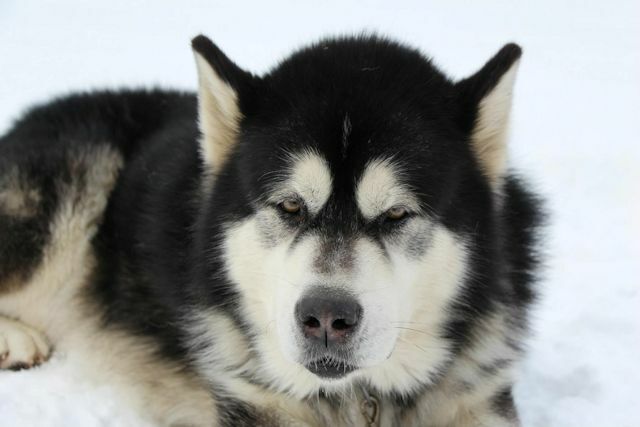 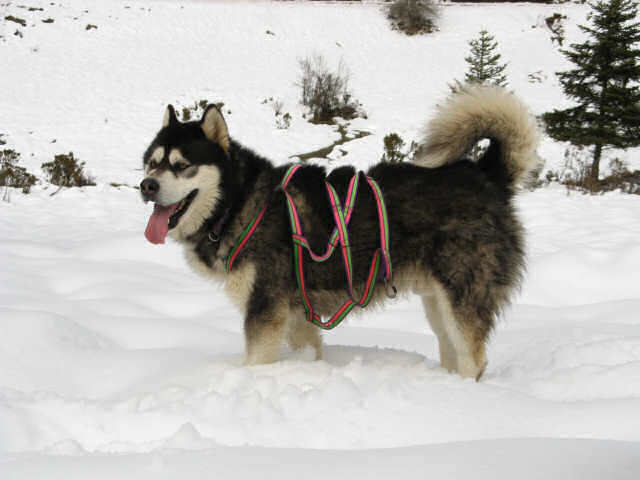 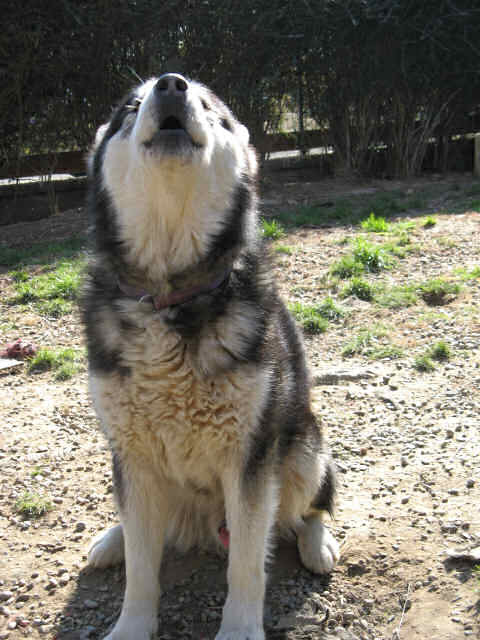 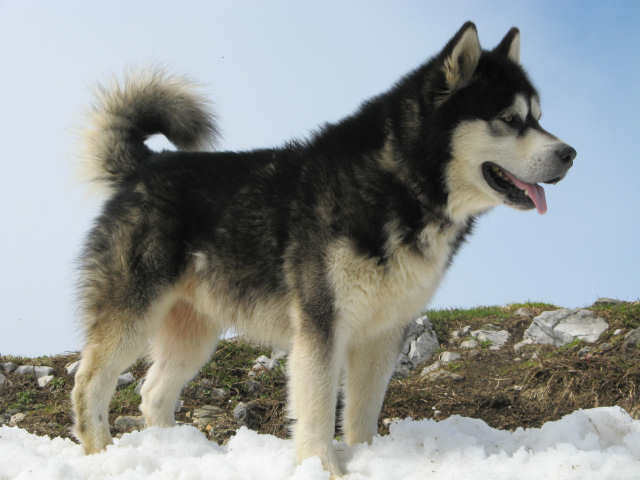 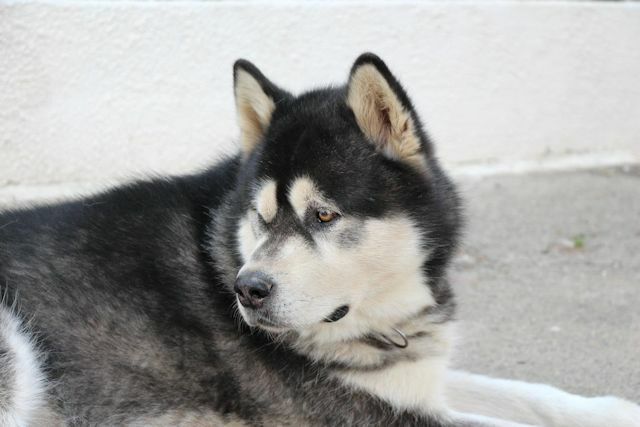 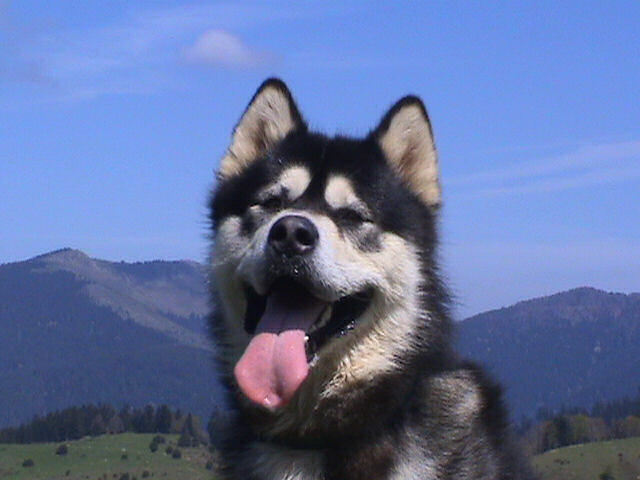 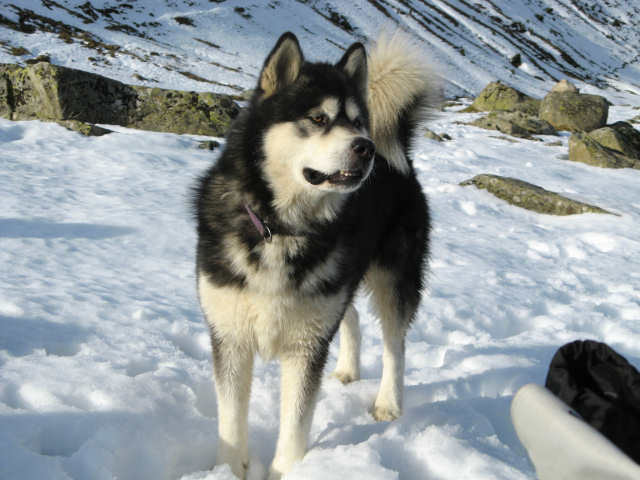 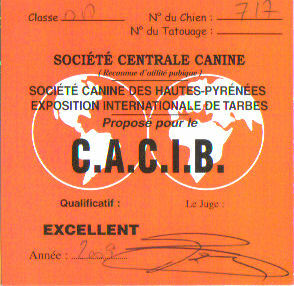 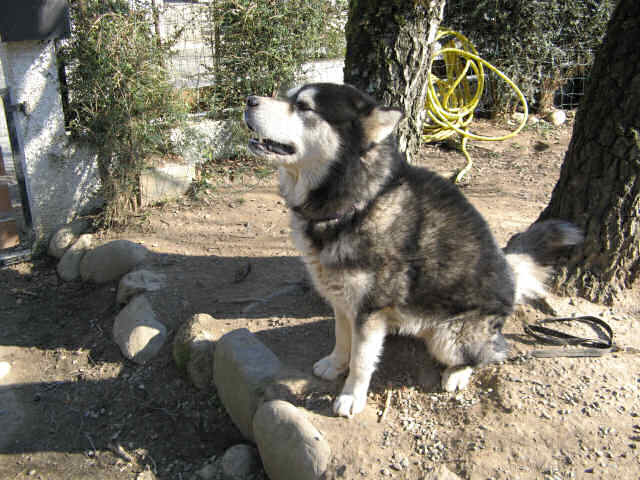 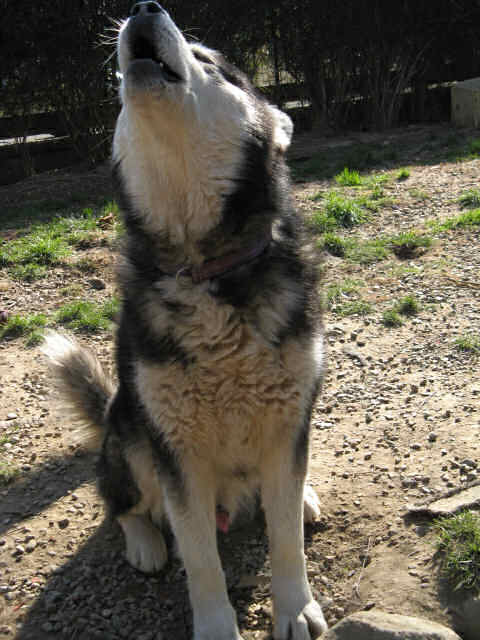 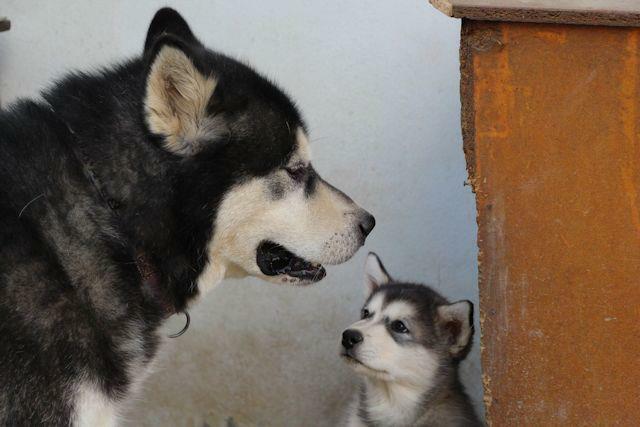 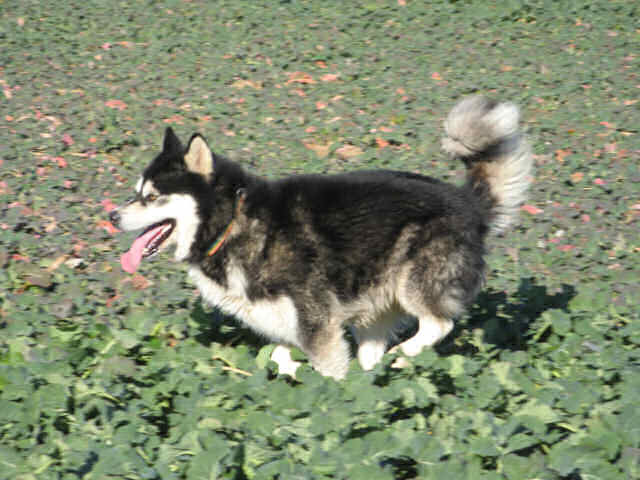 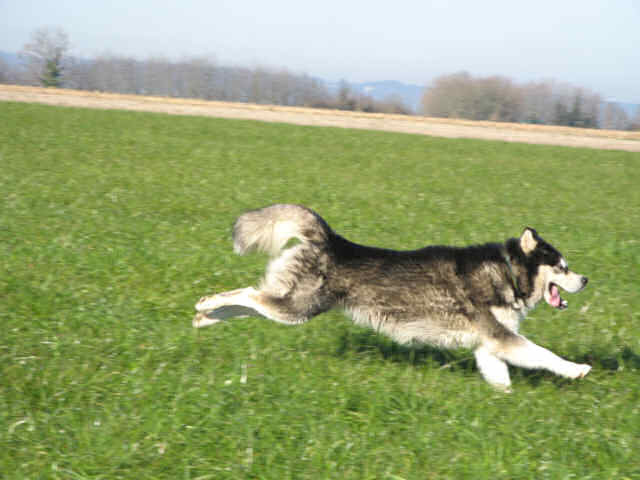 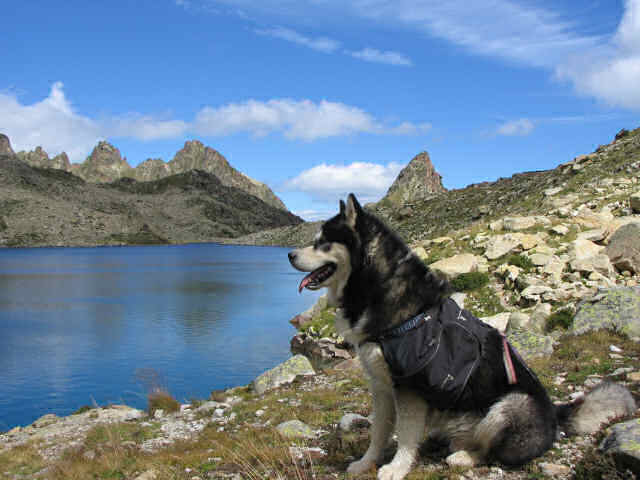 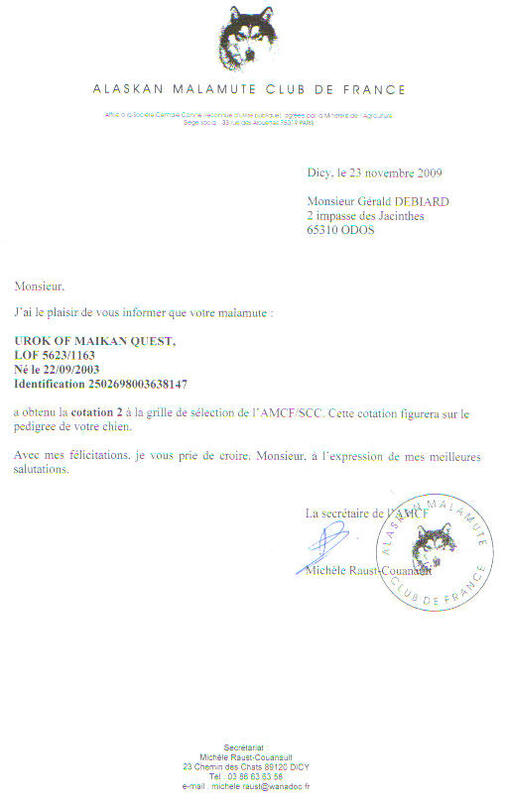 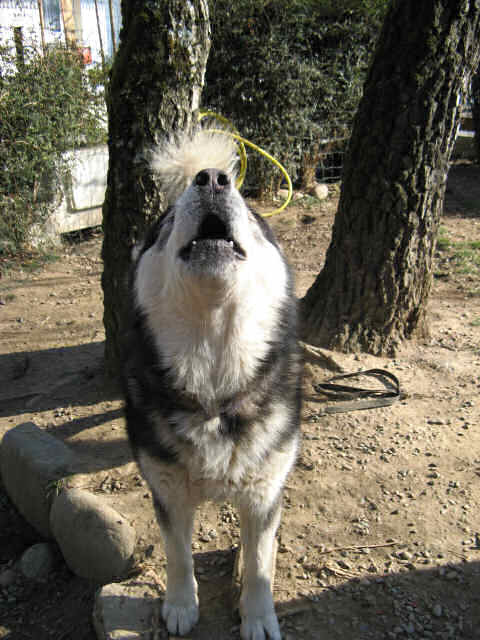 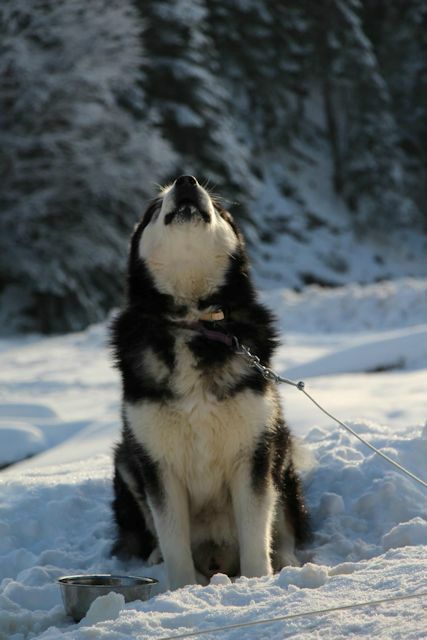 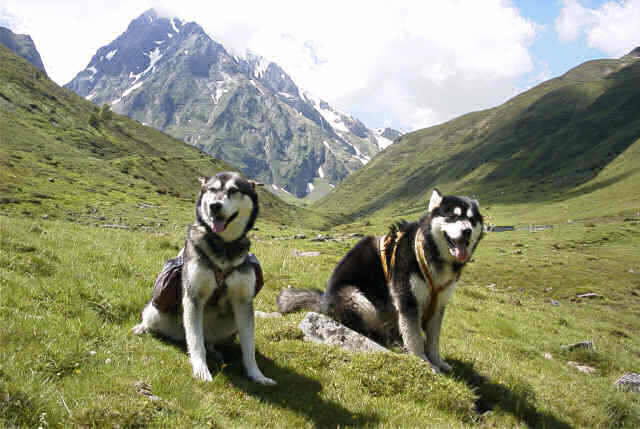 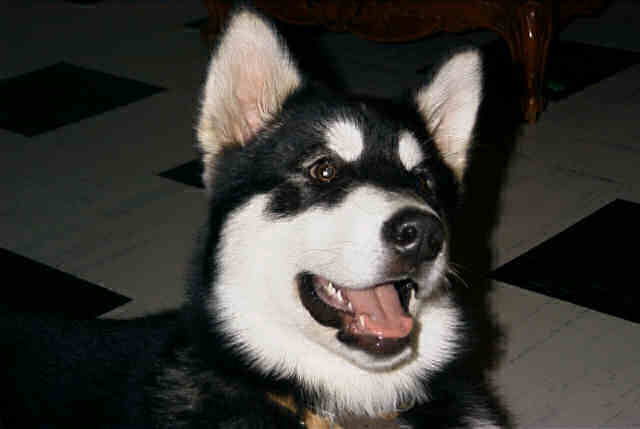 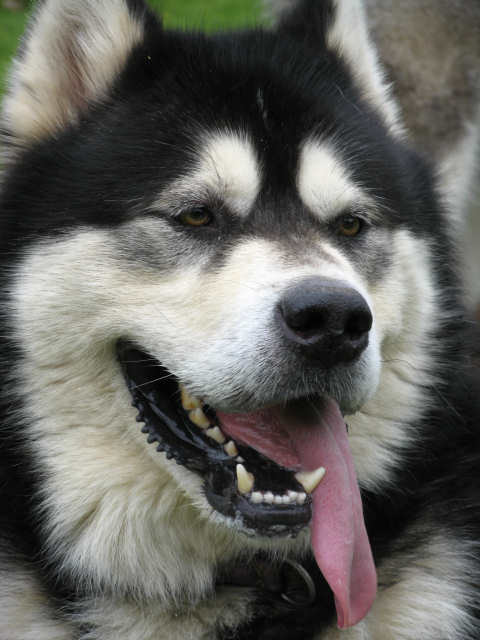 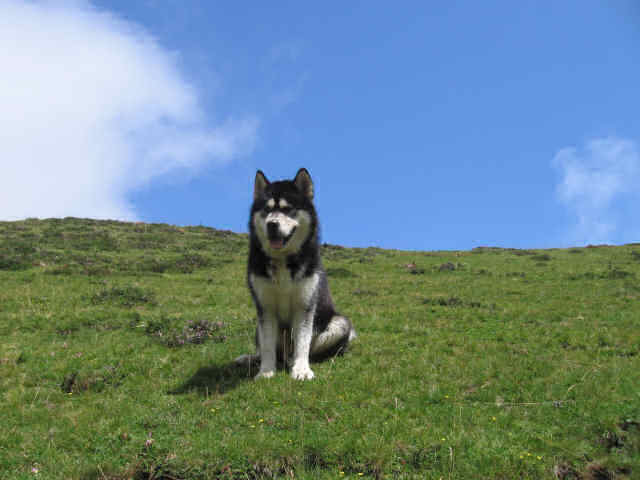 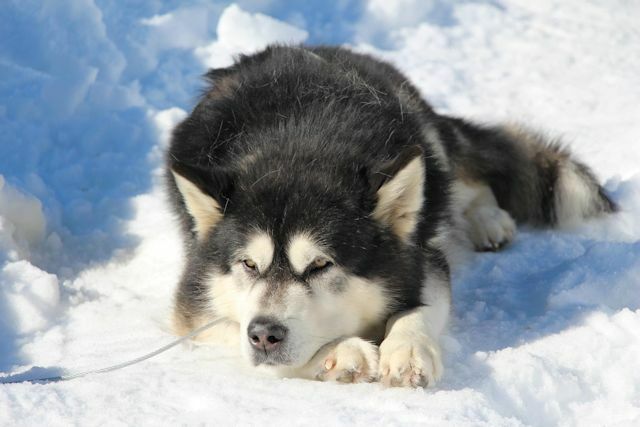 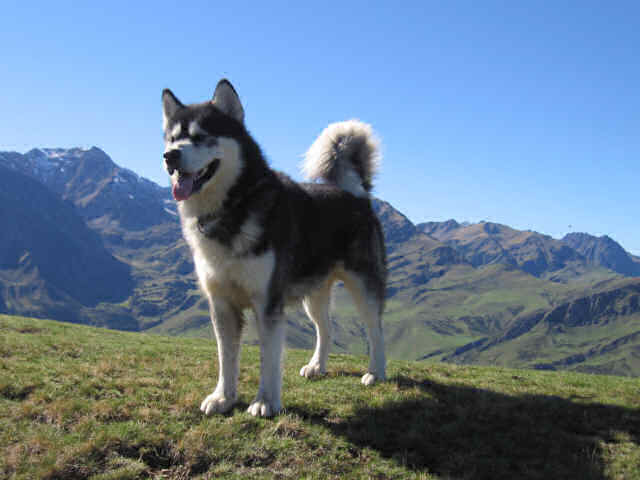 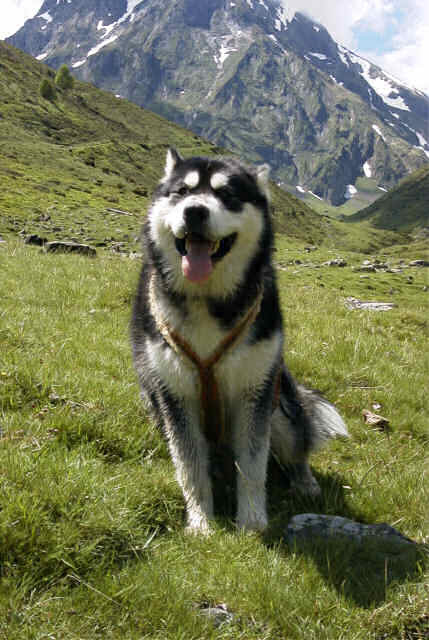 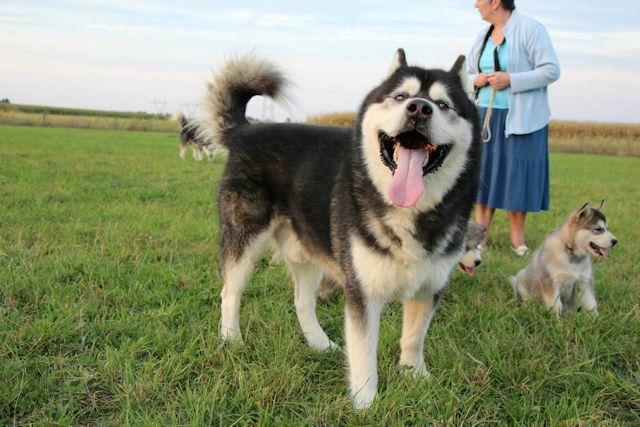 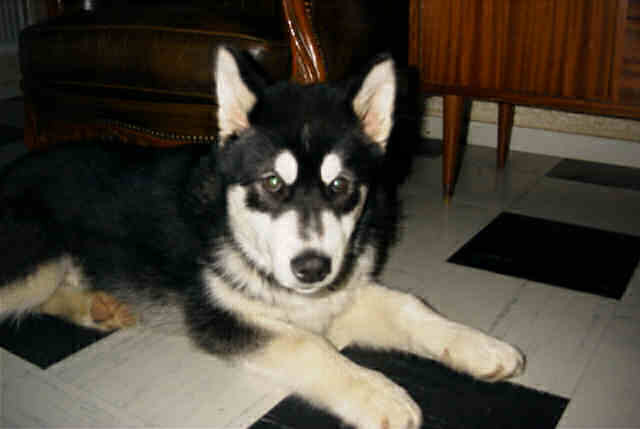 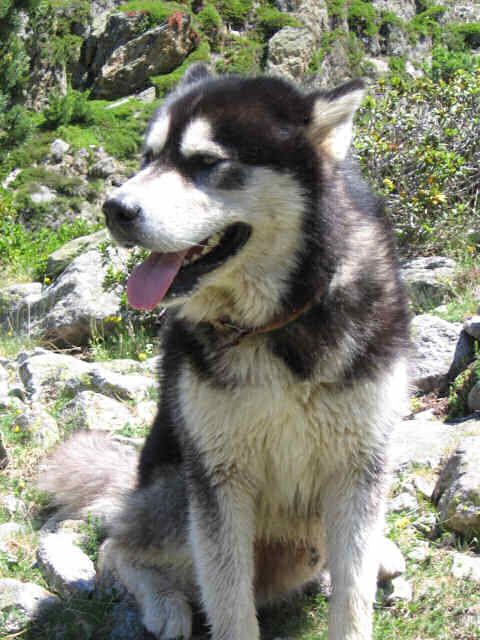 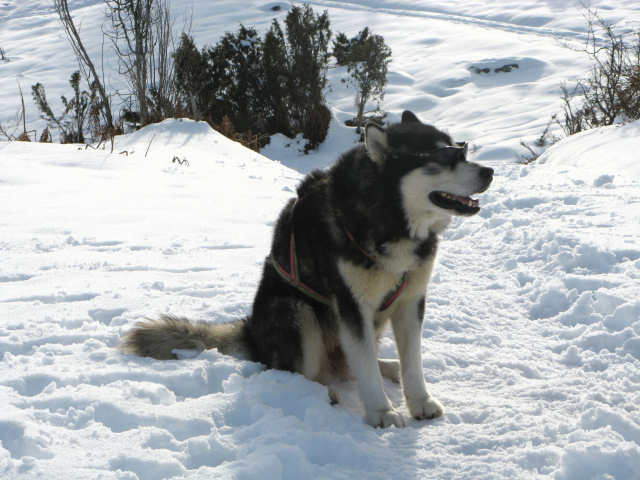 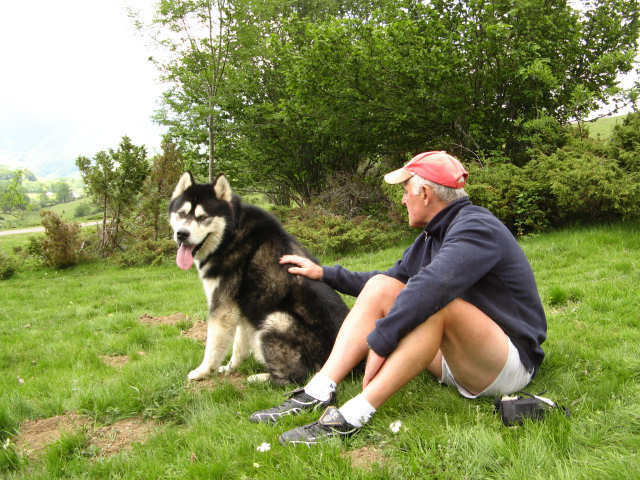 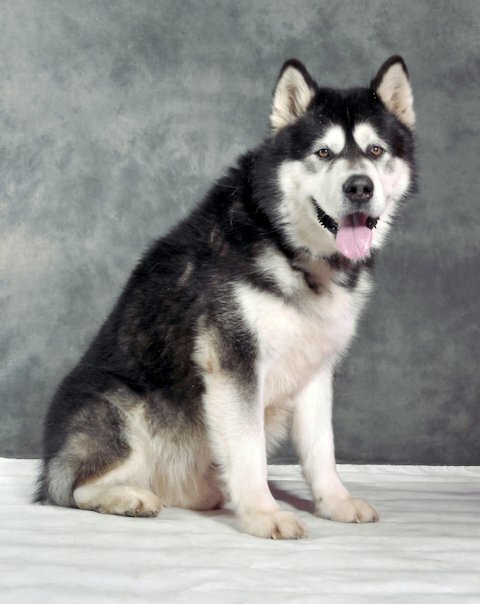 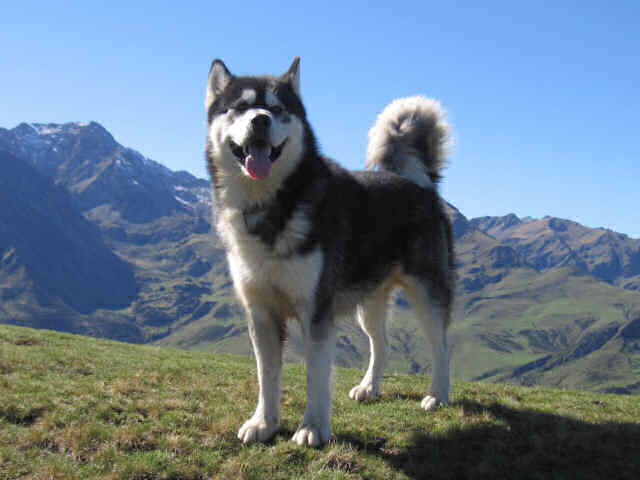 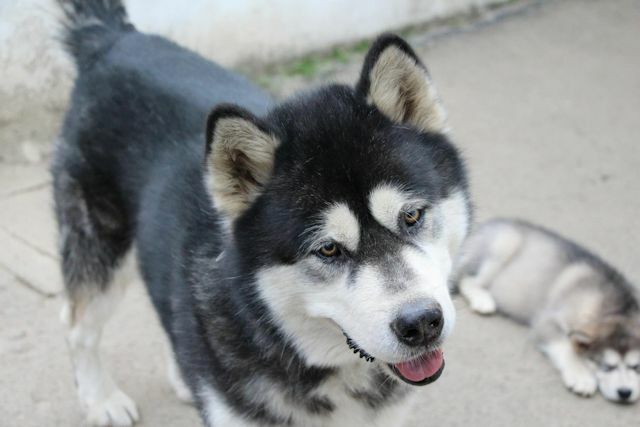 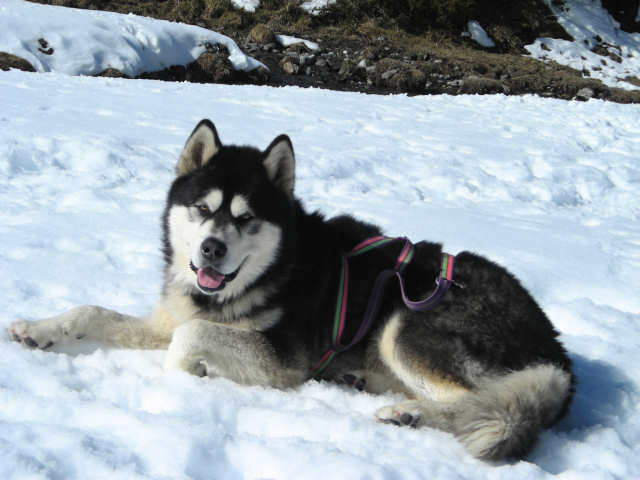 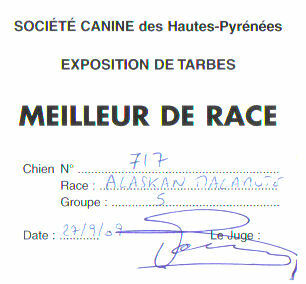 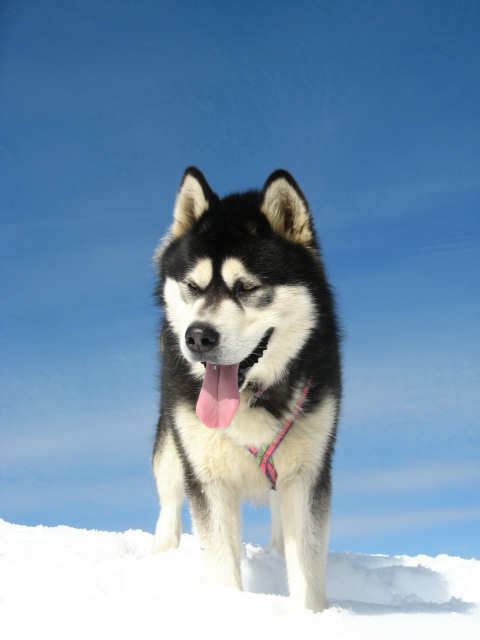 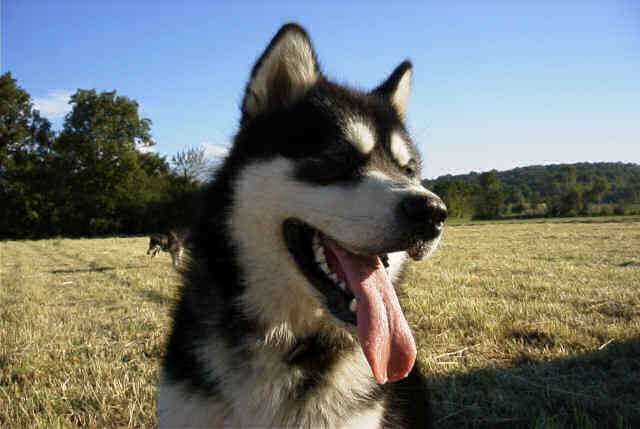 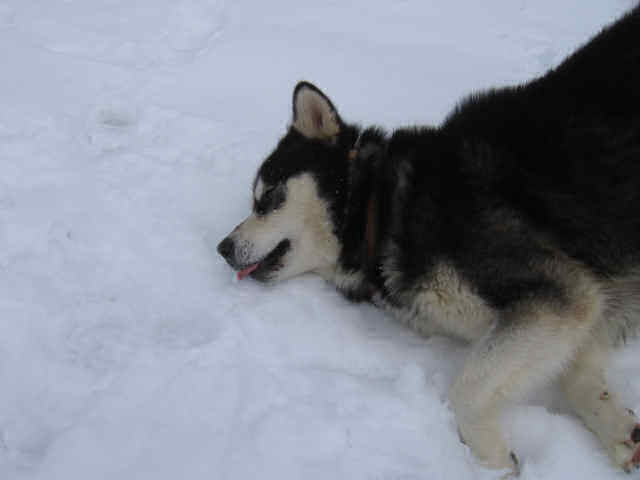 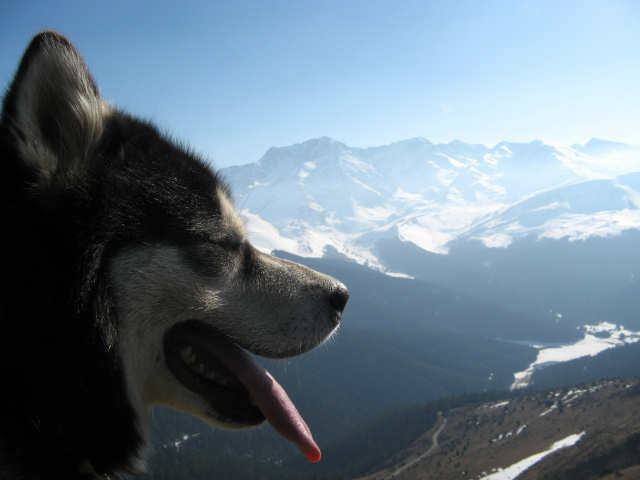 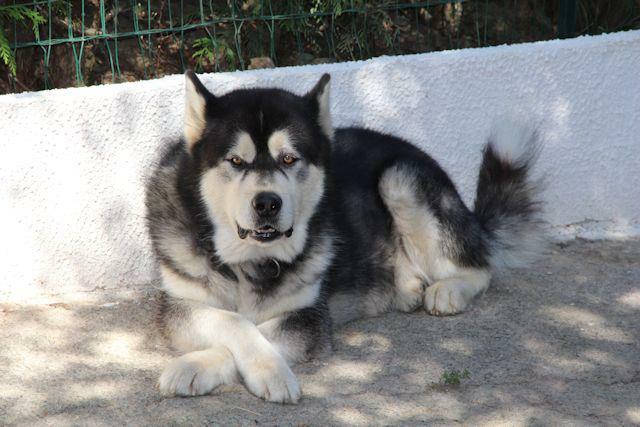 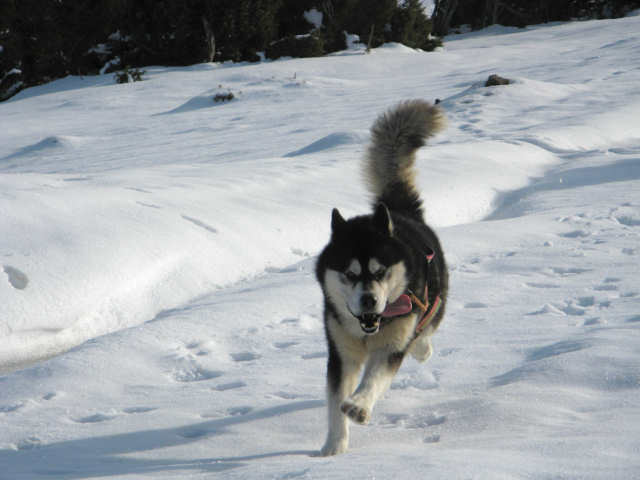 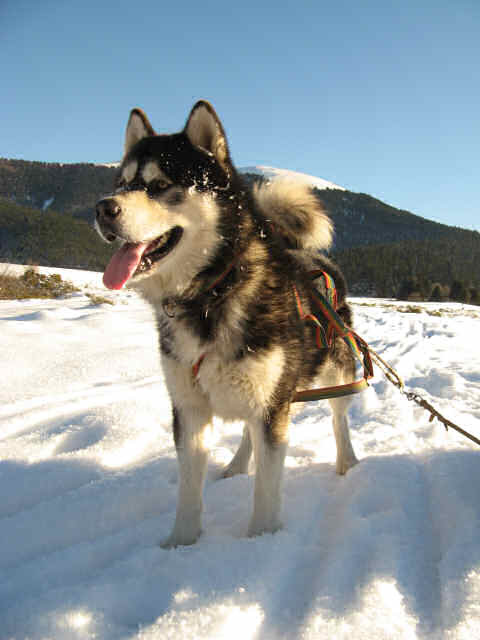 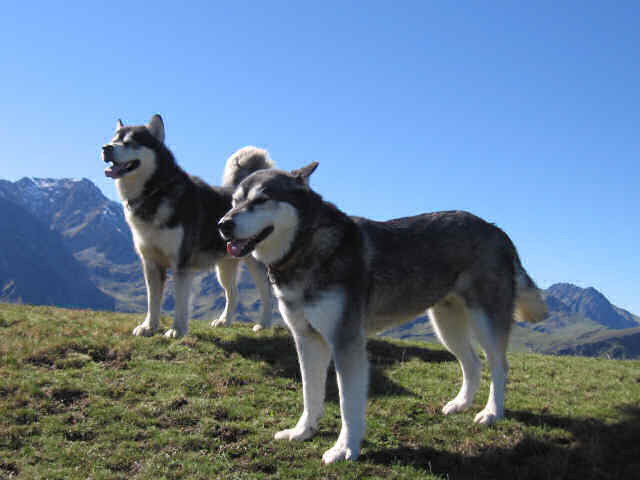 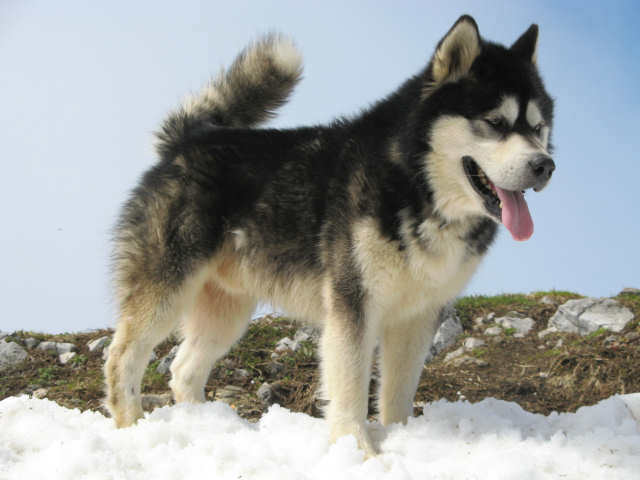 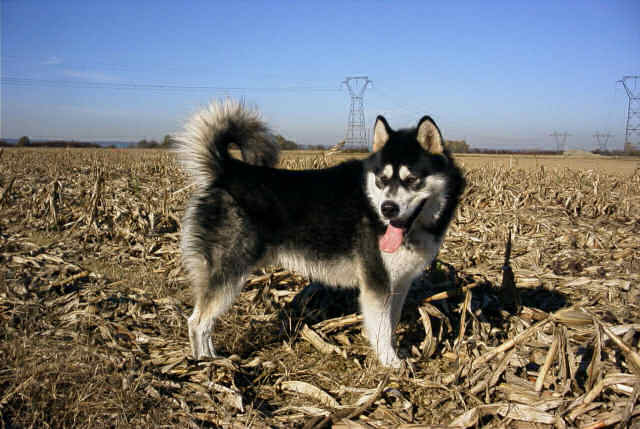 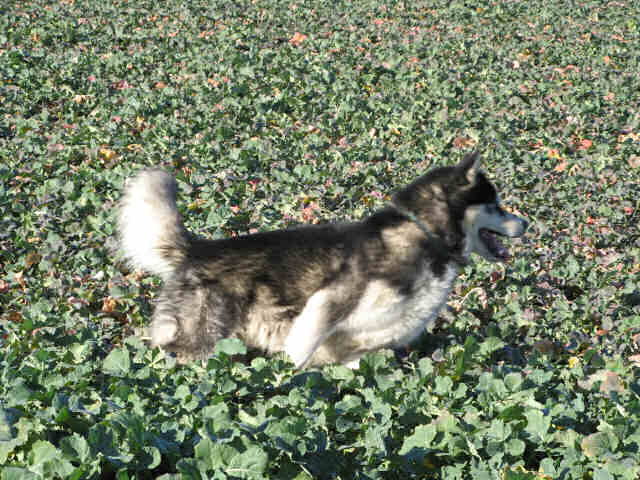 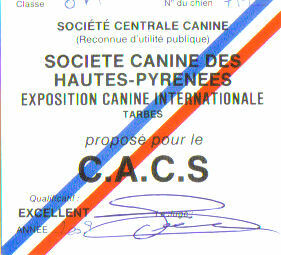 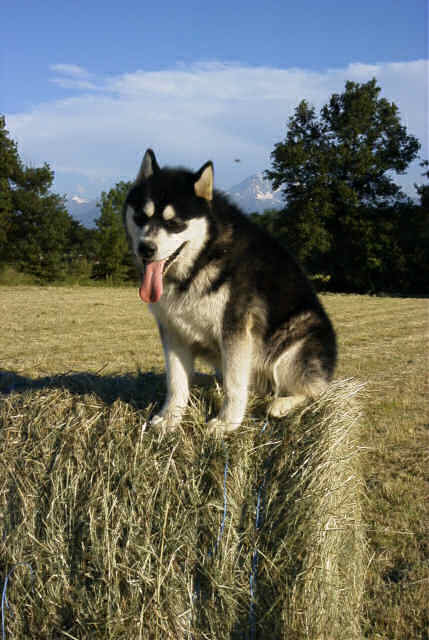 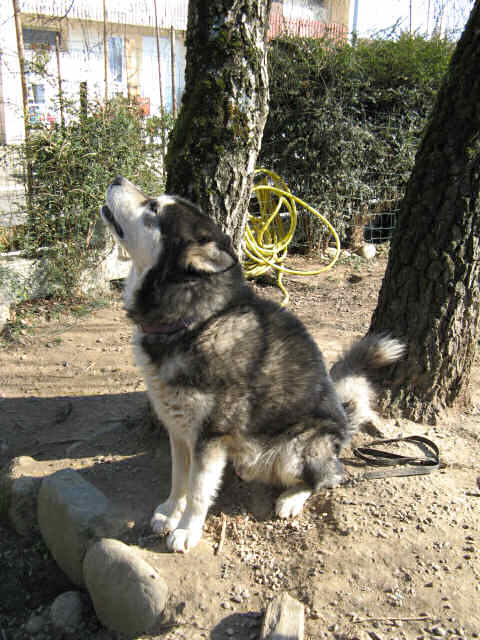 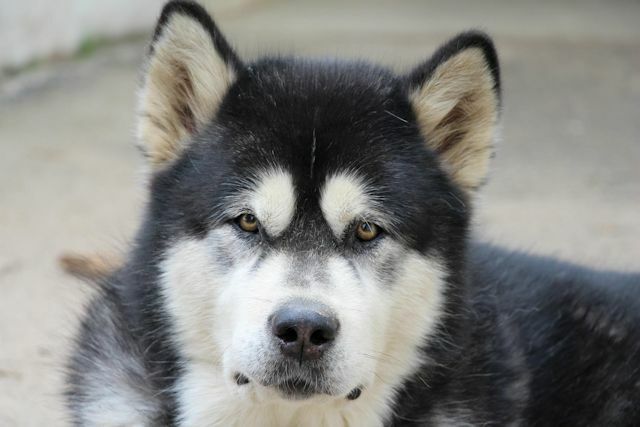 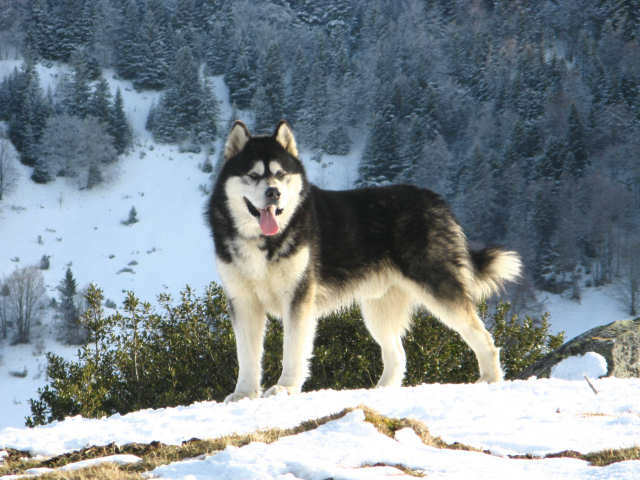 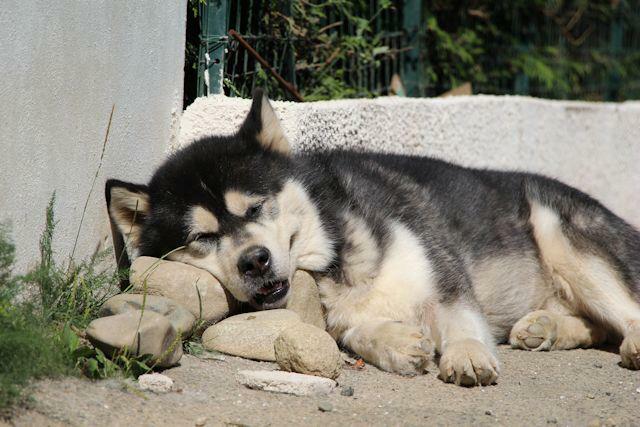 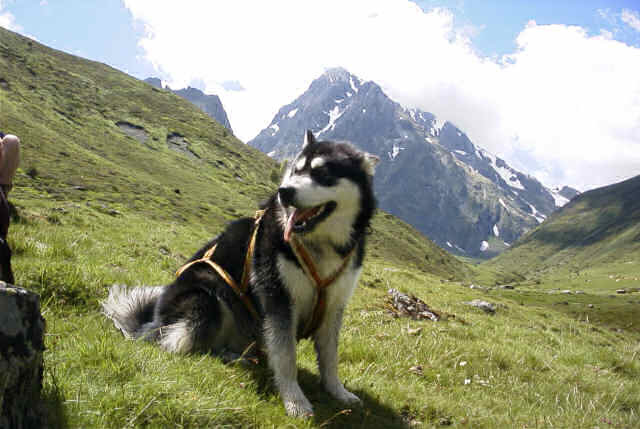 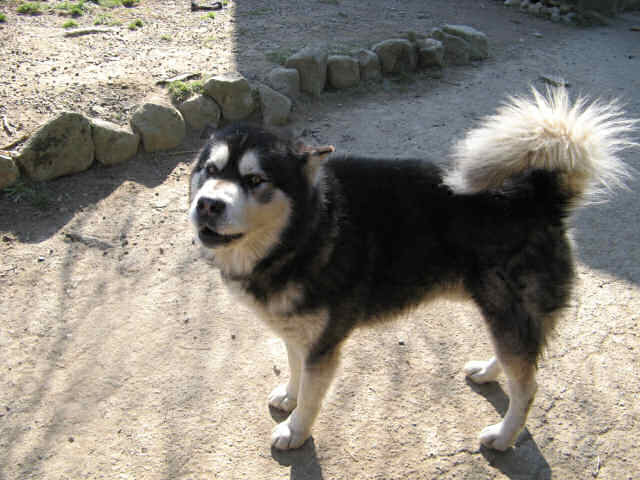 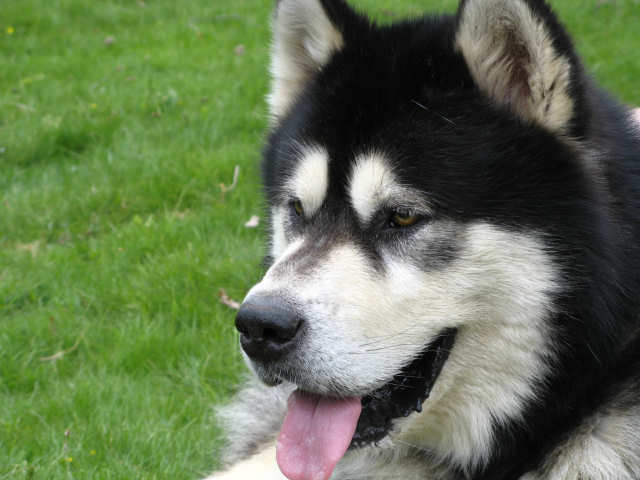 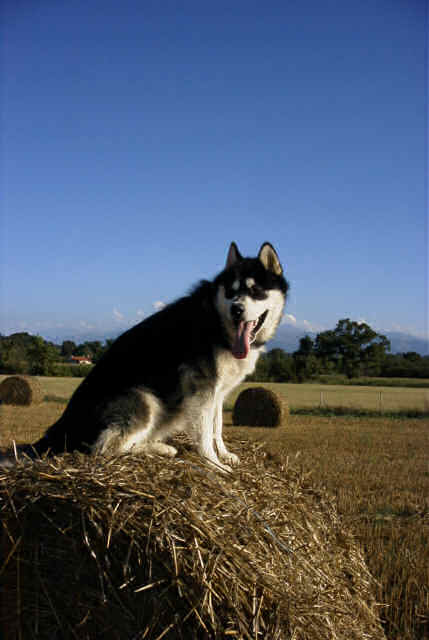 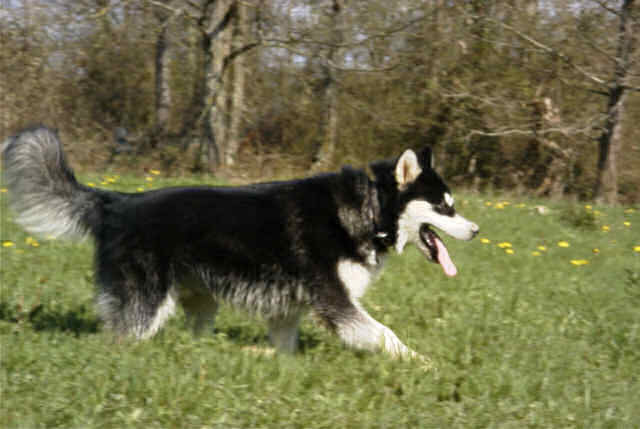 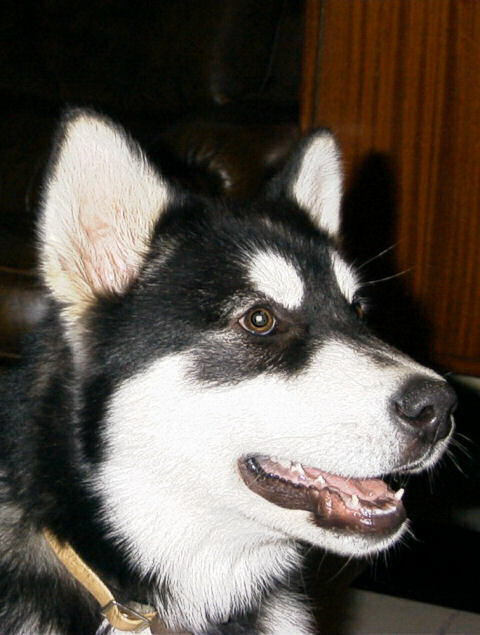 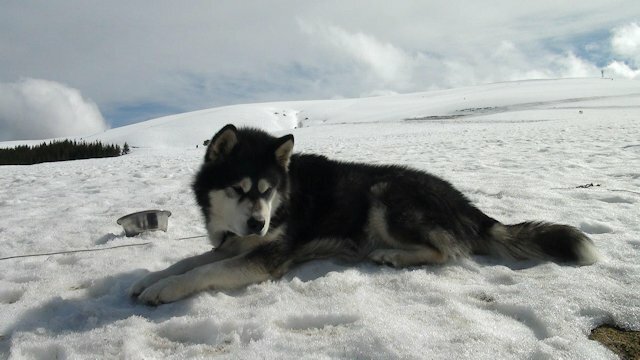 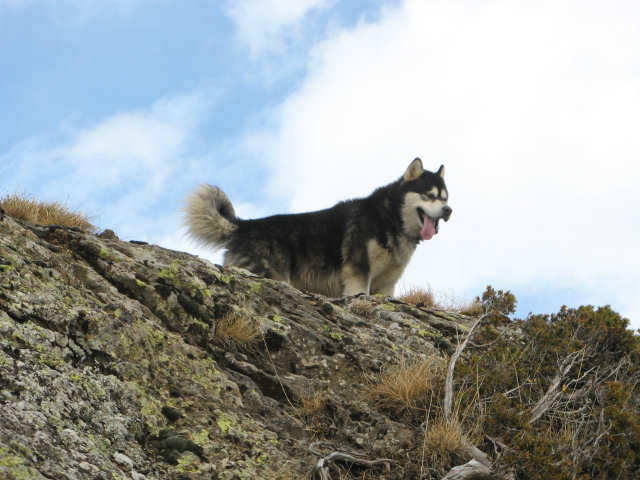 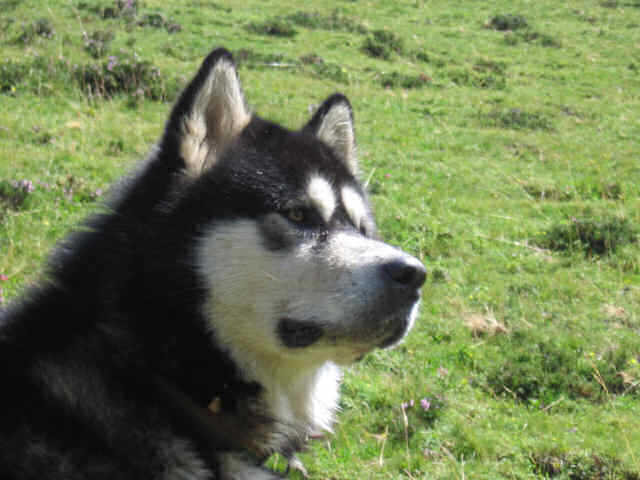 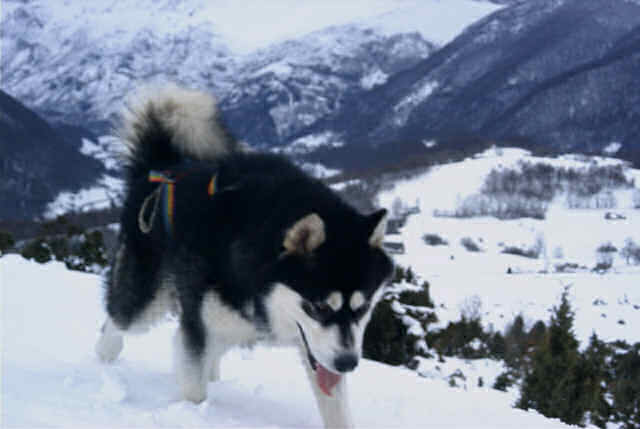 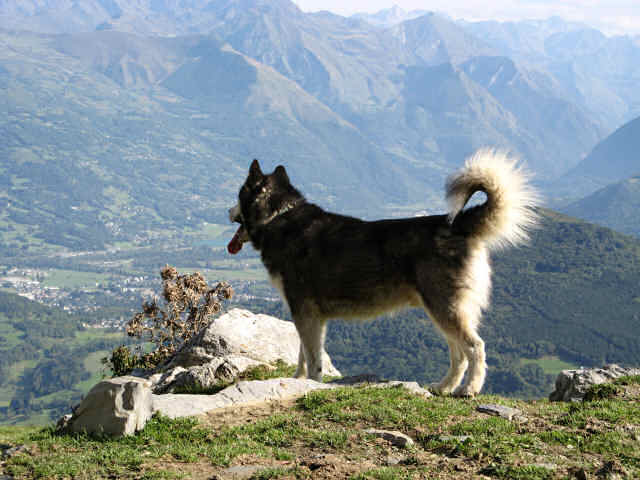 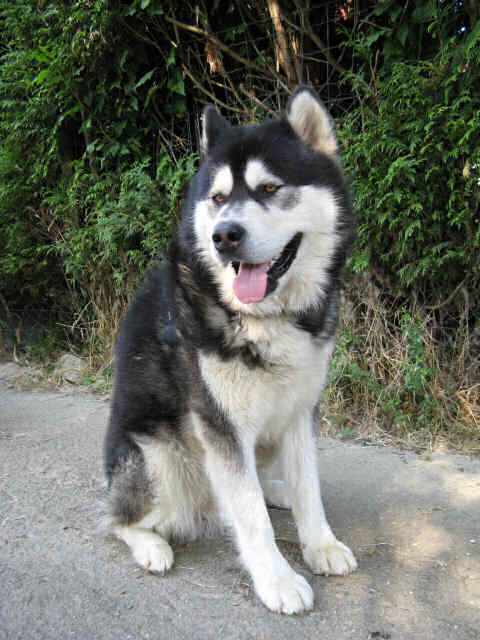 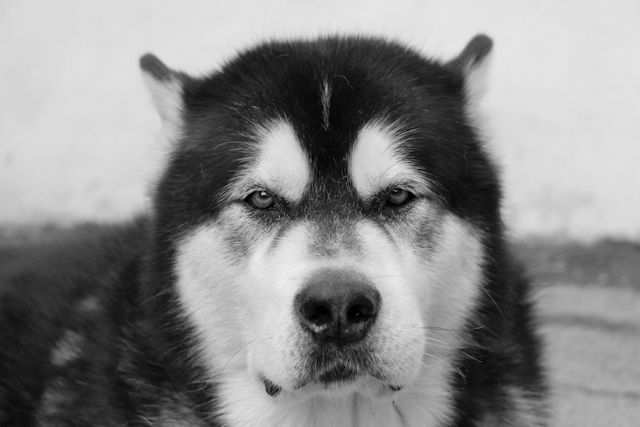 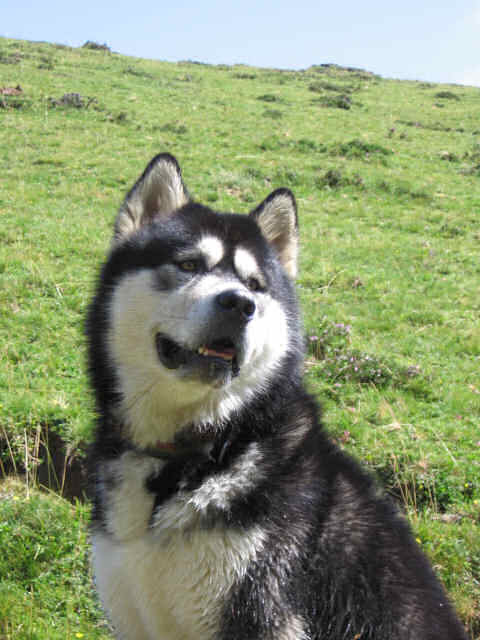 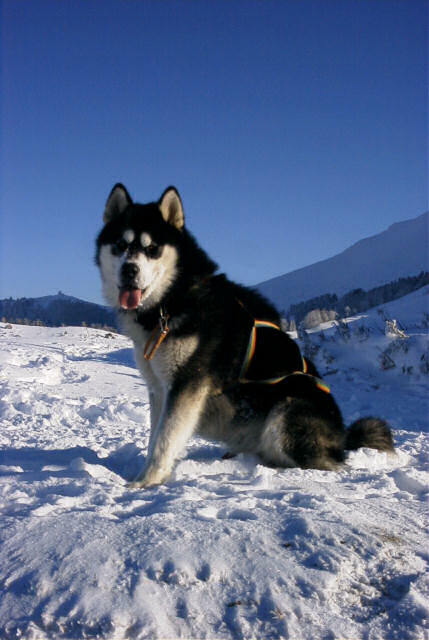 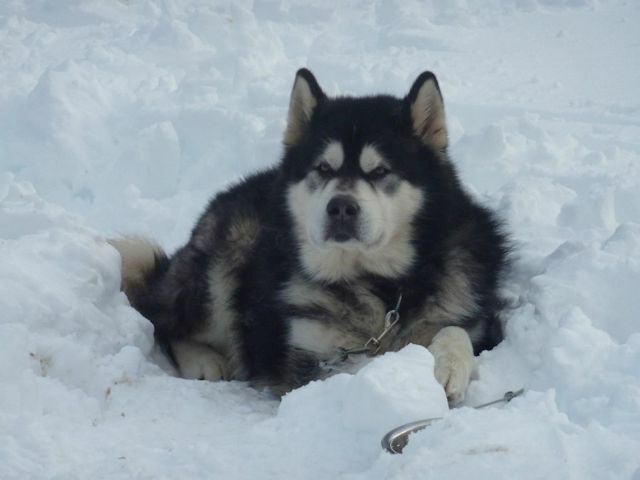 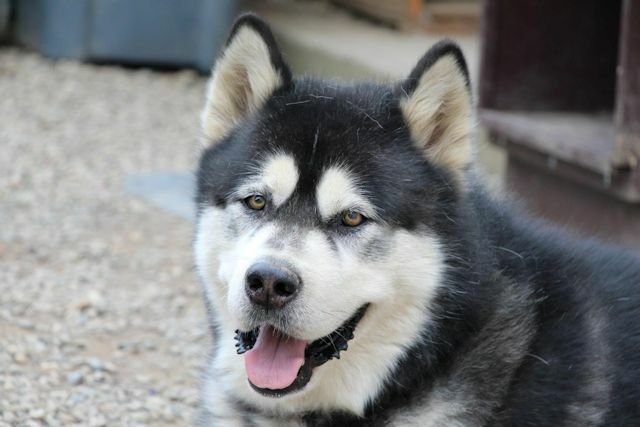 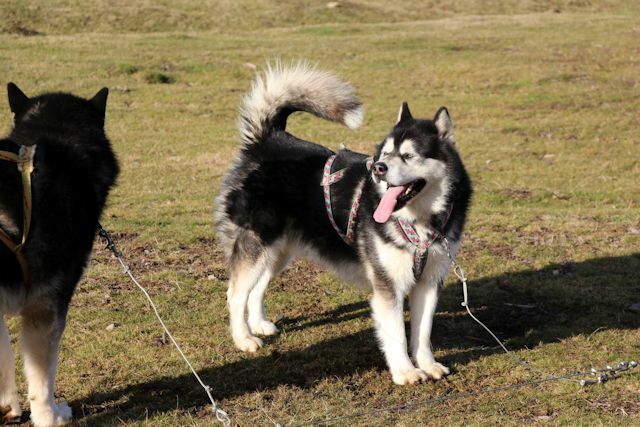 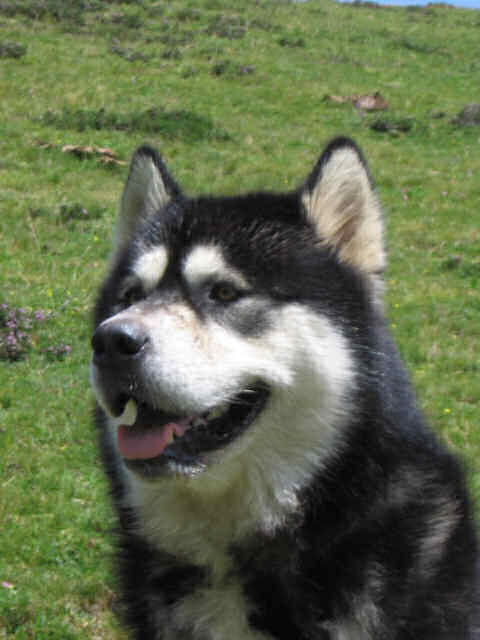 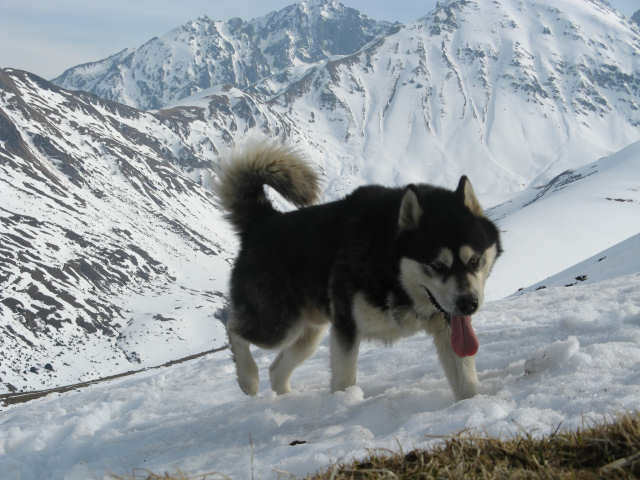 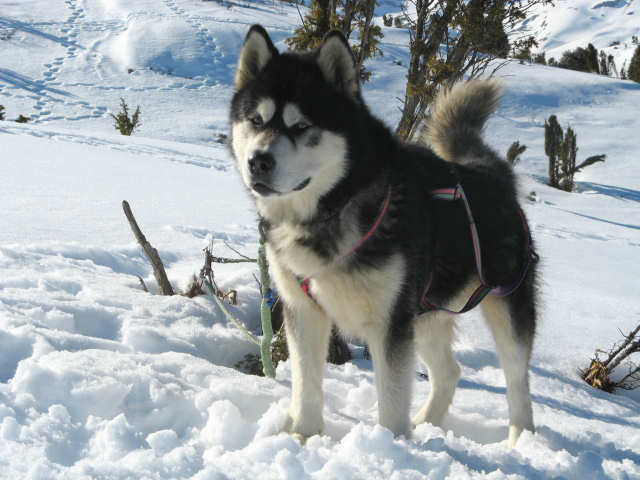 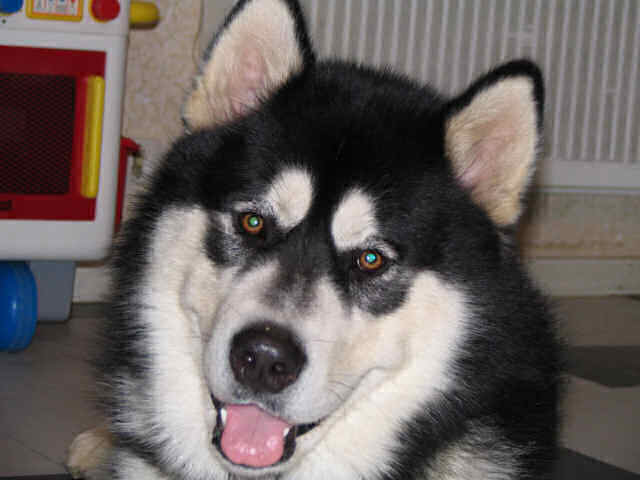 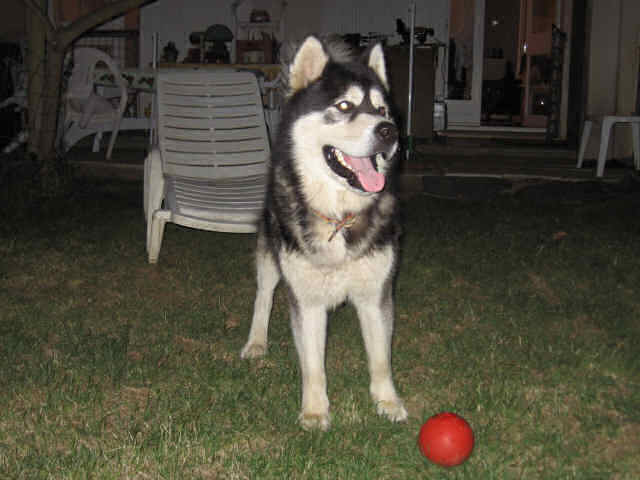 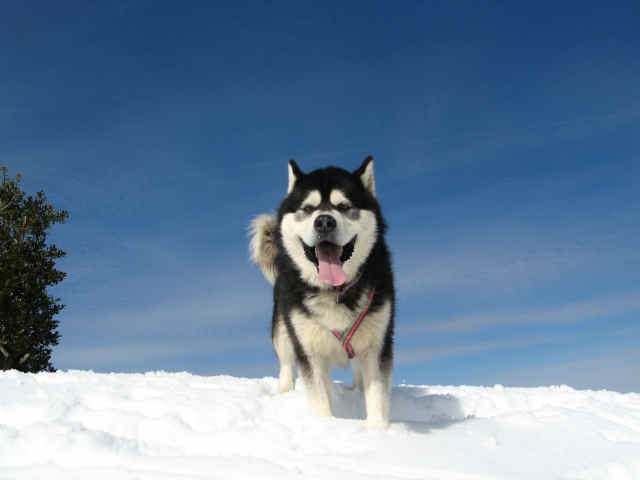 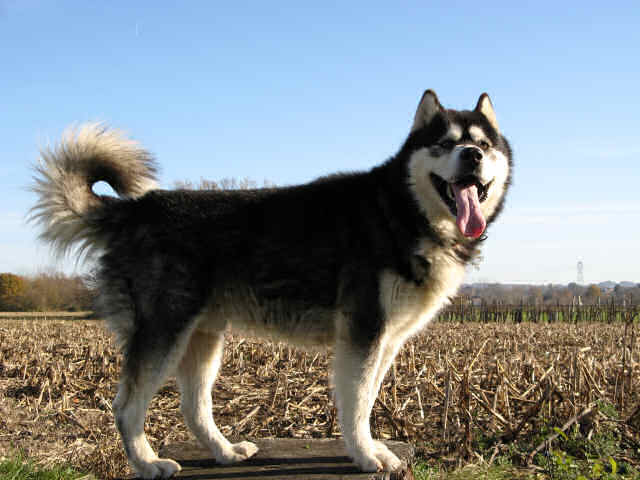 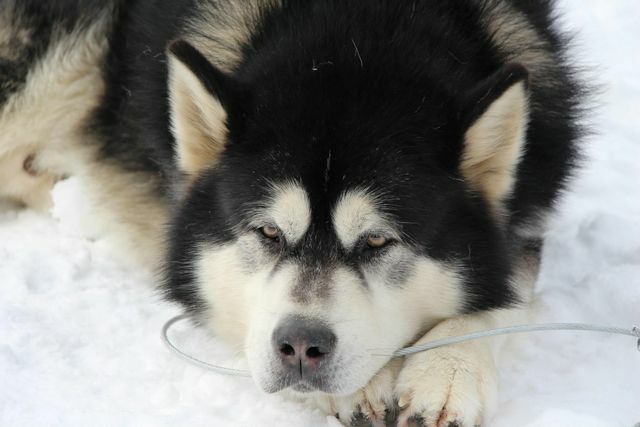 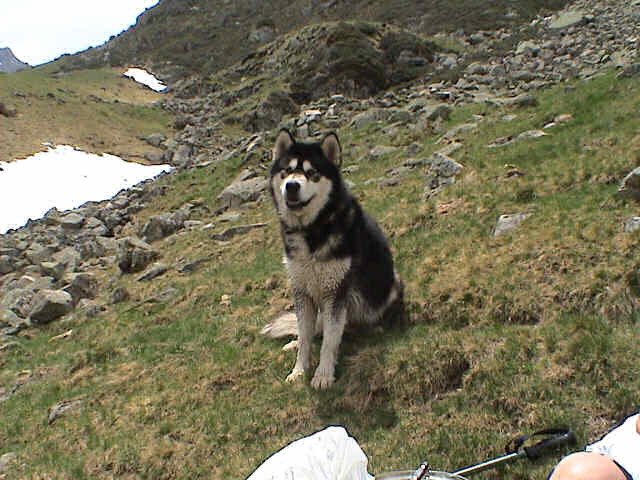 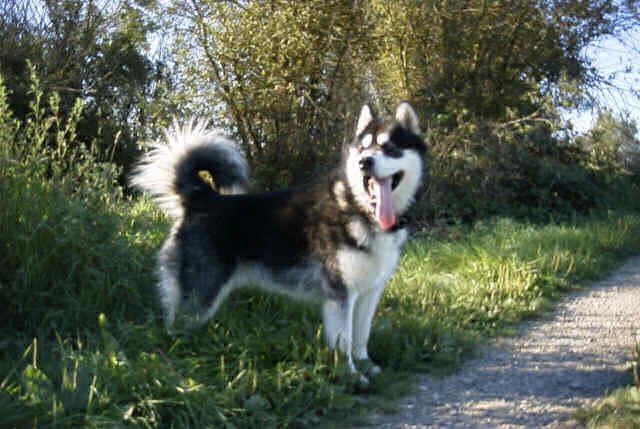 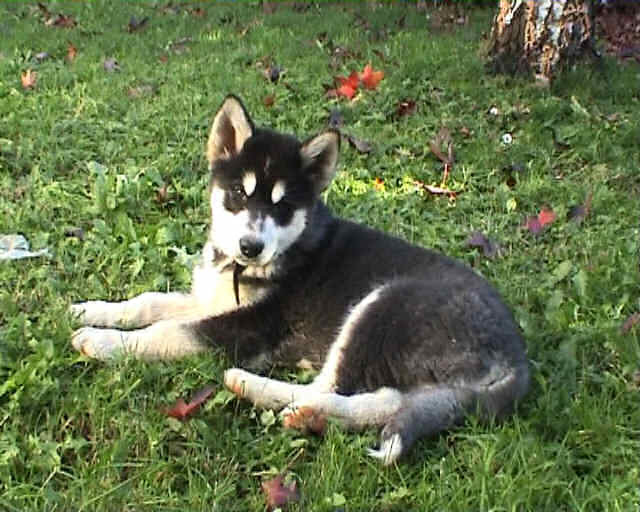 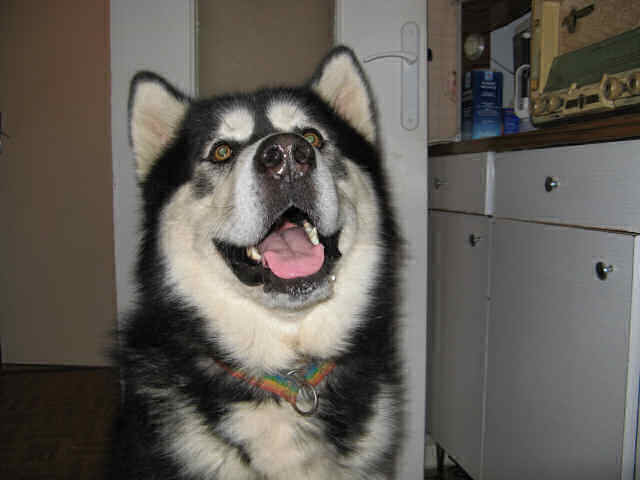 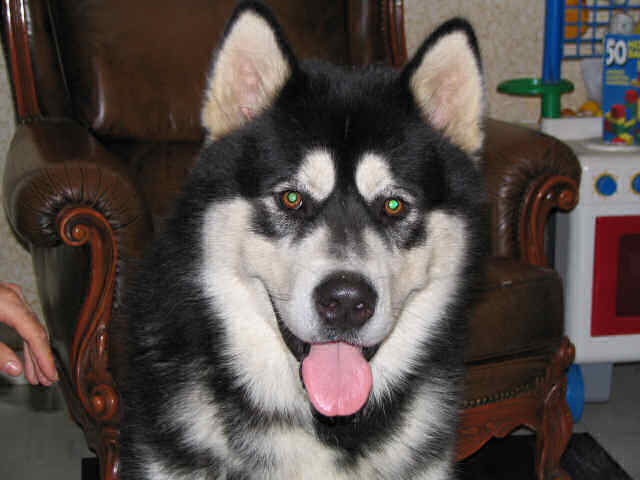 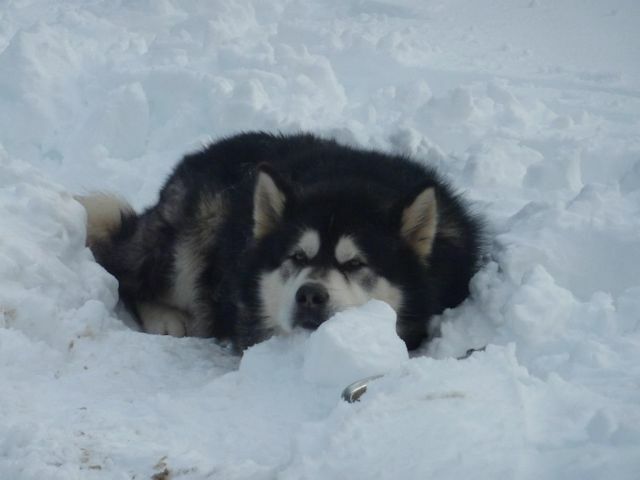 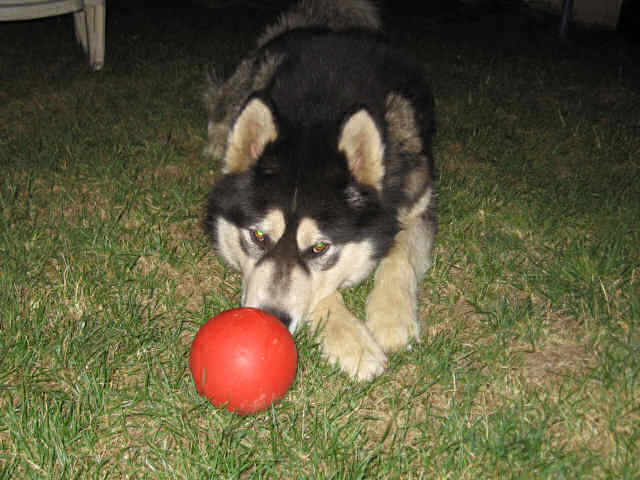 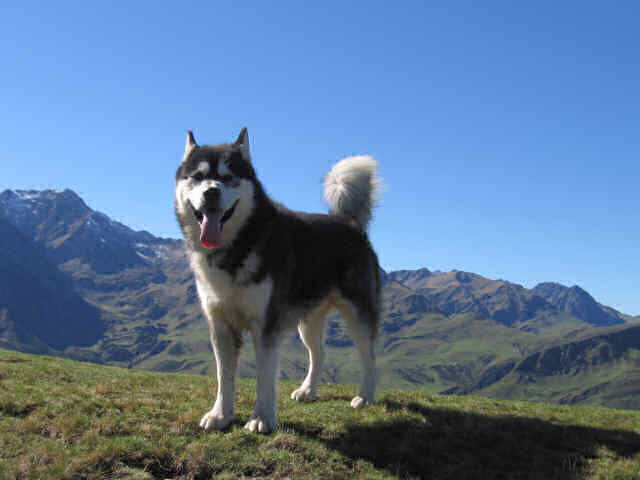 My Rorok, at adulthood, was confirmed and therefore won his Pedigree with a score of Excellent at the show of Toulouse 2005 which was a special show for Alaskan Malamute. 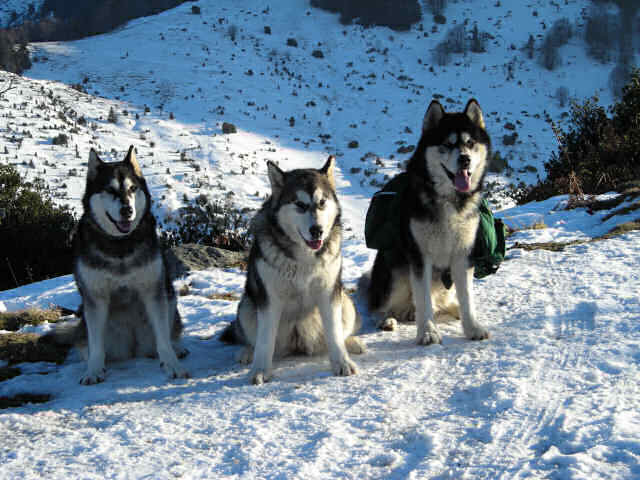 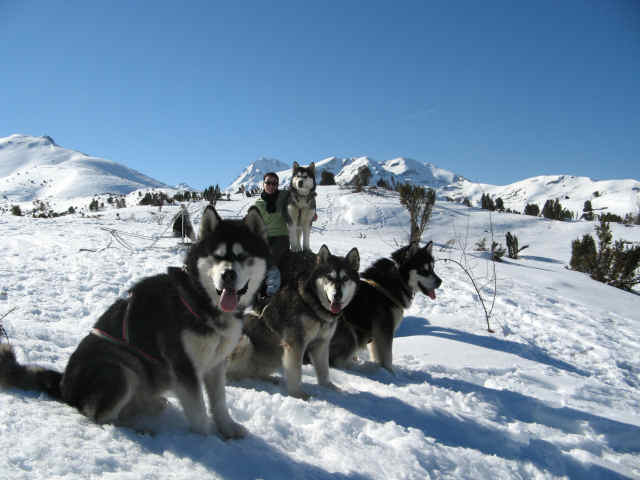 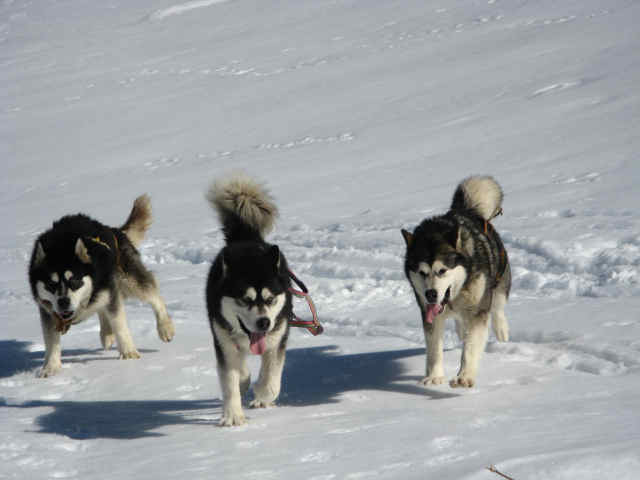 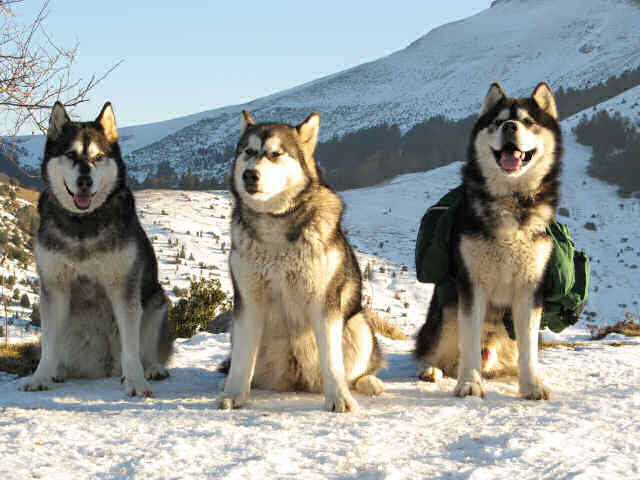 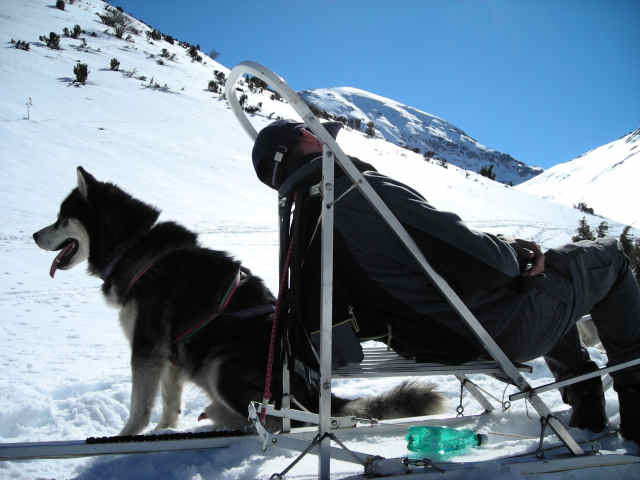 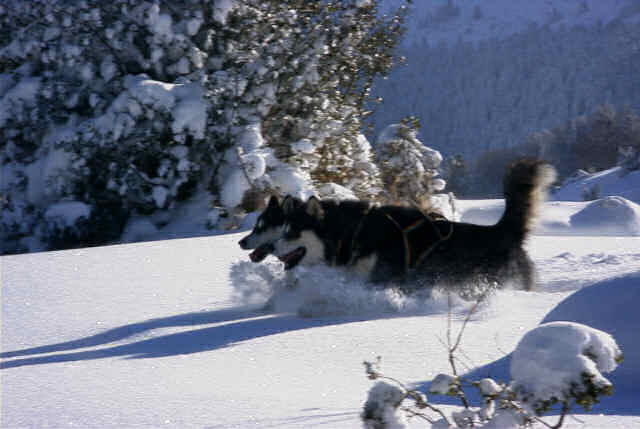 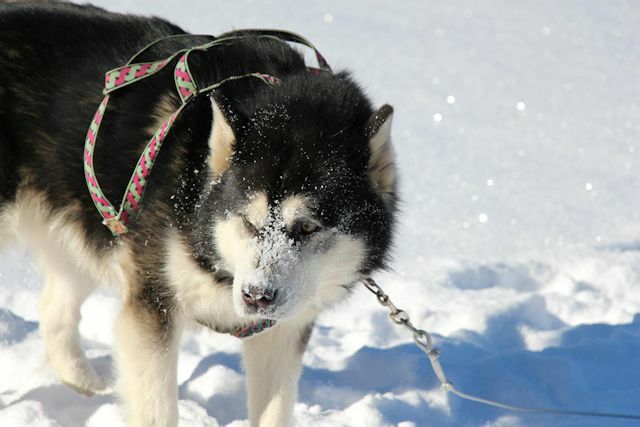 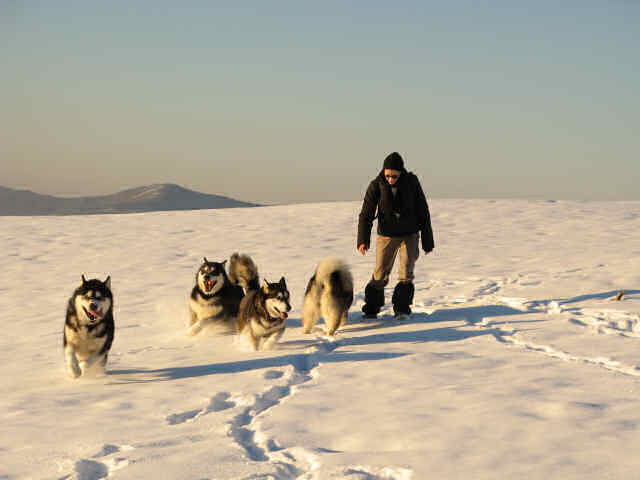 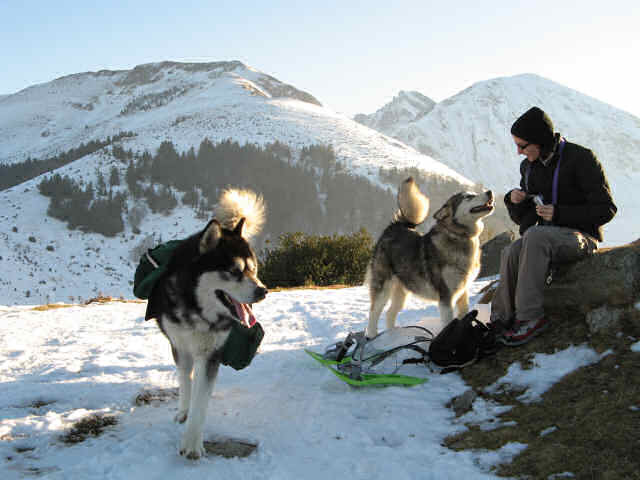 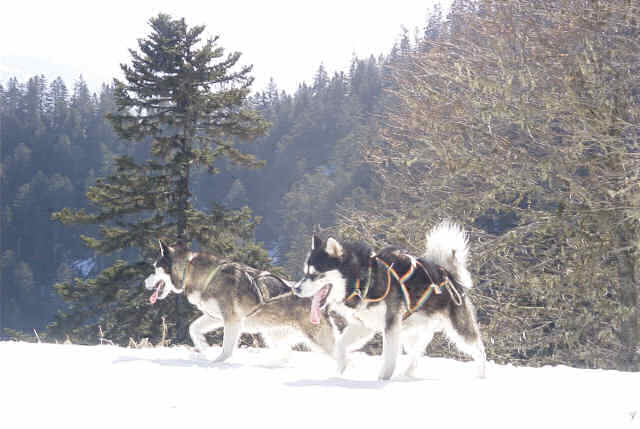 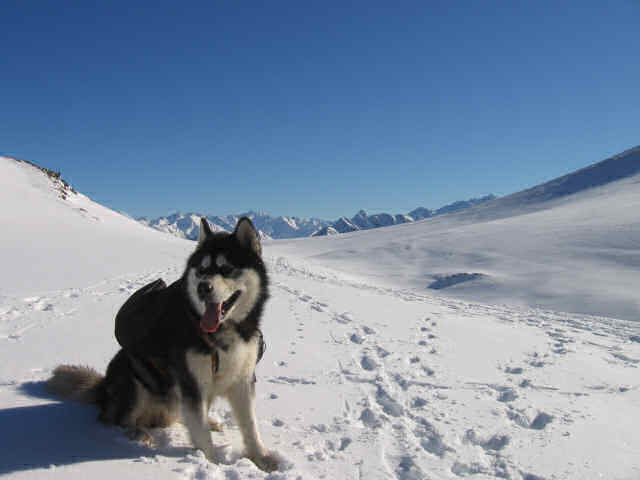 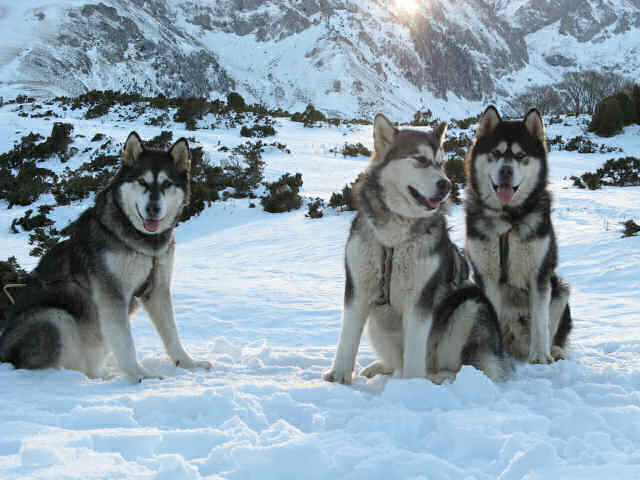 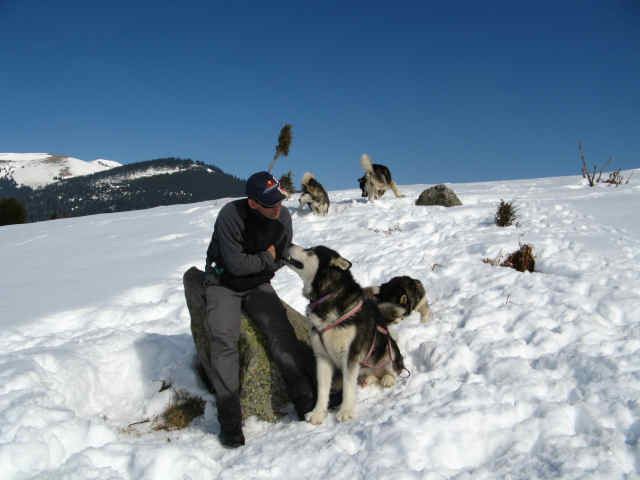 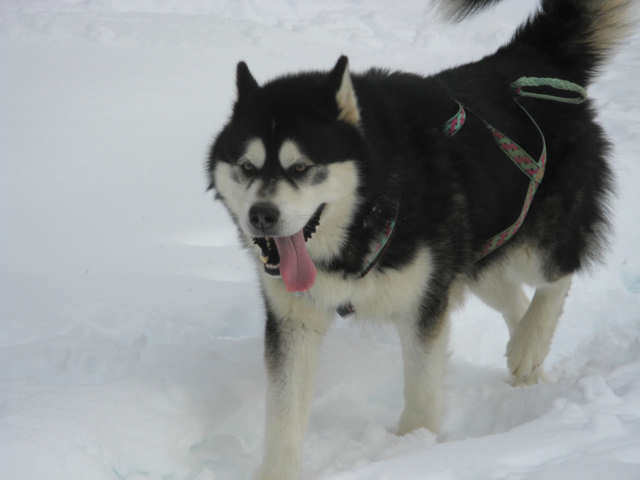 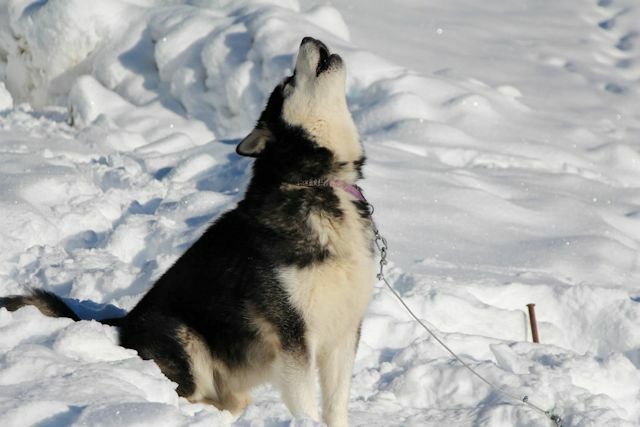 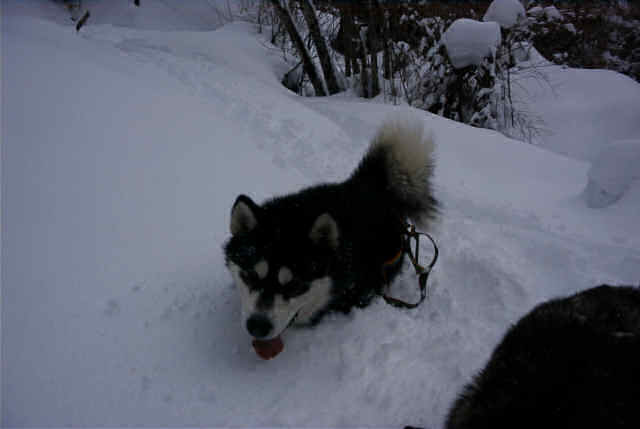 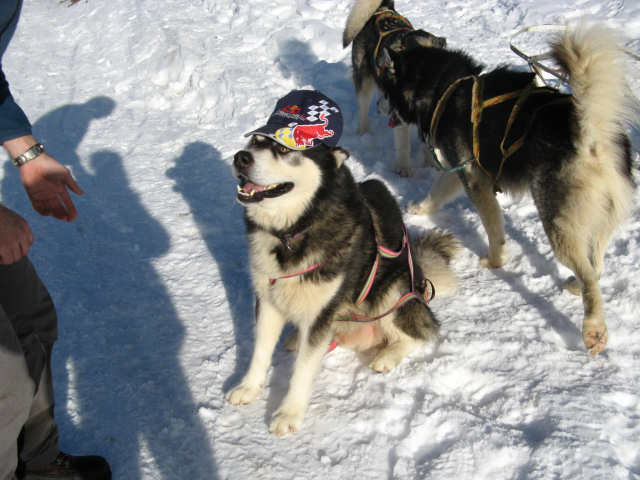 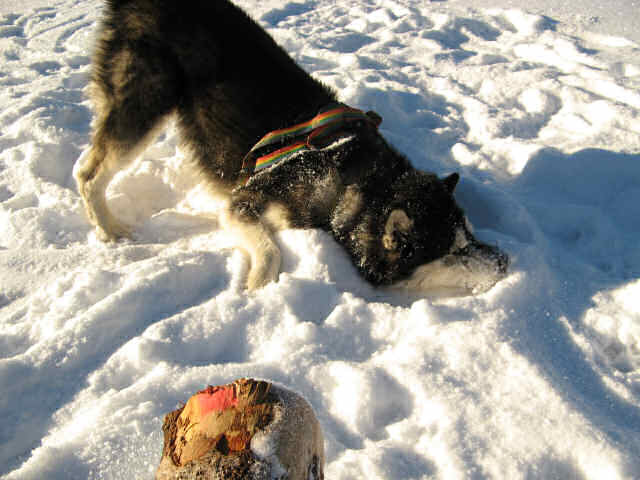 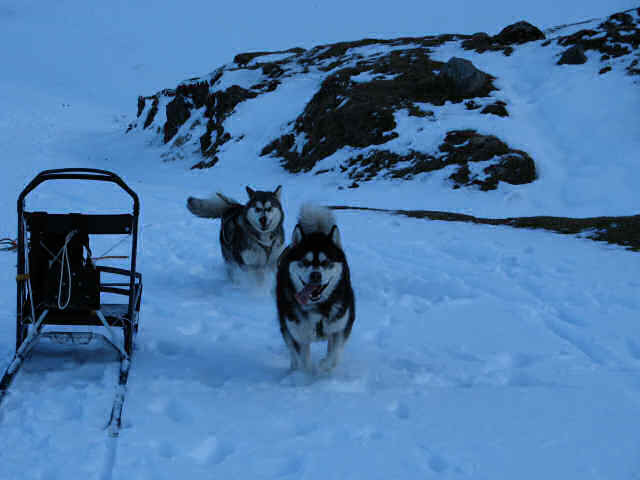 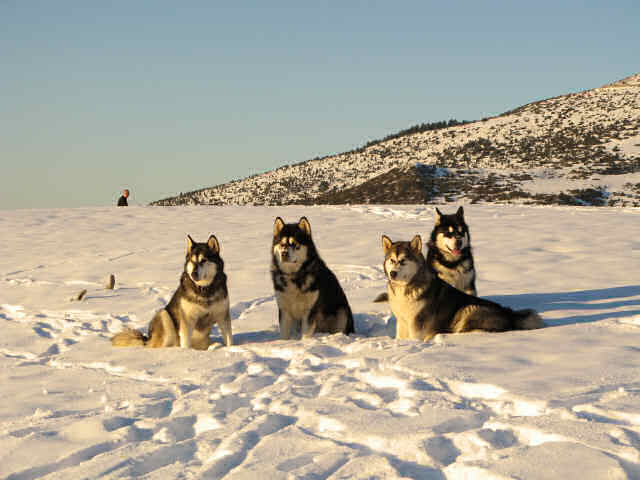 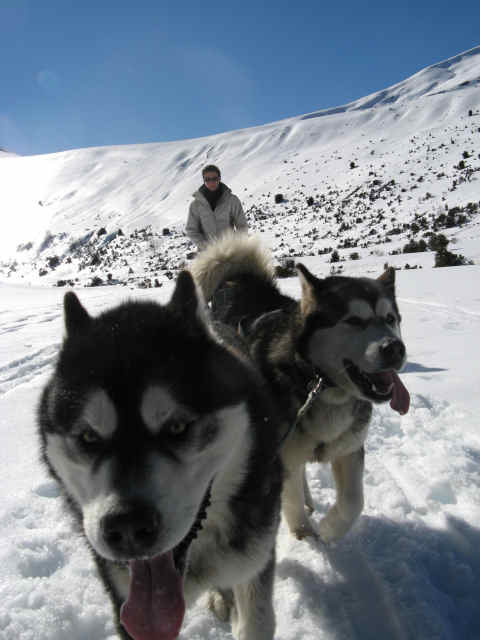 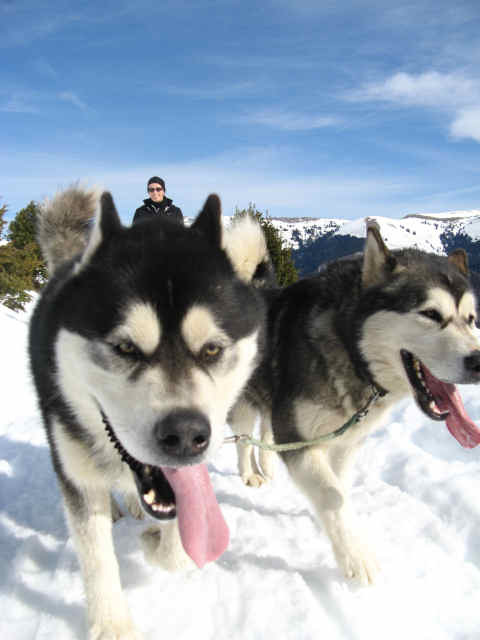 But what interested me the most, he gave me: his extraordinary qualities of dog sled.